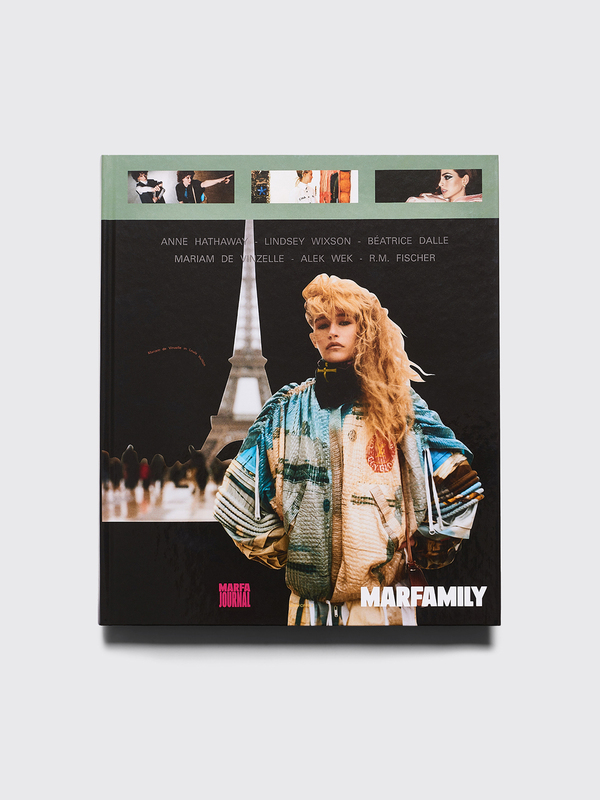 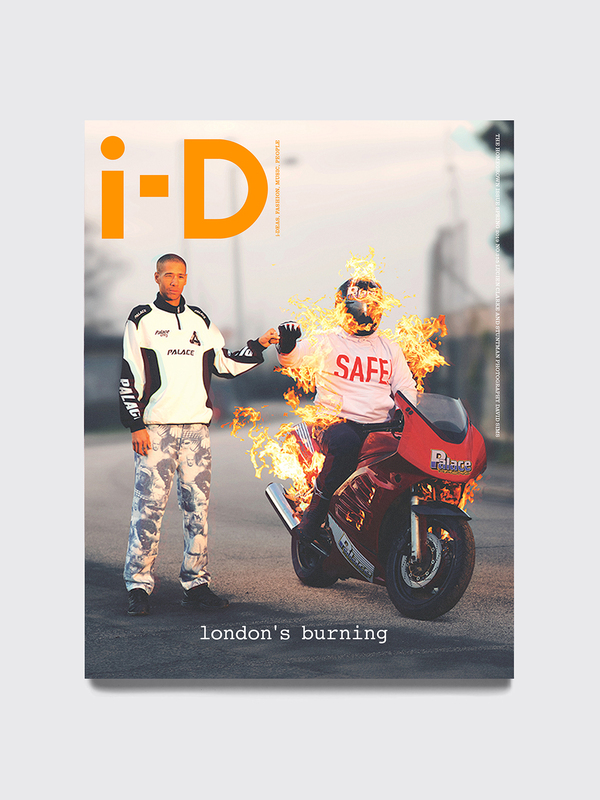 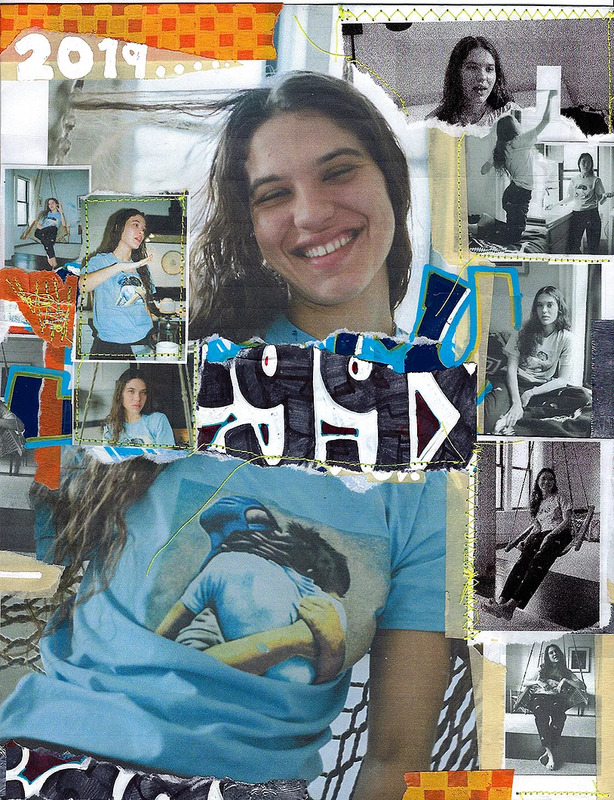 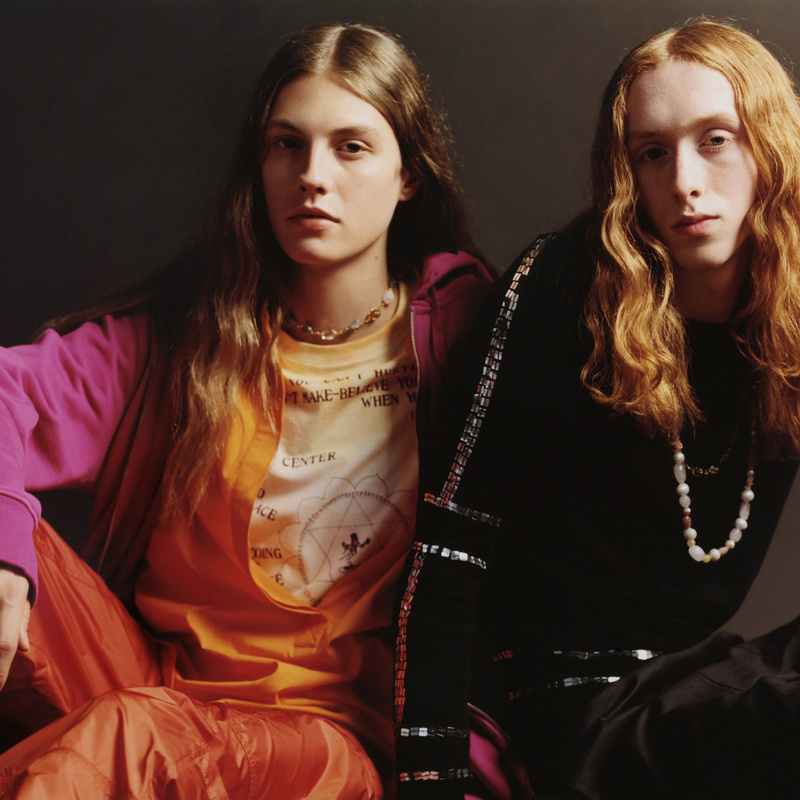 New issues from Dazed, Ansinth and Marfamily now available online and in-store. 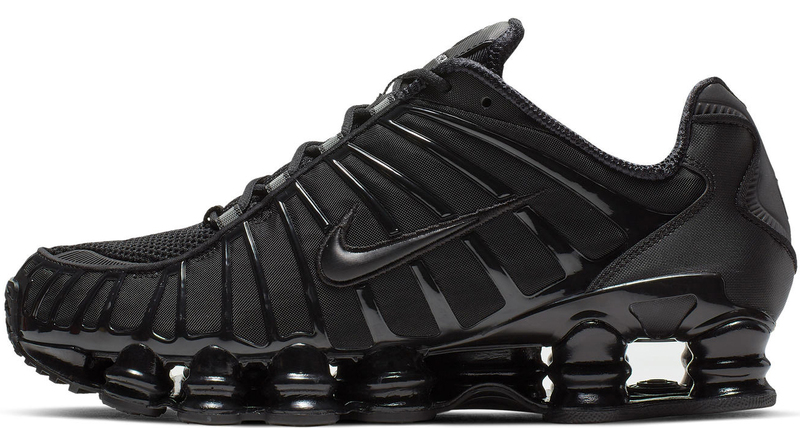 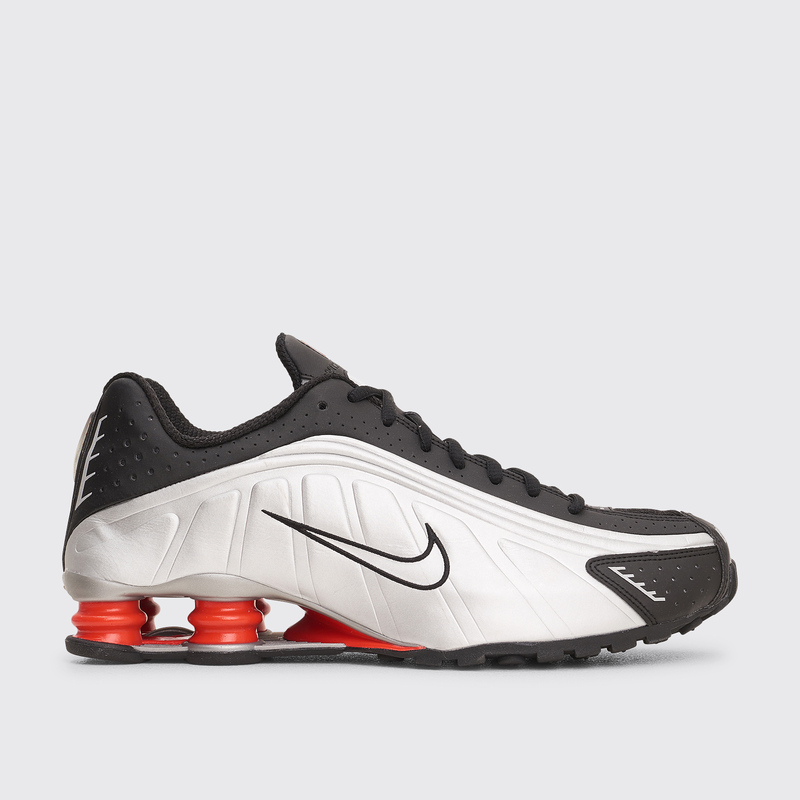 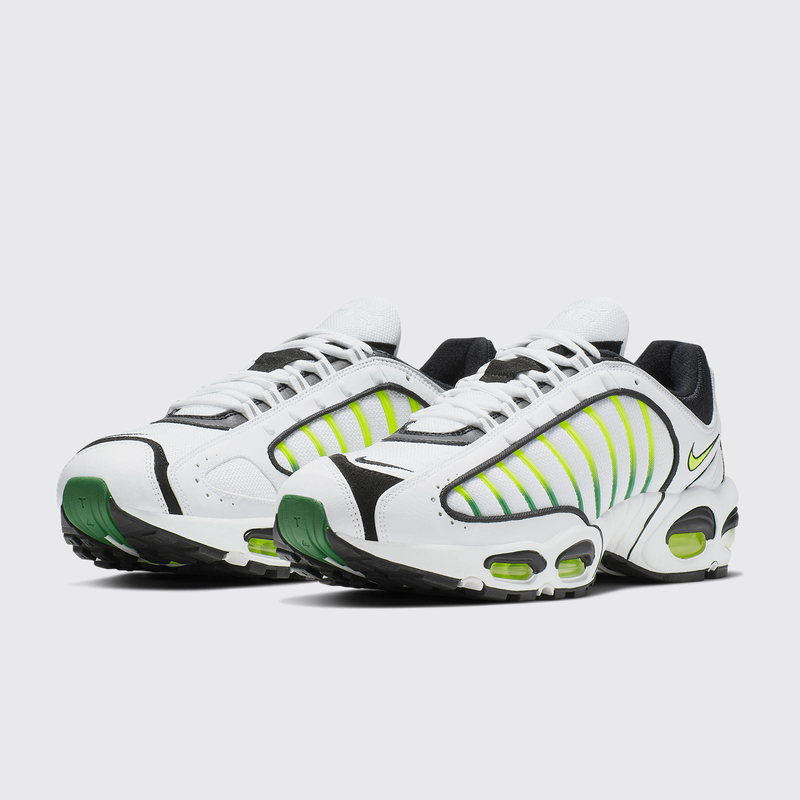 The Air Max Tailwind IV sneaker from Nike Sportswear is now available online in White / Volt. 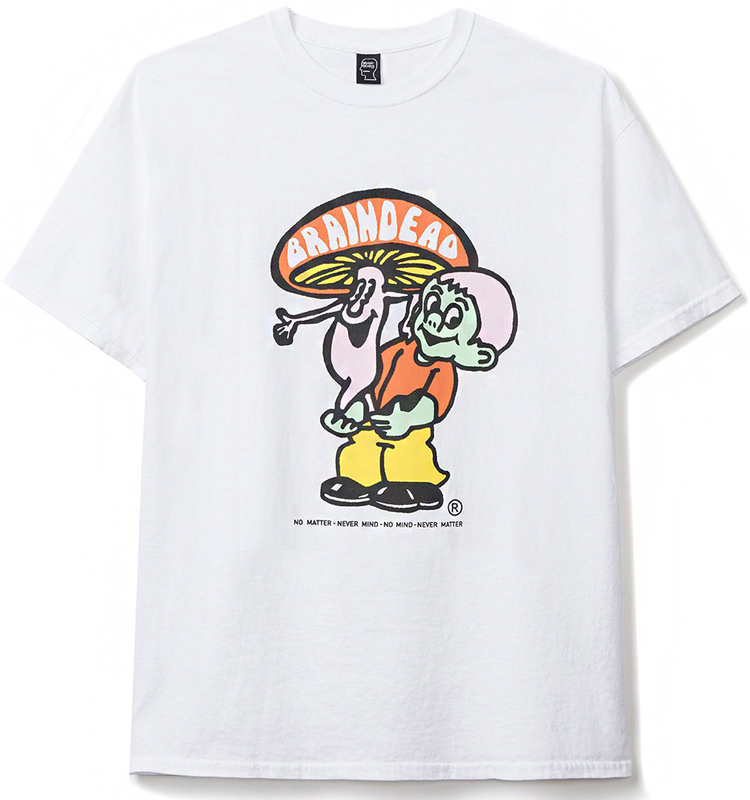 The second drop from the Brain Dead Spring / Summer 2019 collection now available online. 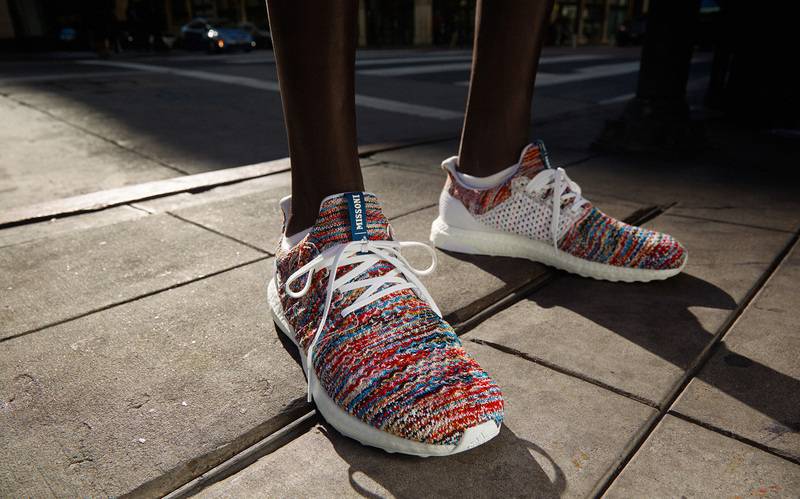 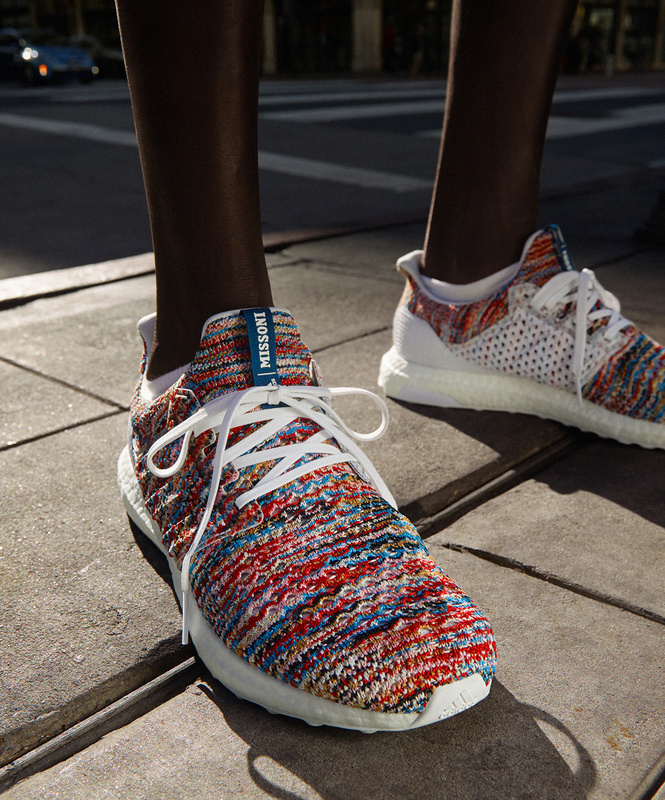 Spring / Summer 2019 sneakers and apparel from adidas x Missoni now available online. 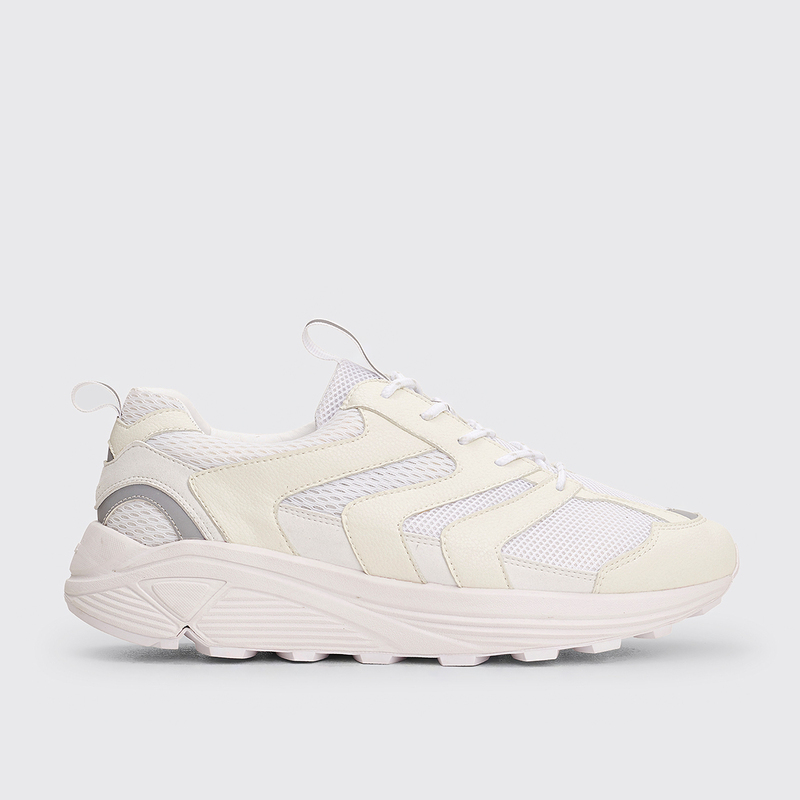 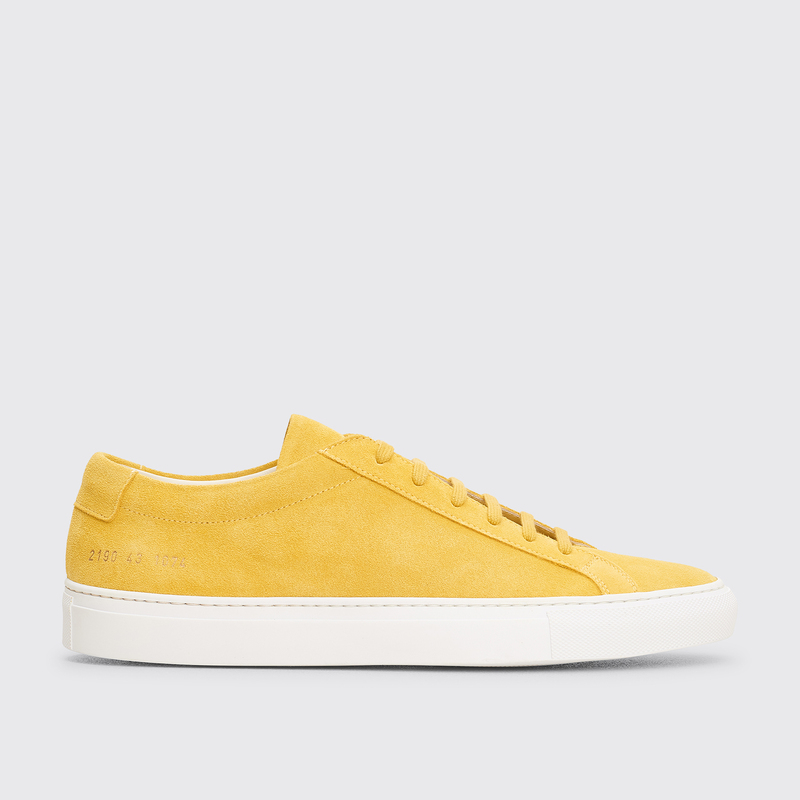 Spring / Summer 2019 sneakers from Tomo & Co now available online and in-store. 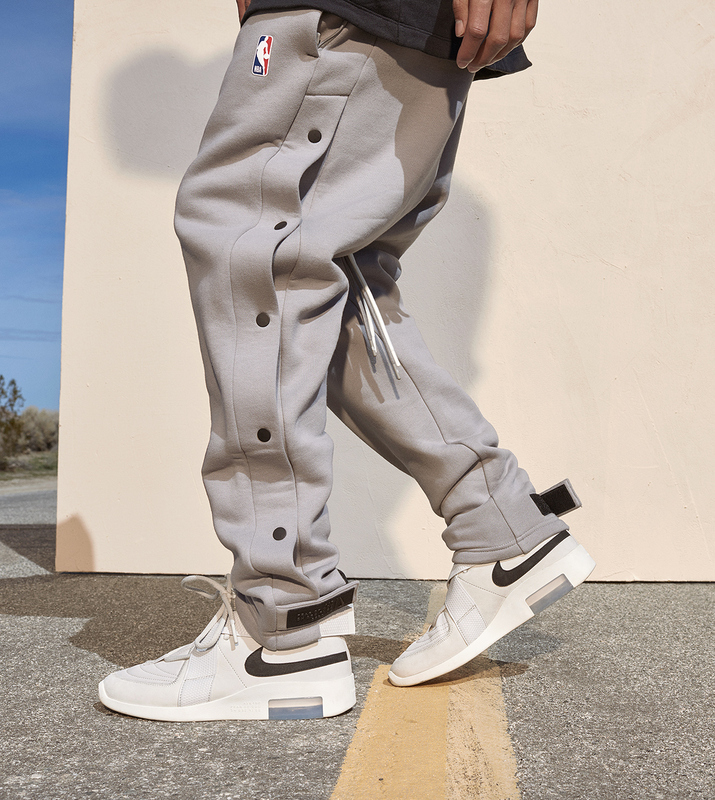 Raffles are open for the latest Nike x Fear Of God collaboration that includes the Raid and Strap sneakers. 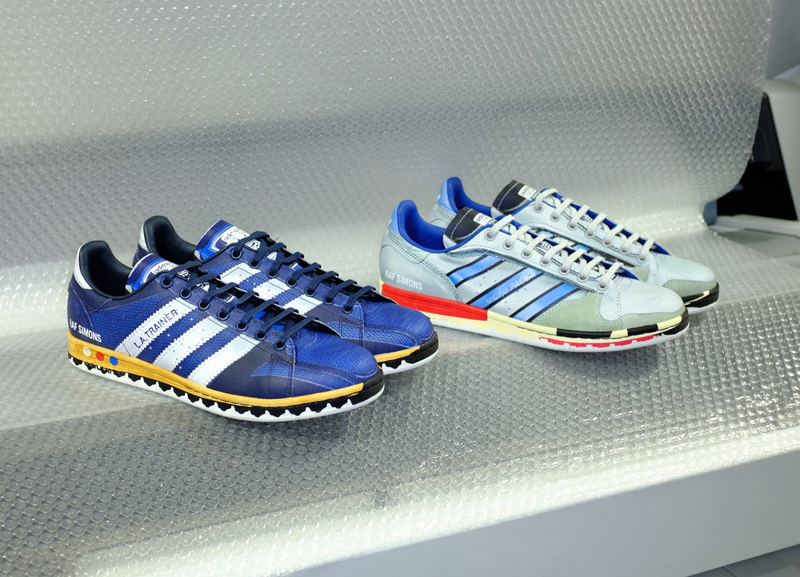 Raffles close on April 27. 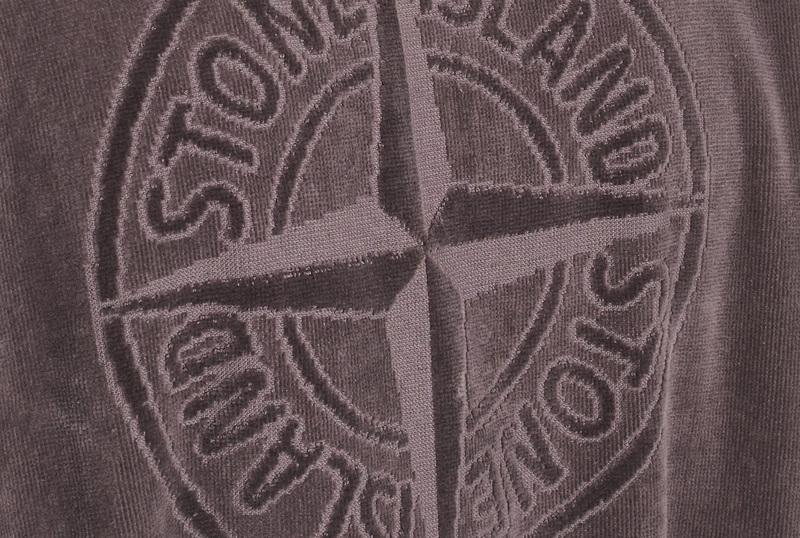 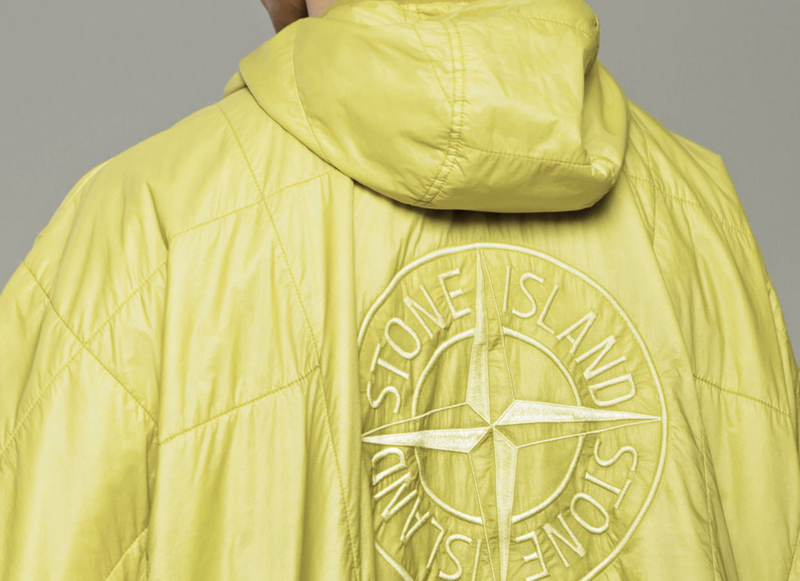 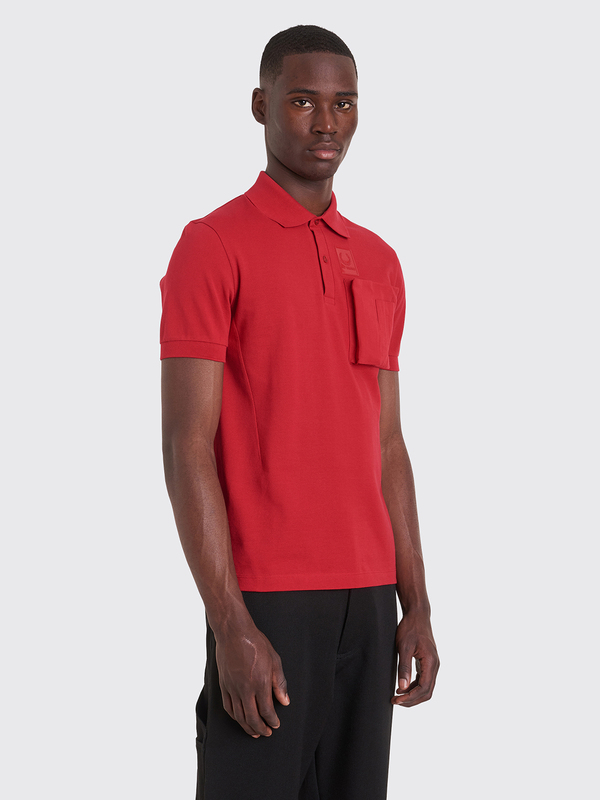 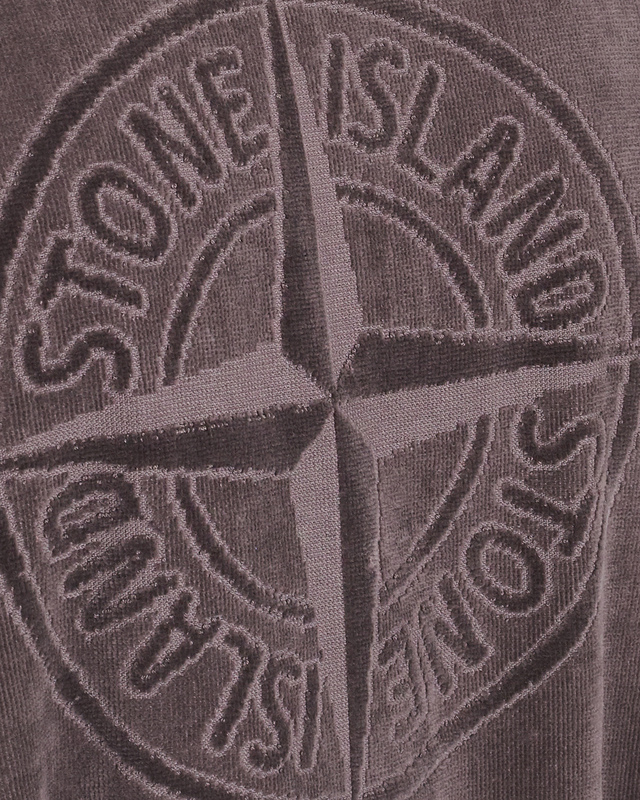 T-shirts, sweaters, jackets and more from Stone Island Spring / Summer 2019 now available online. 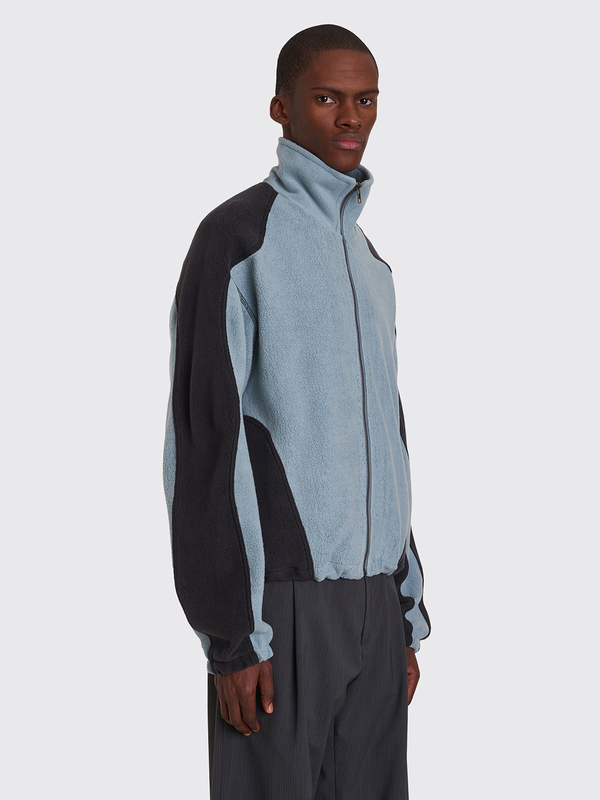 The Asics x Kiko Kostadinov release includes the GEL-Sokat Infinity sneakers and apparel and will be online Friday, April 19. 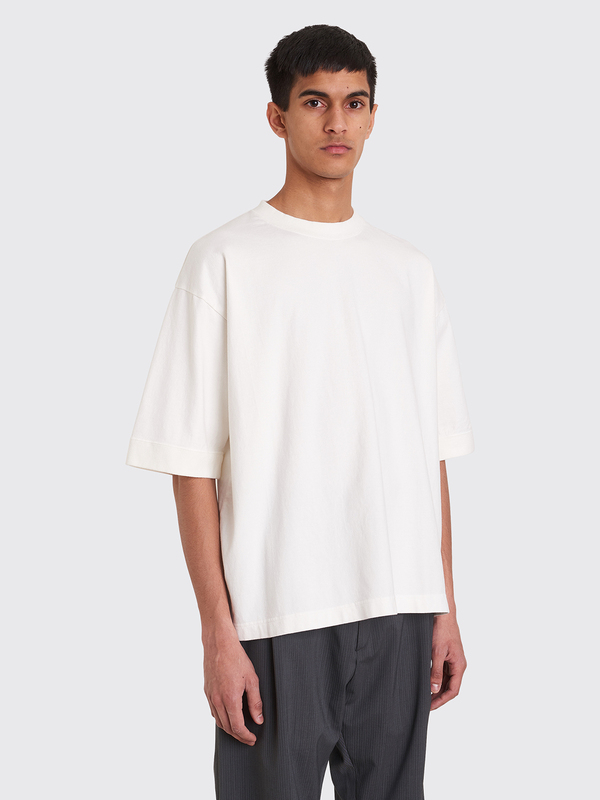 More Spring / Summer 2019 clothing from Margaret Howell are now available online and in-store. 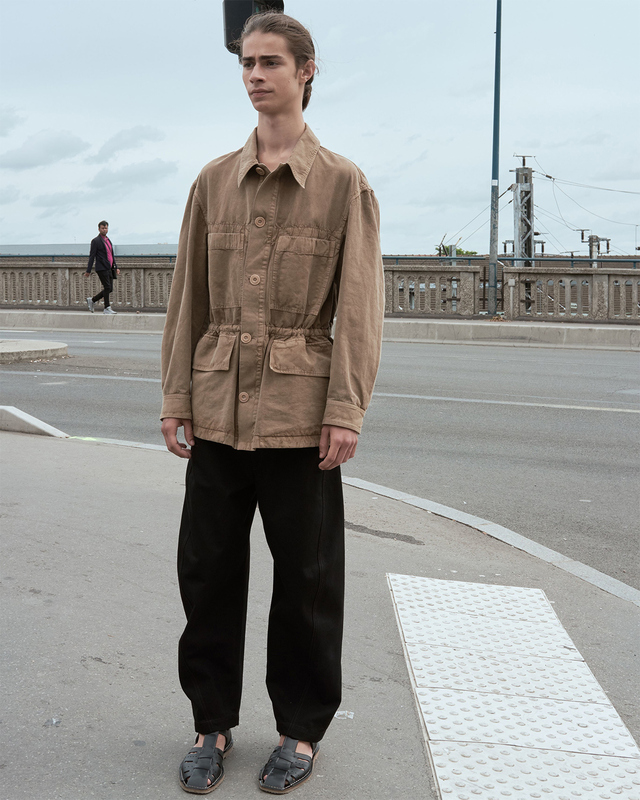 New arrivals from the Très Bien Spring / Summer 2019 collection are now available online and in-store. 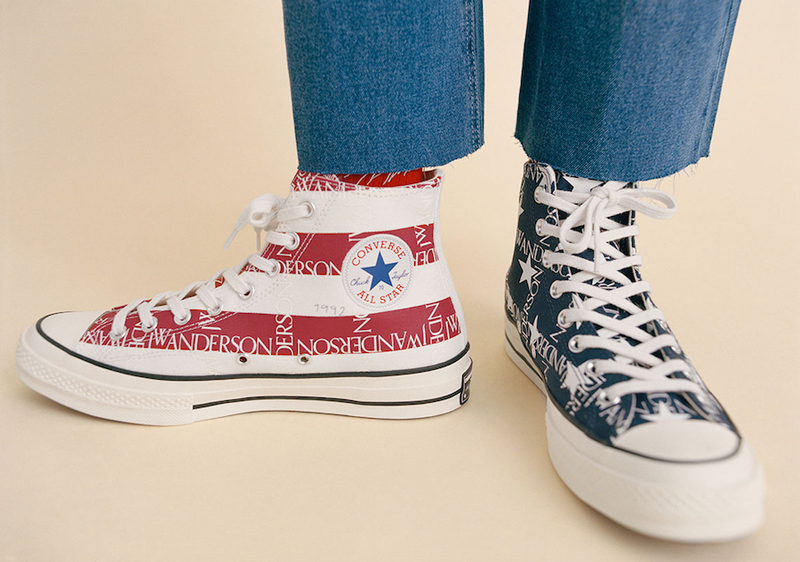 The Converse x JW Anderson Run Star Hike Black and the CT70 Americana Archive Print are now available online. 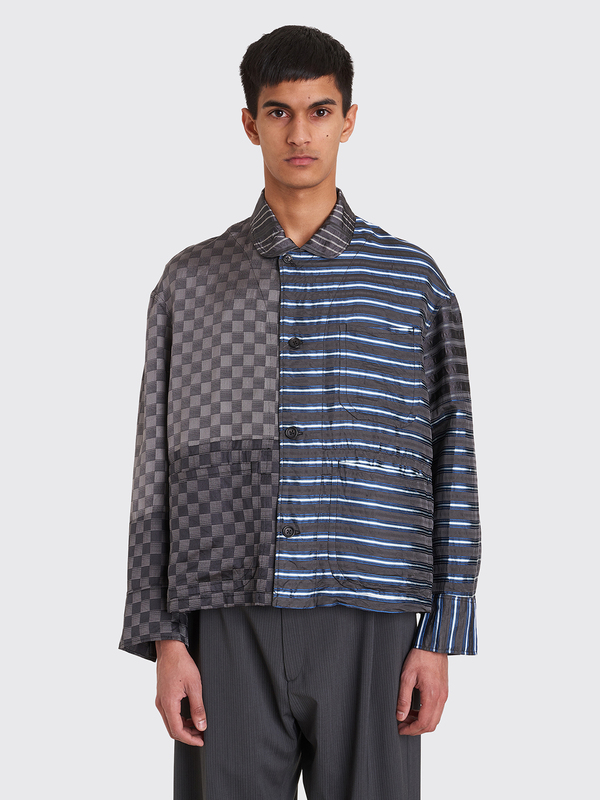 More items from the Issey Miyake line Homme Plissé now available online and in-store. 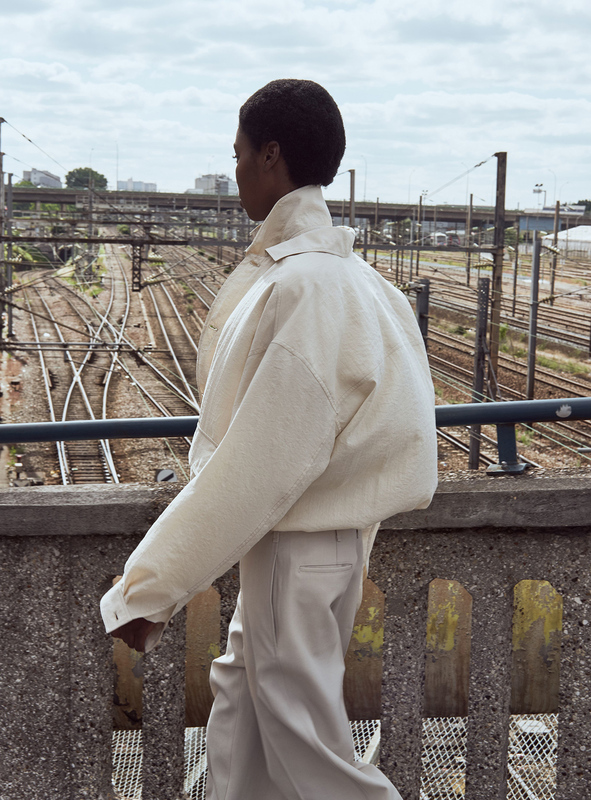 New arrivals from the Lemaire Spring / Summer 2019 collection now available online. 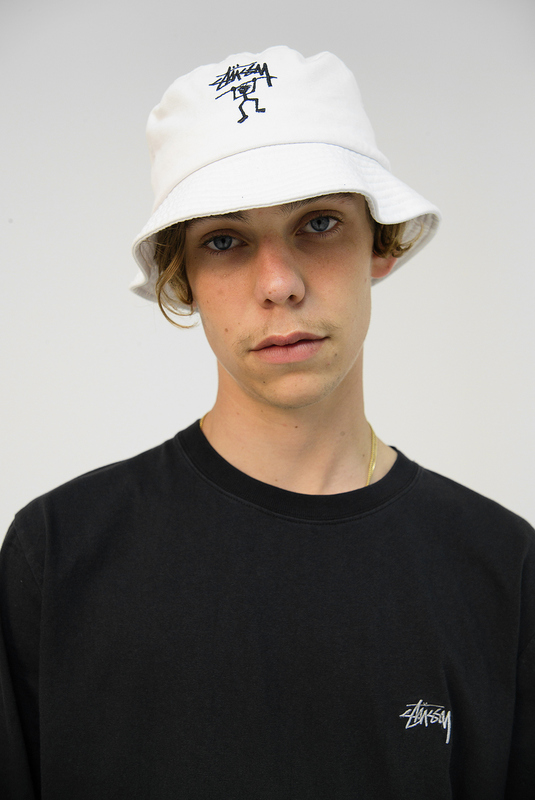 More items from Nepenthes' brand Needles and their Spring / Summer 2019 collection will be available online Tuesday, April 16. 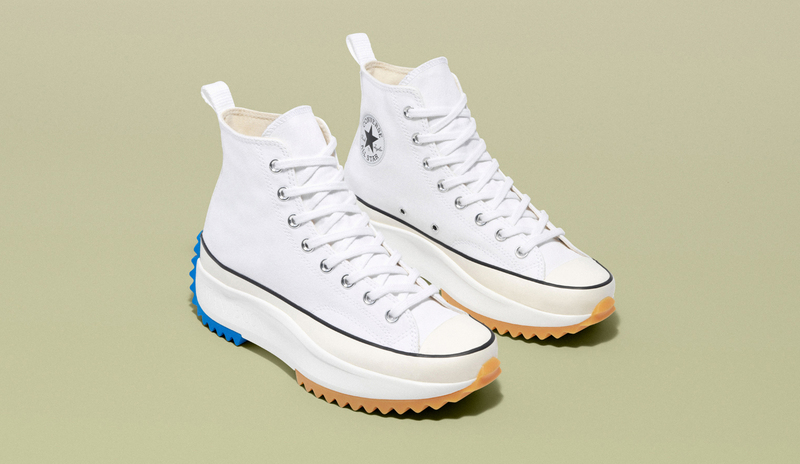 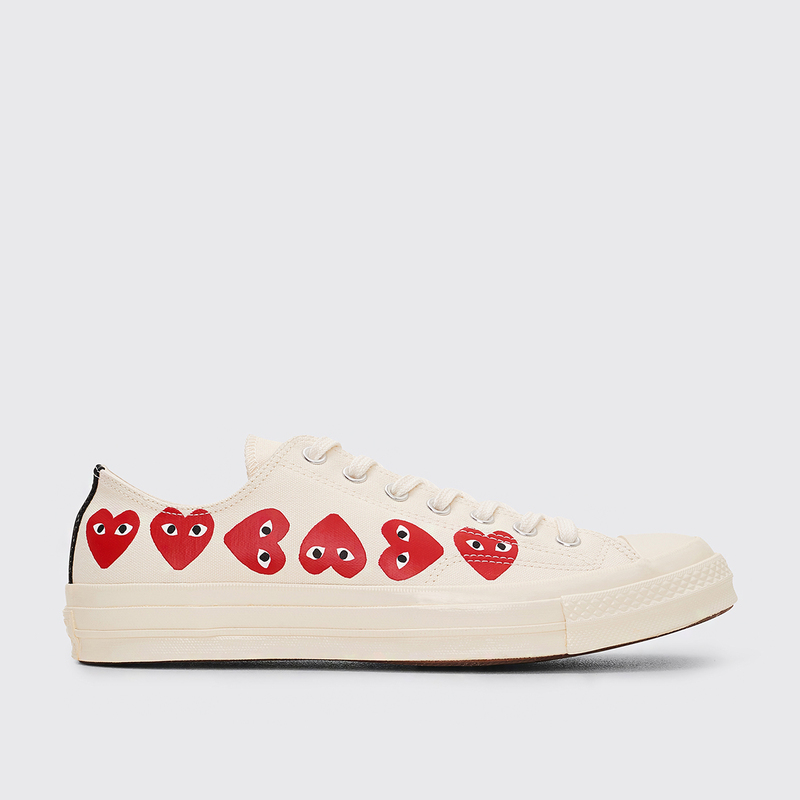 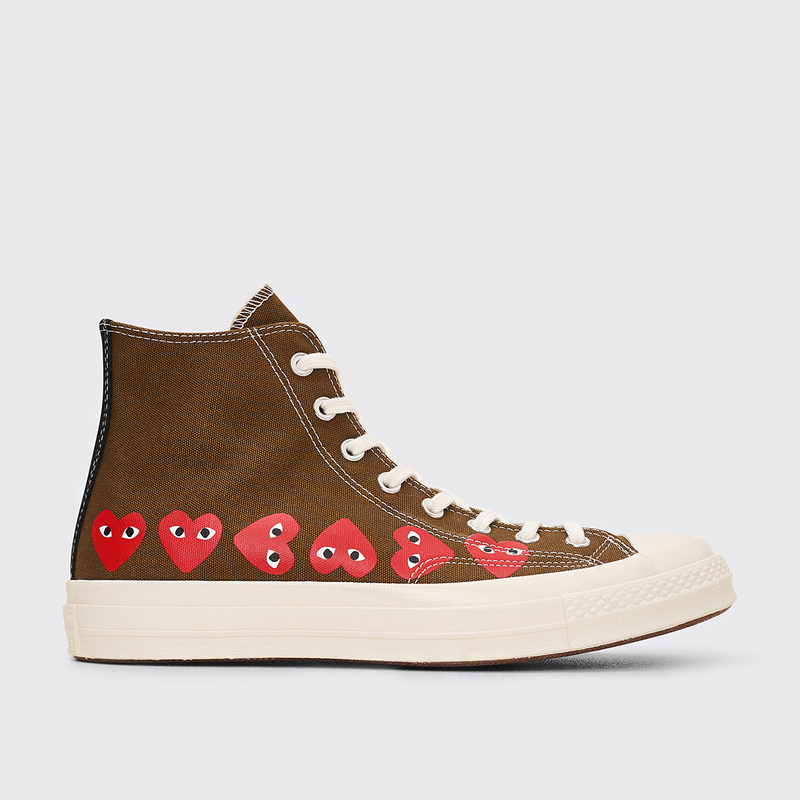 New Spring / Summer 2019 sneakers and re-stocks from Comme des Garçons Play x Converse now available online. 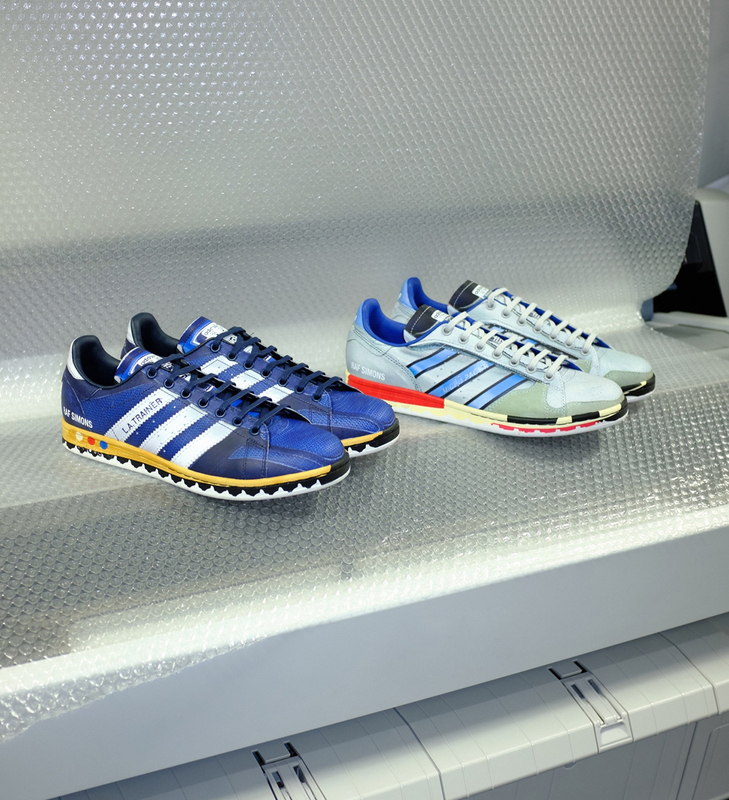 The Stan Smith LA Trainer and Stan Smith Micropacer from the Stan Smith "Trompe L'oeil" pack from adidas x Raf Simons is now online. 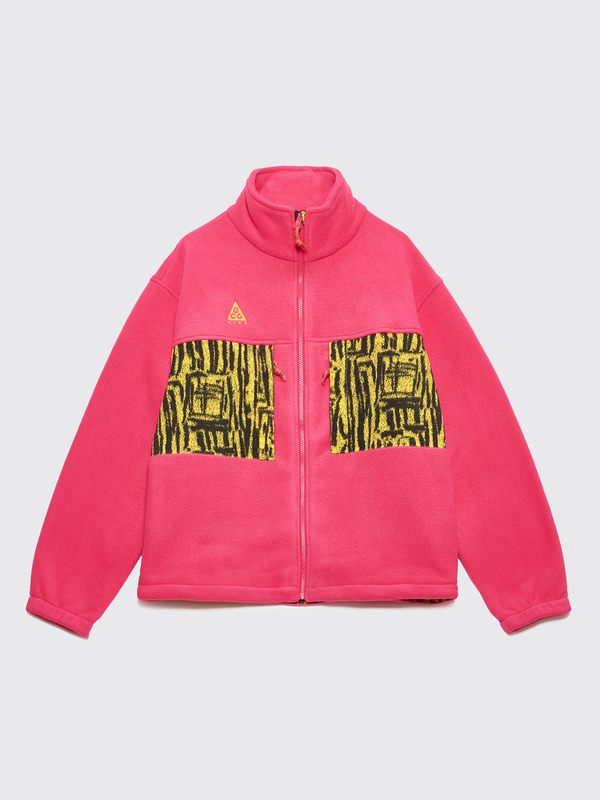 New York based brand Chinese New Year NYC is new at Très Bien. 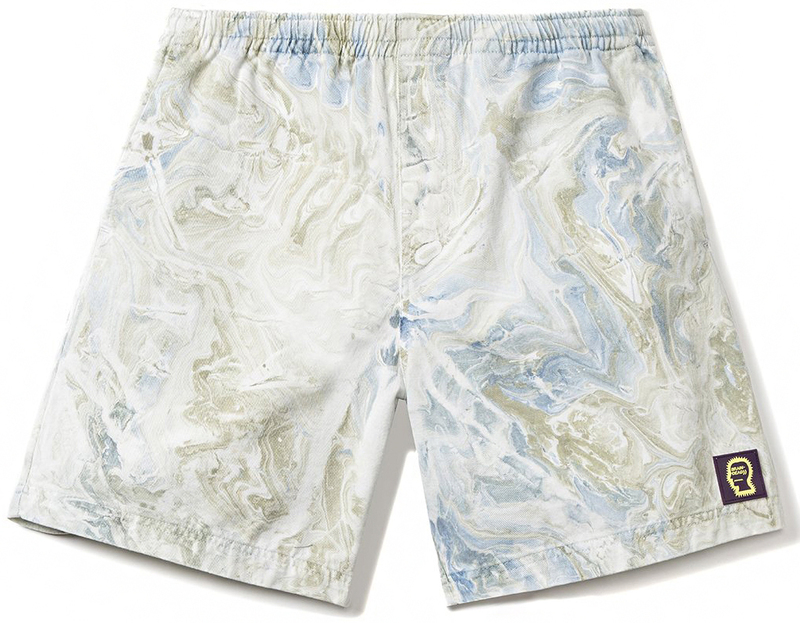 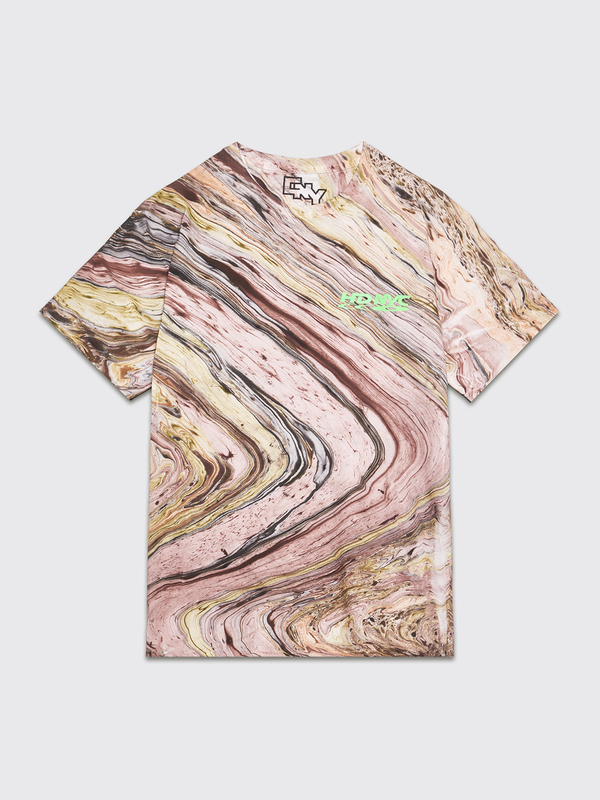 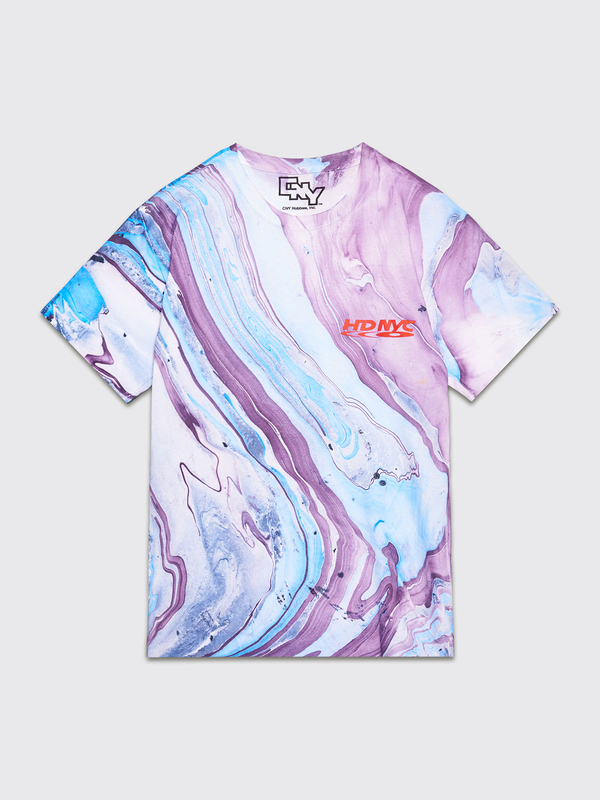 Its first drop includes three t-shirts all hand marbled where each style is unique. 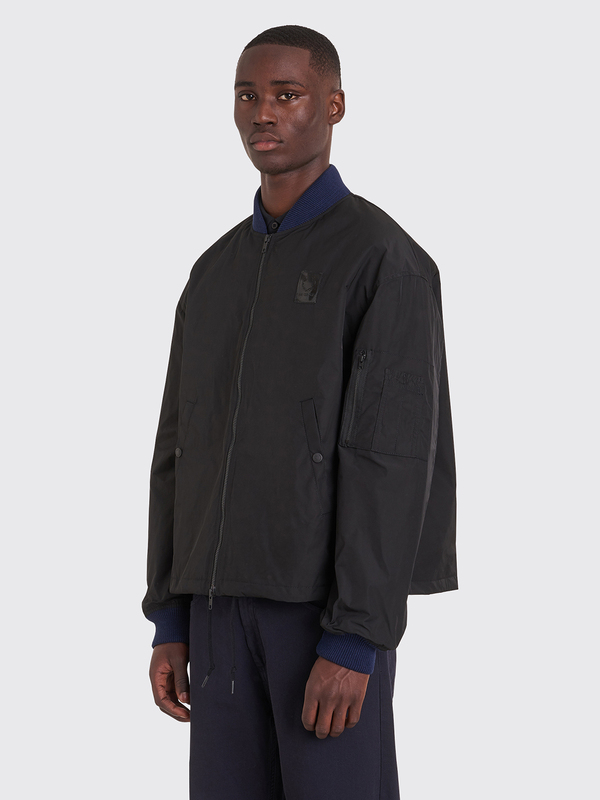 Second delivery from GmbH Spring / Summer 2019 is now available online and in-store. 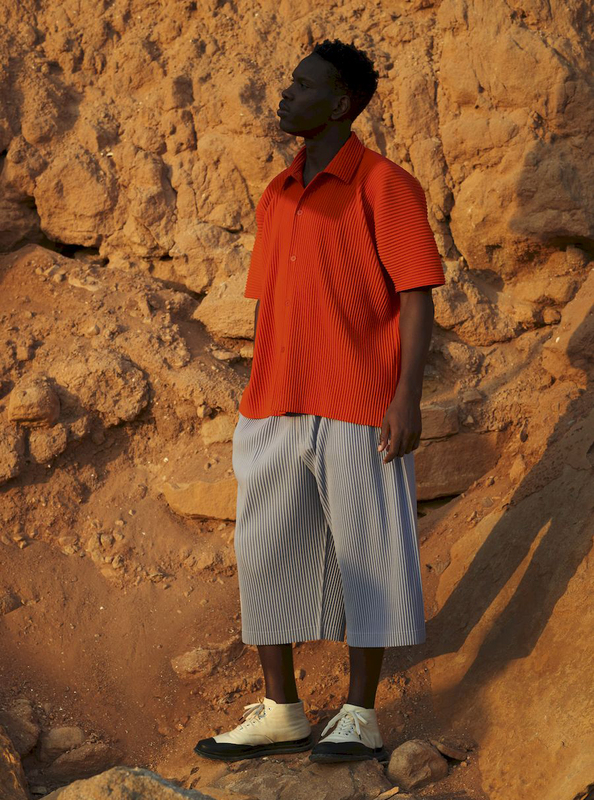 A few more items from the Wales Bonner Spring / Summer 2019 collection are now available online and in-store. 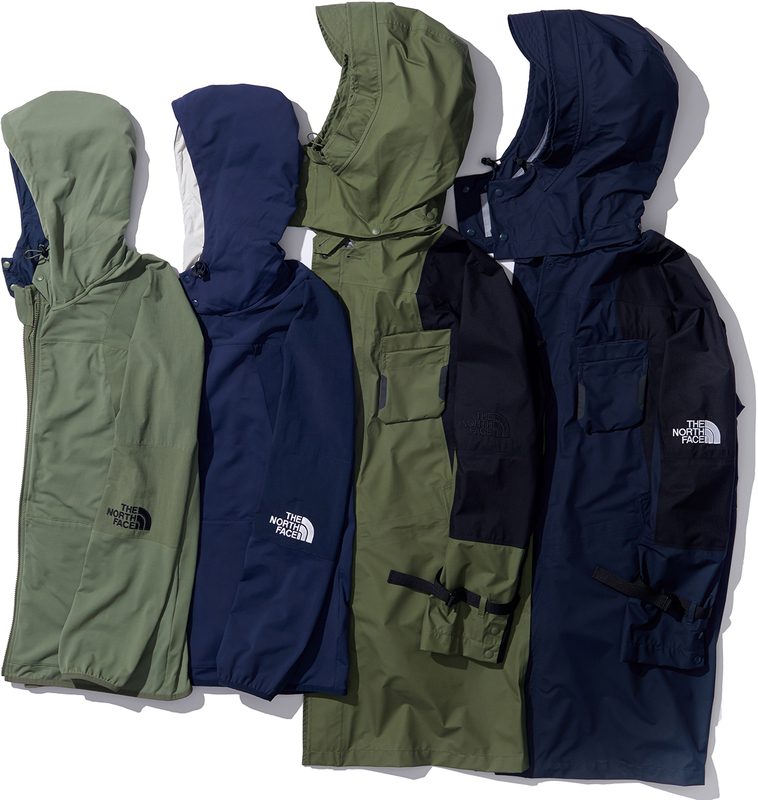 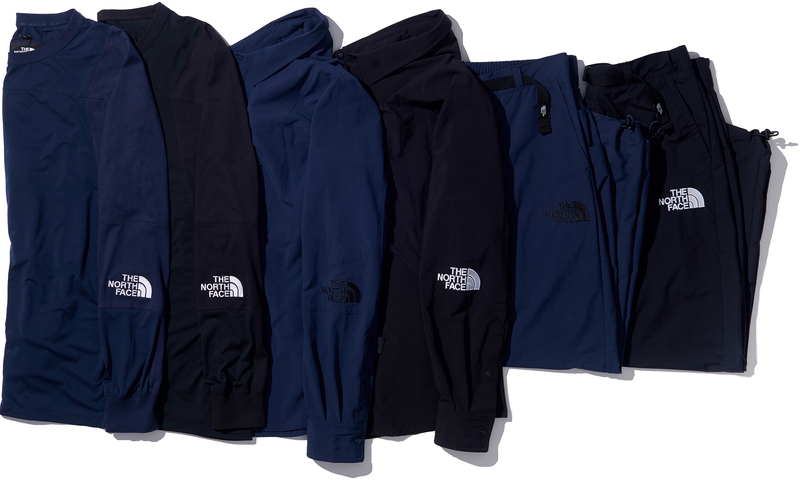 First drop from the Spring / Summer 2019 Black Series collection from The North Face is now available online. 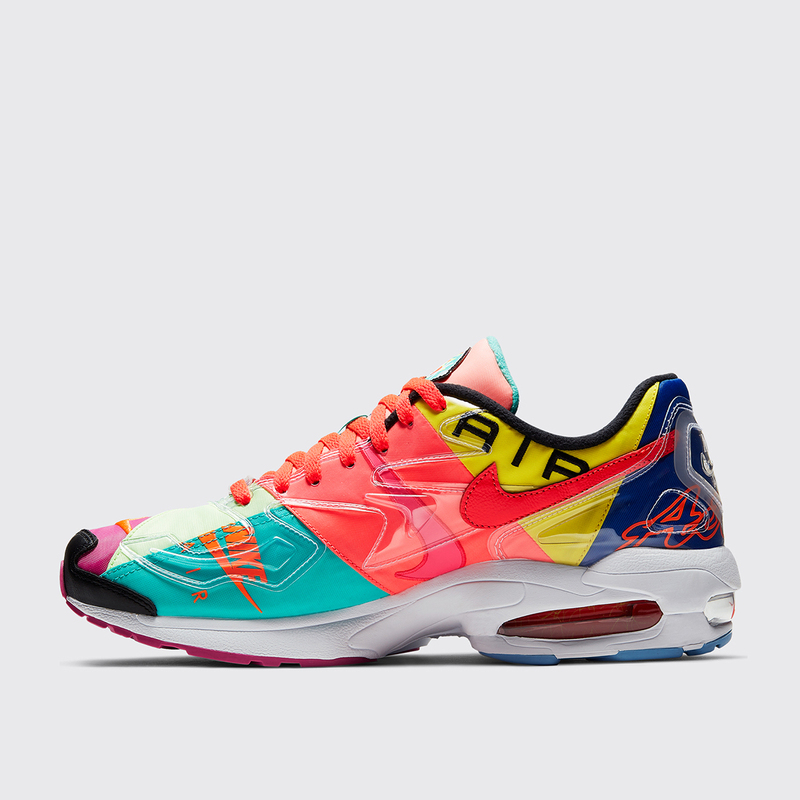 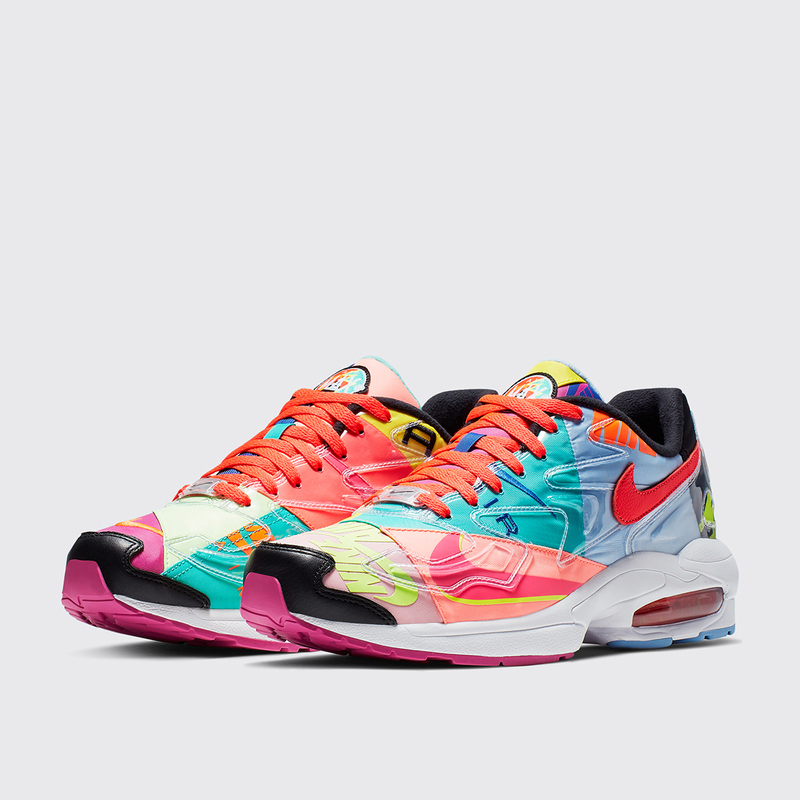 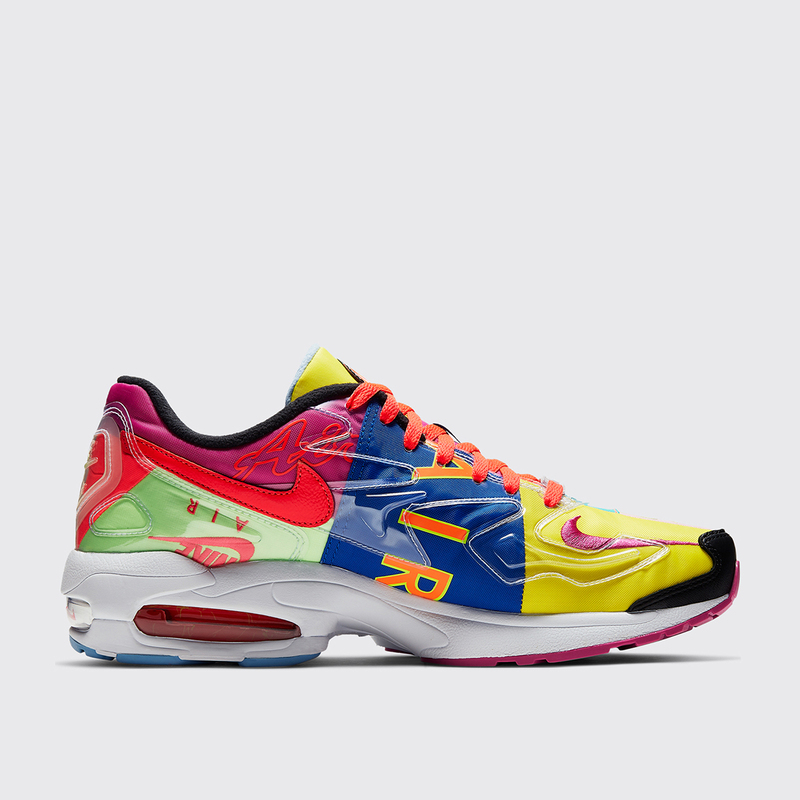 The Nike x Atmos Air Max 2 Light in colorway Black / Bright crimson now online. 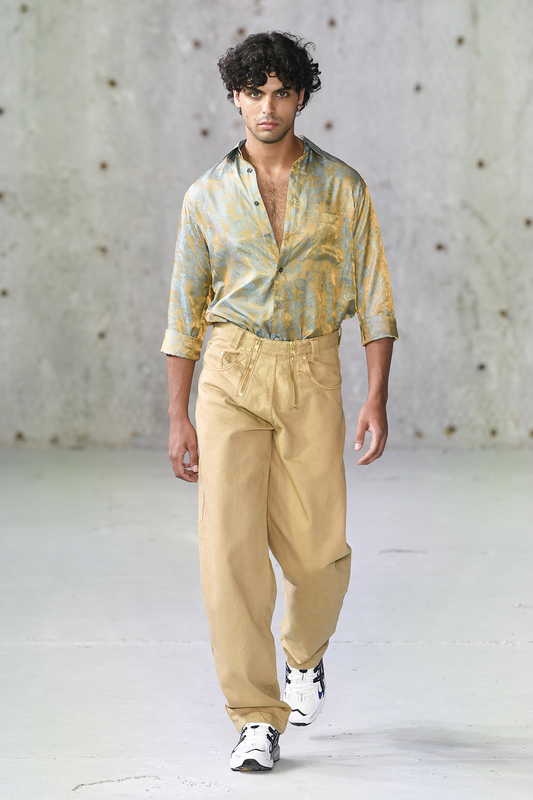 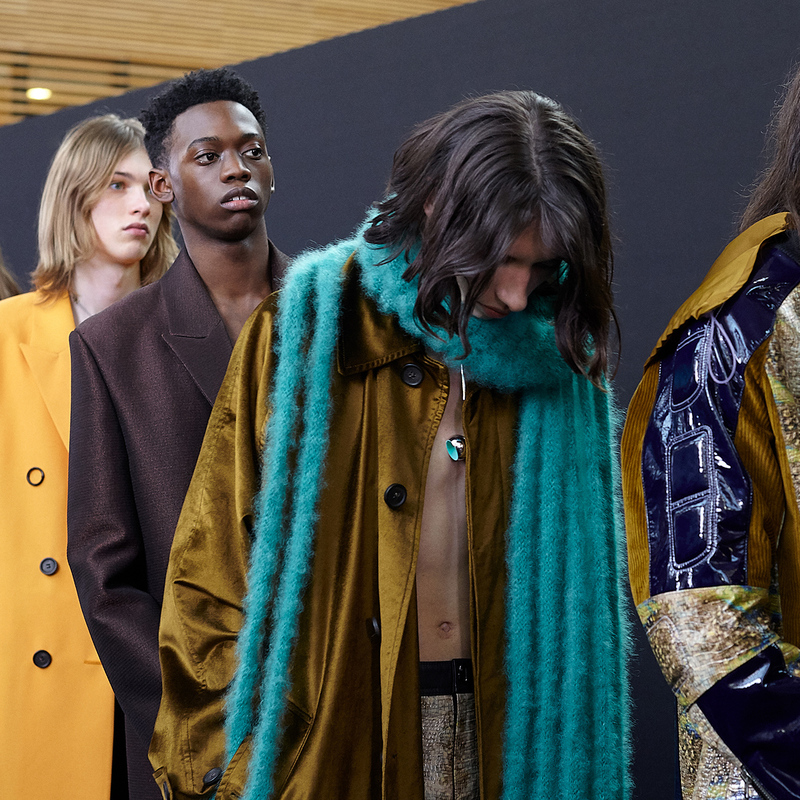 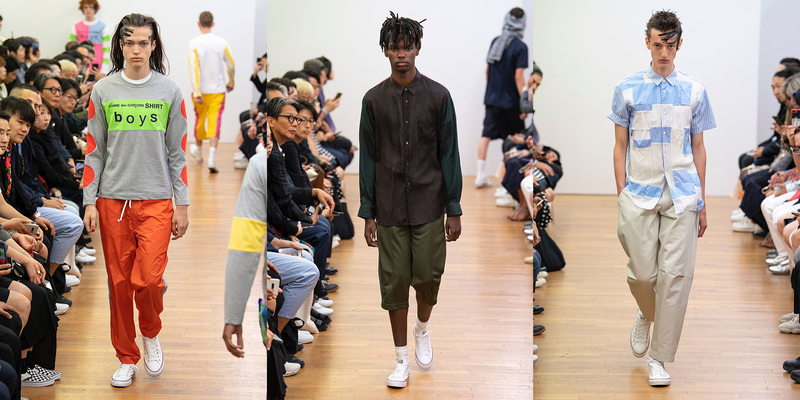 Spring / Summer 2019 from Eckhaus Latta now available online and in-store. 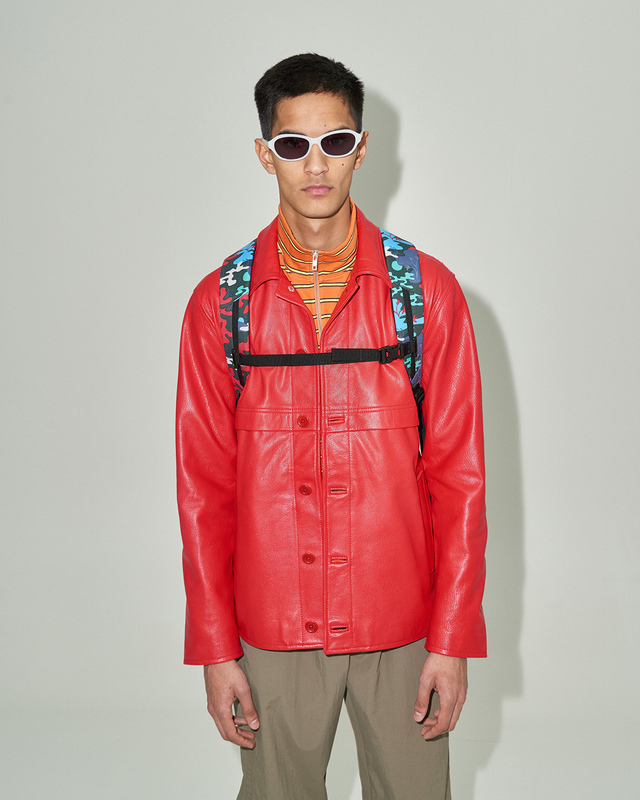 New items from the Prada Spring / Summer 2019 collection now online. 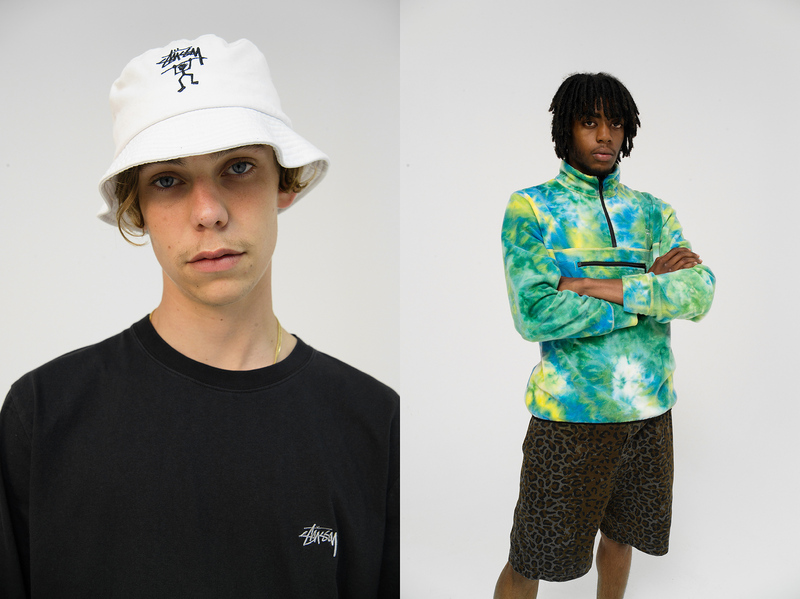 New arrivals from Stüssy Spring / Summer 2019 now available online and in-store. 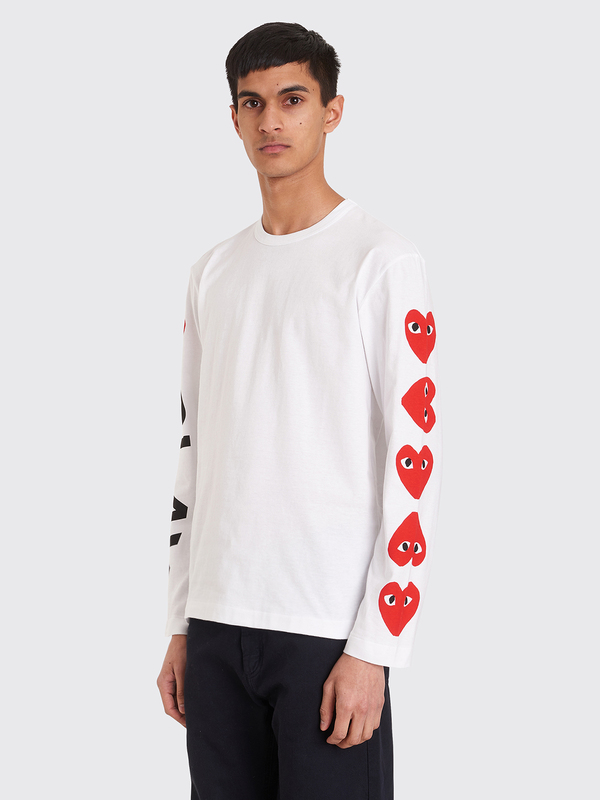 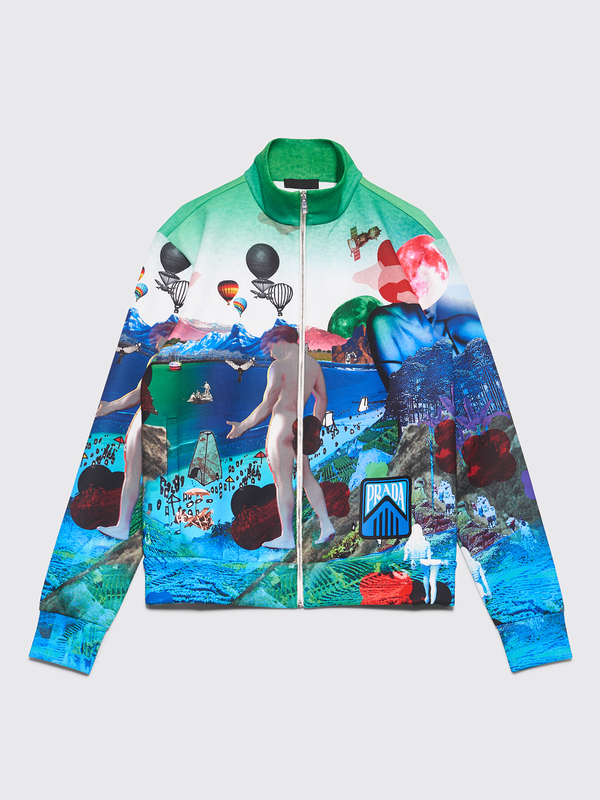 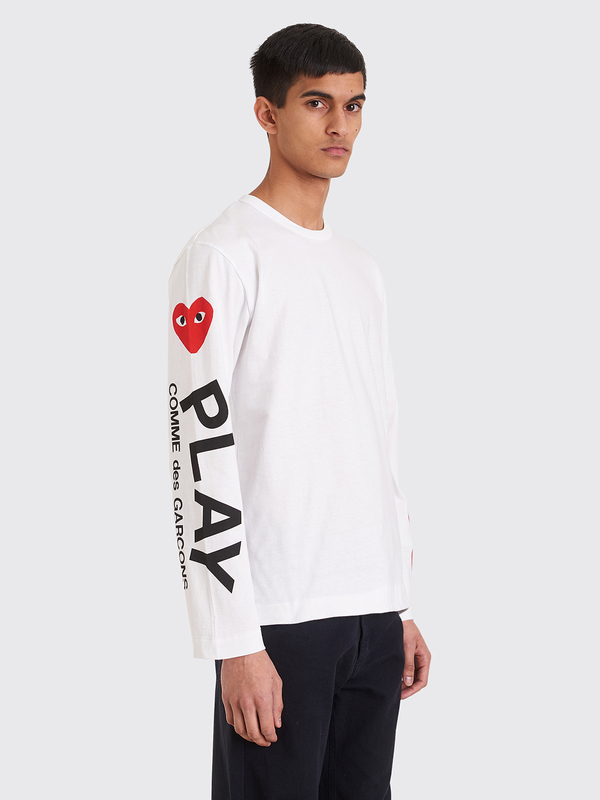 New items and re-stock from the Comme des Garçons Play line now available online. 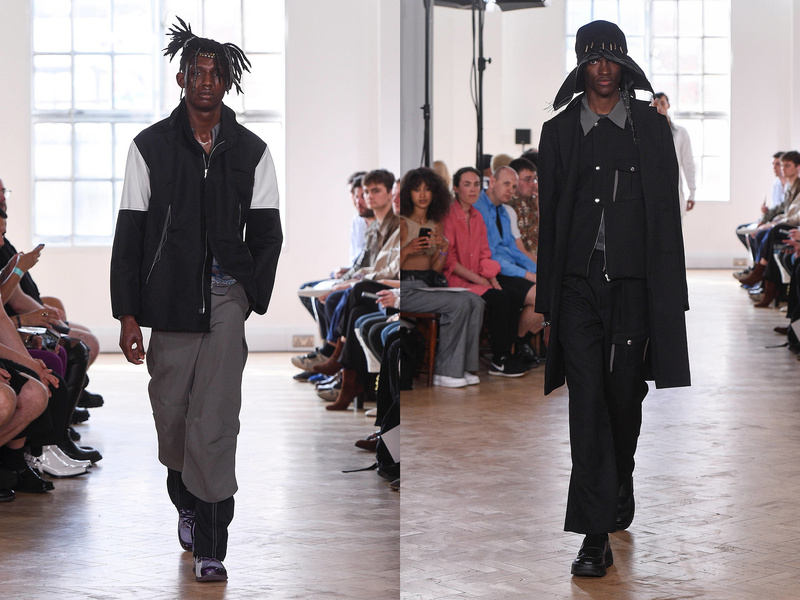 Second delivery from CMMN SWDN Spring / Summer 2019 now available online and in-store. 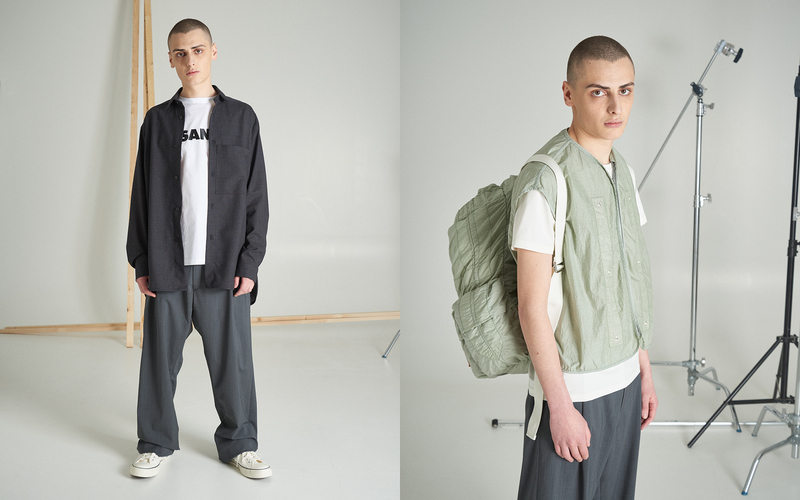 The Spring / Summer 2019 collection from Noon Goons is here, first delivery available online now. 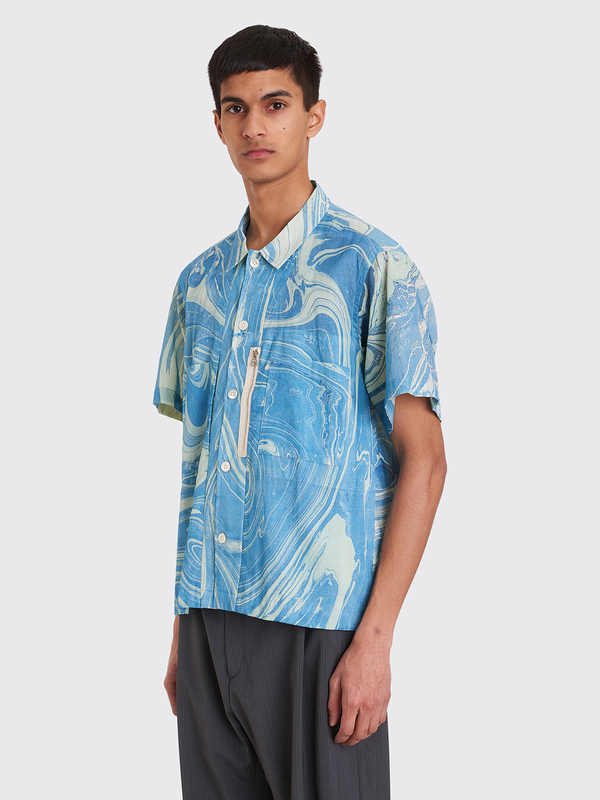 Last SS19 delivery from CLAMP now online including a short sleeve shirt, a patchwork jacket and a embroidered t-shirt. 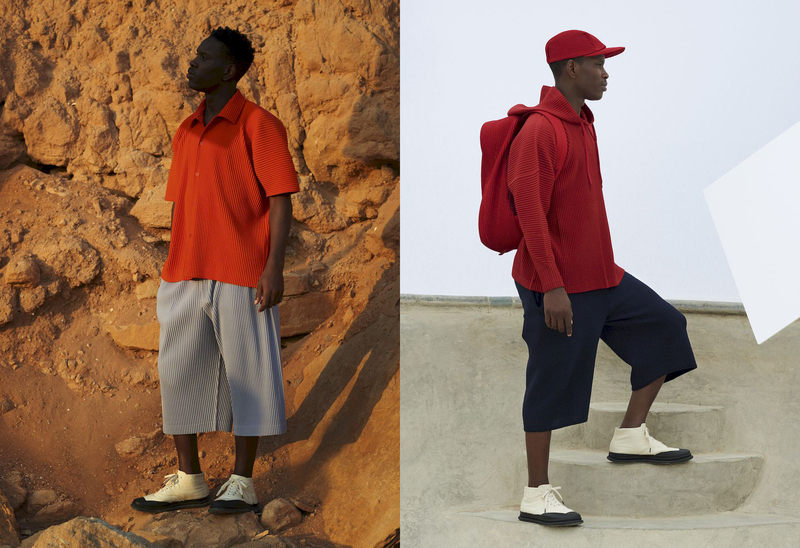 Second drop from Jacquemus Spring / Summer 2019 is now available online and in-store. 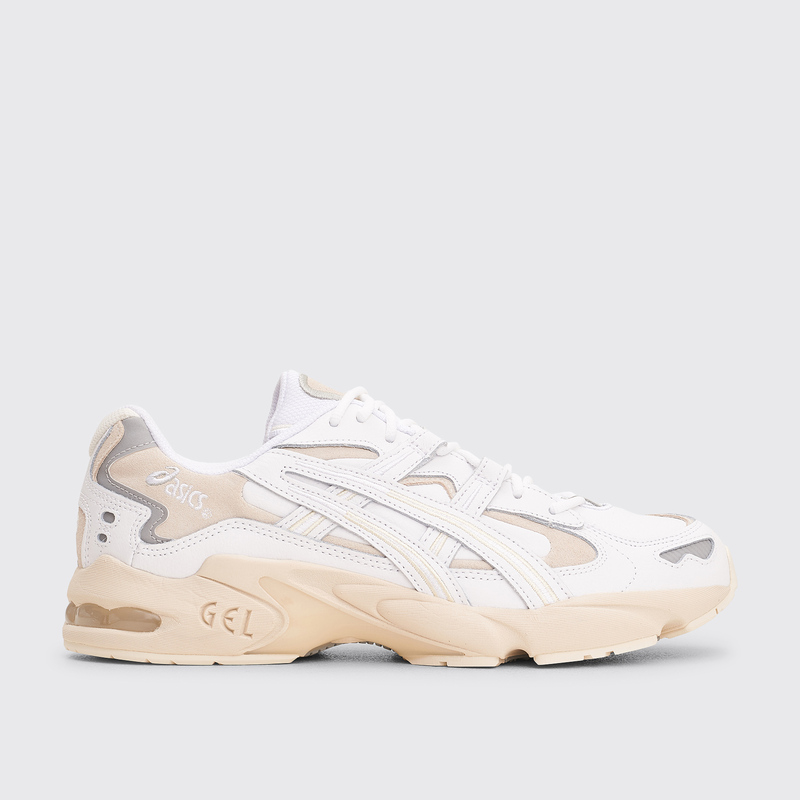 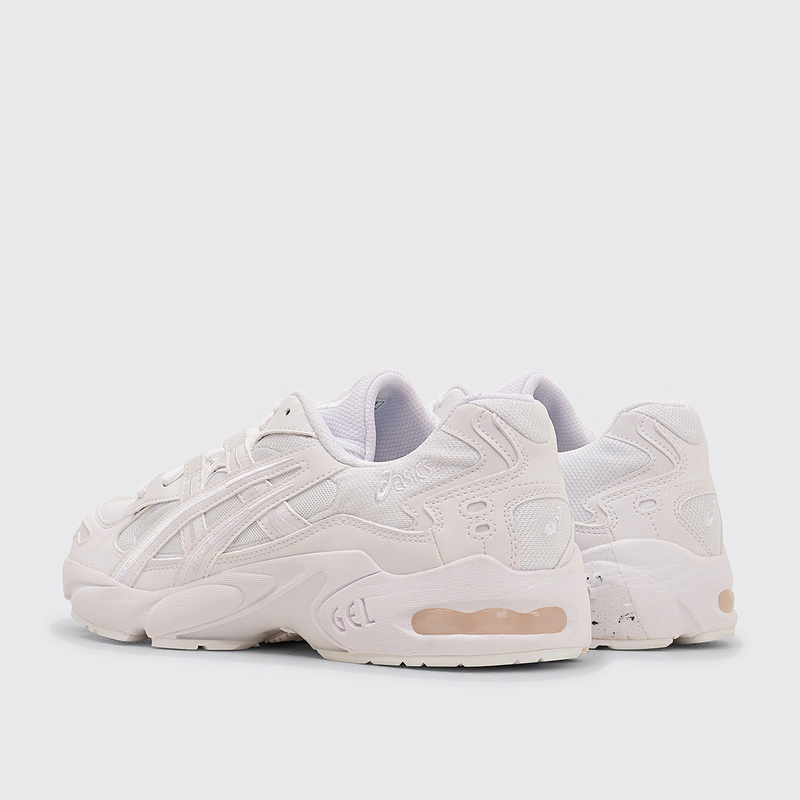 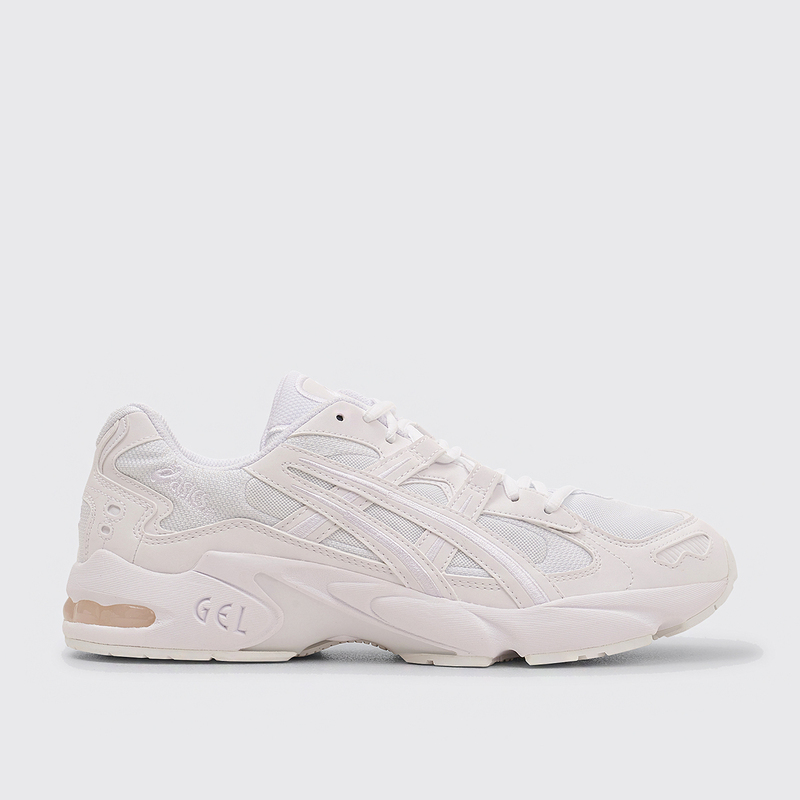 The Gel-Kayano 5 sneaker from Asics is now available online in all white as well as in other colors. 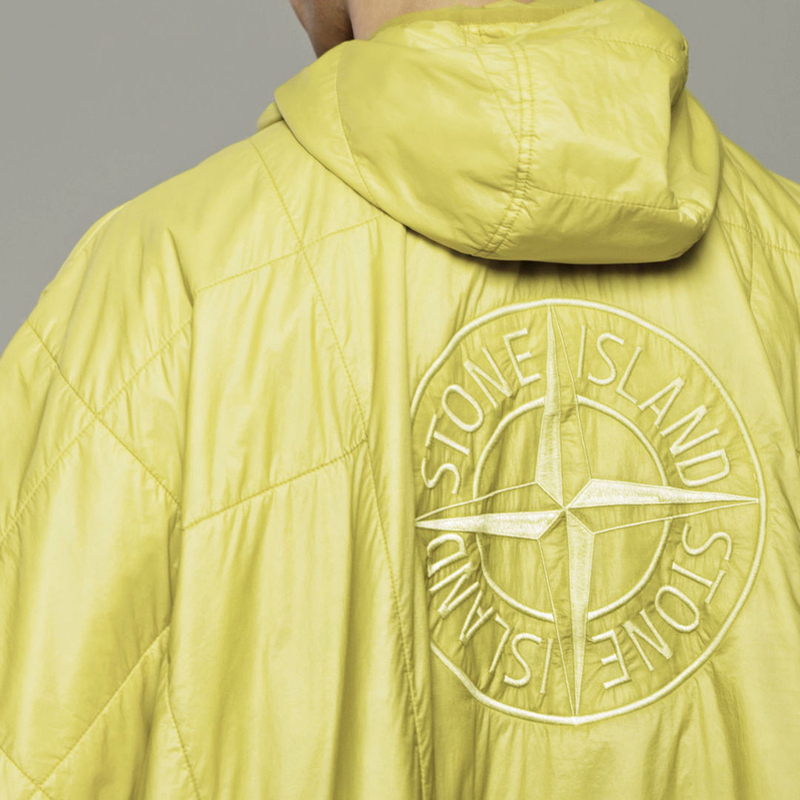 New arrivals from the Stone Island Spring / Summer 2019 collection are now available online. 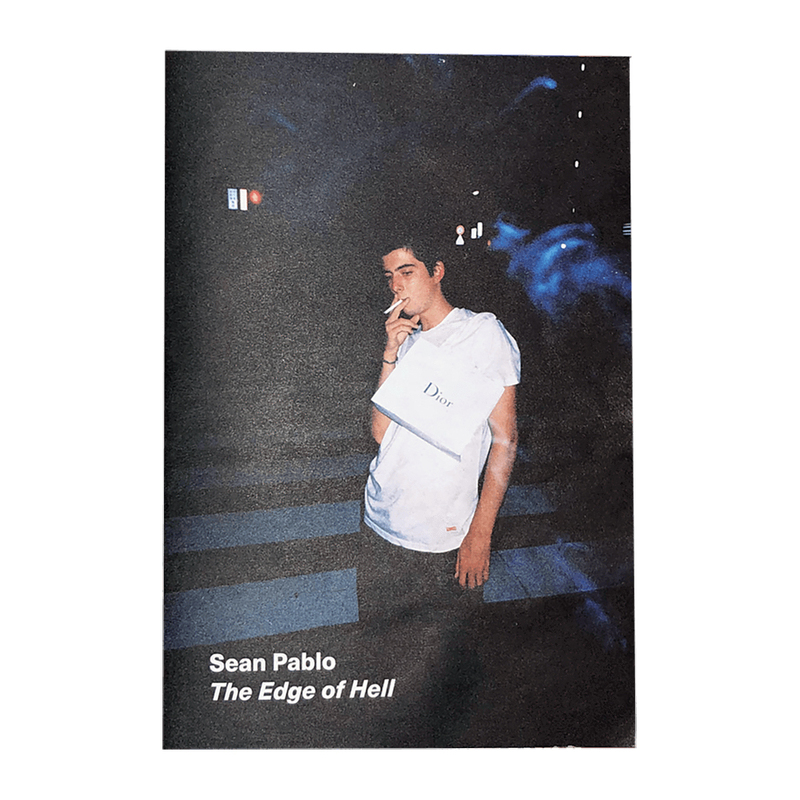 First drop from Paradis3 Spring / Summer 2019 including printed t-shirts, hoodies and a Sean Pablo zine now available online and in-store. 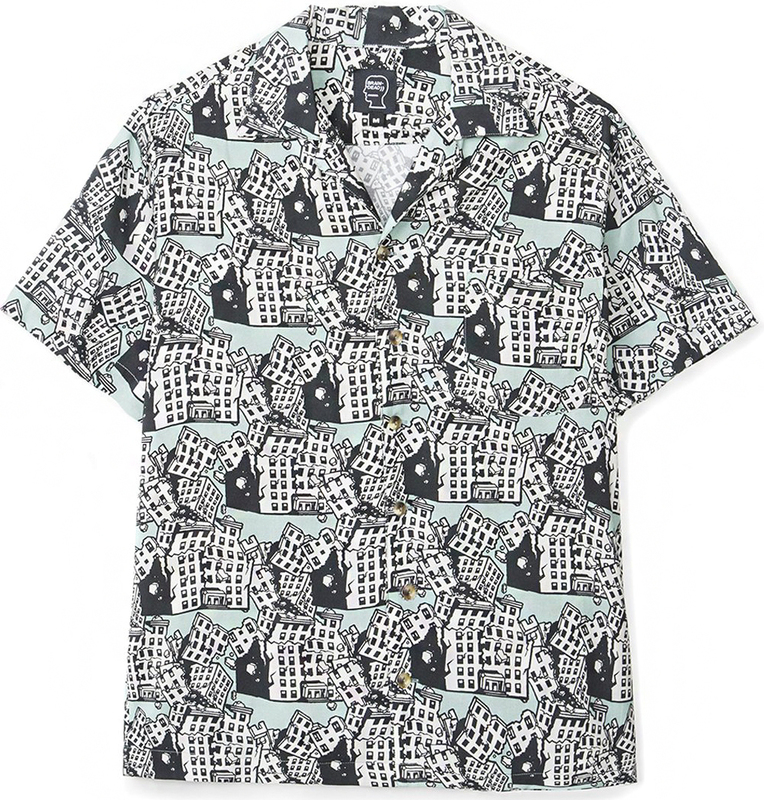 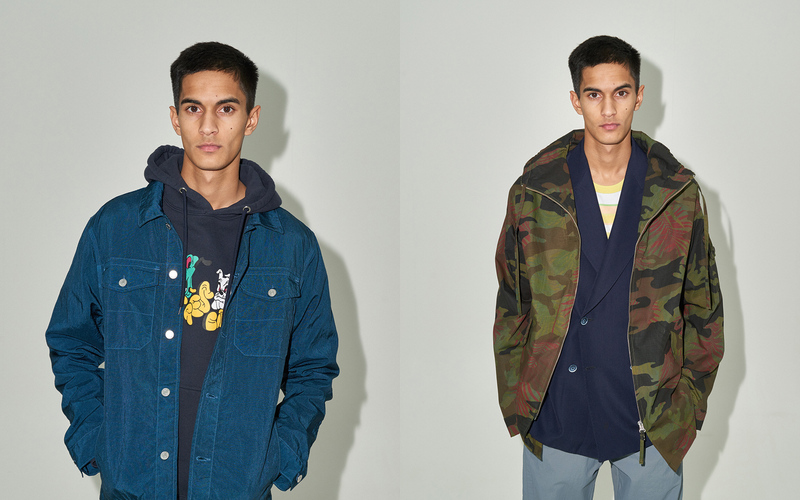 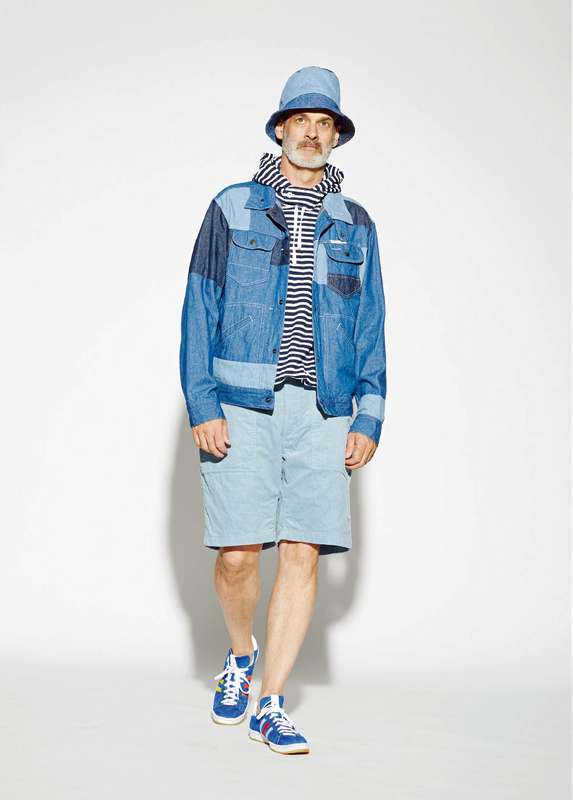 Engineered Garments Spring / Summer 2019 are now available online and in-store. 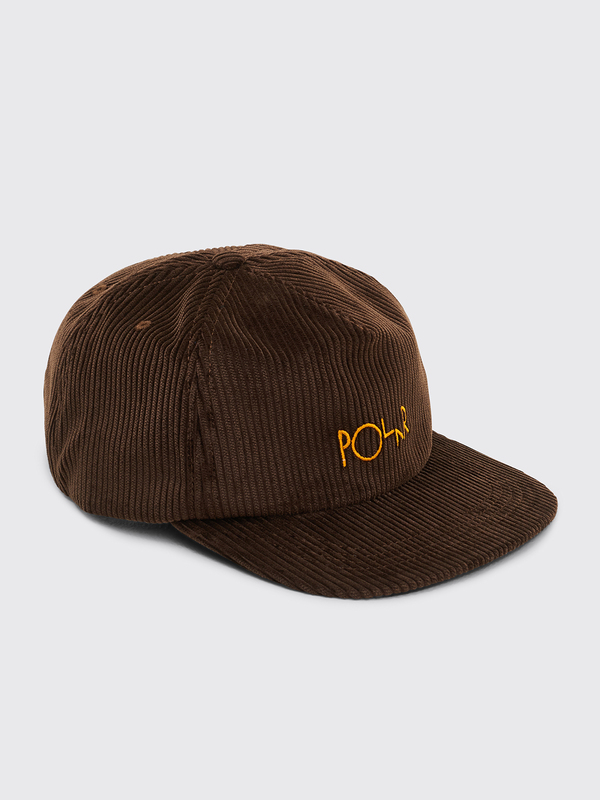 More items available on the Souvenir shop page including magazines, home decor and more. 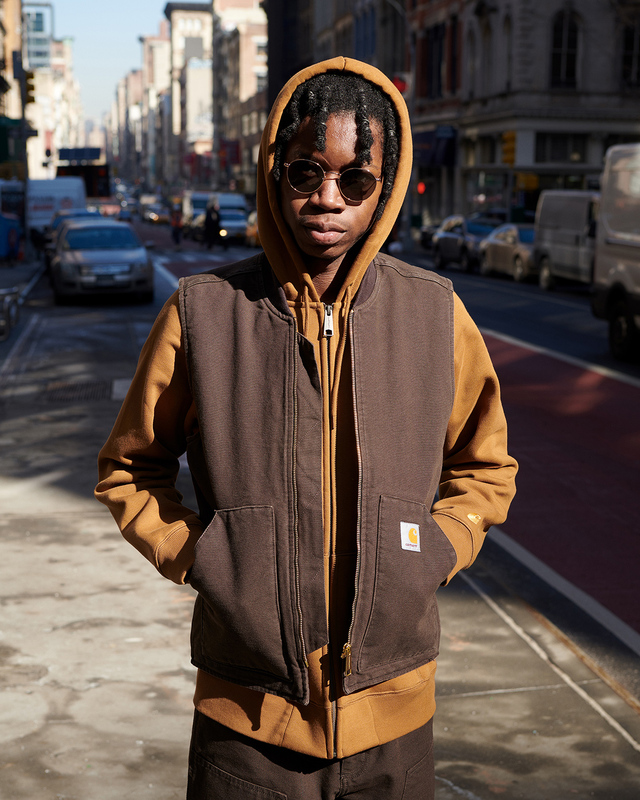 The Sun Buddies for Carhartt WIP collaboration includes three sunglasses in six different colors all available online Thursday, March 28. 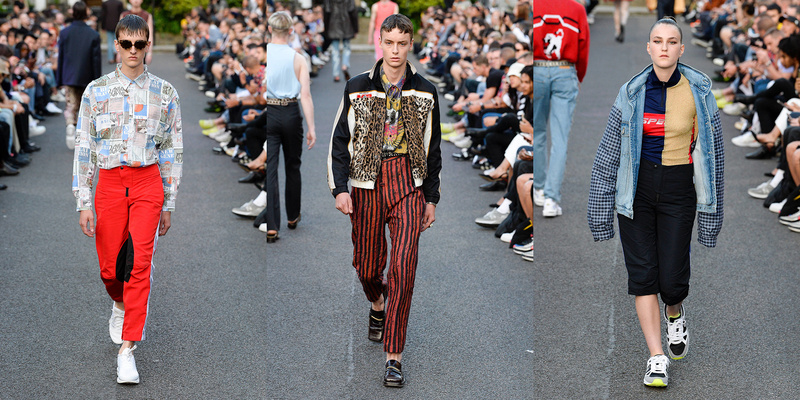 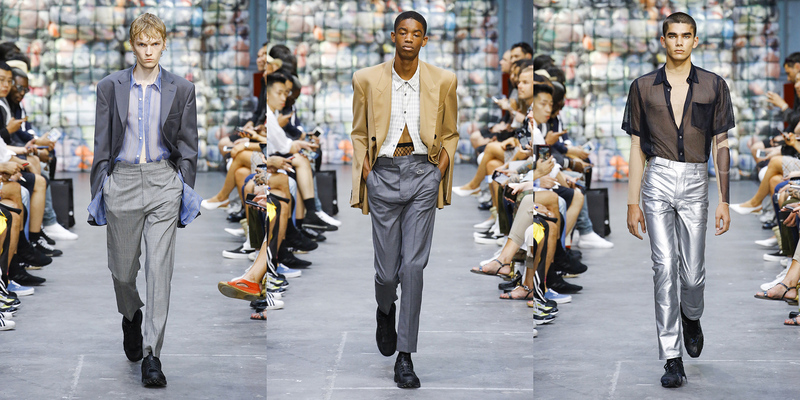 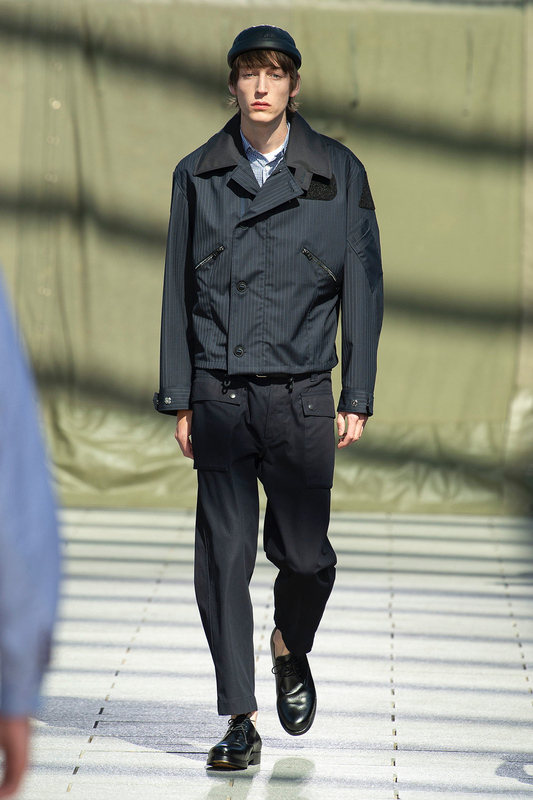 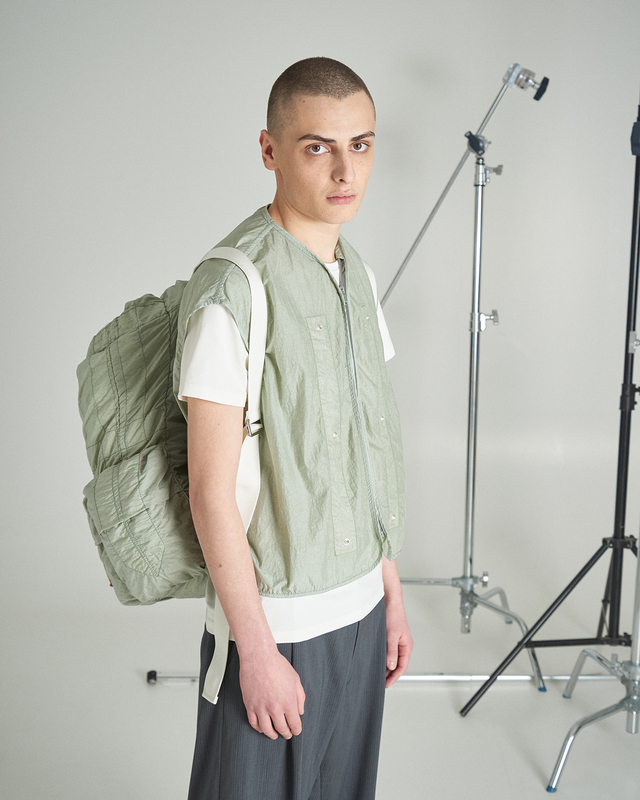 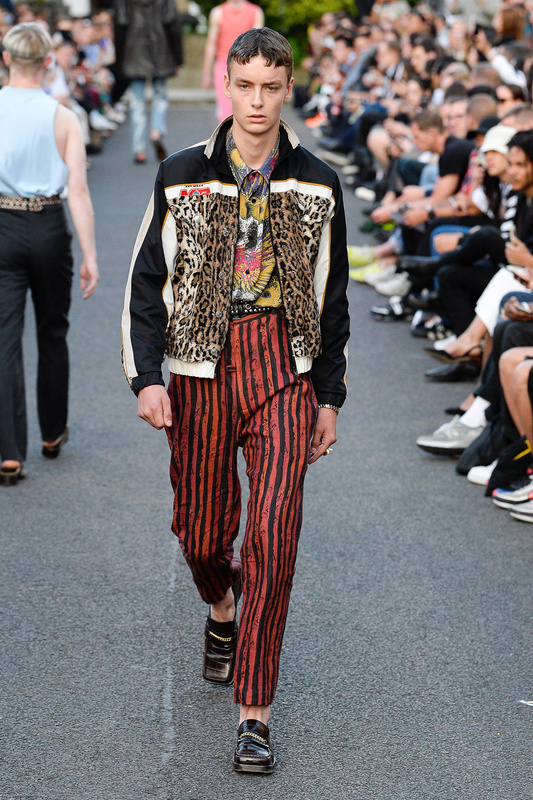 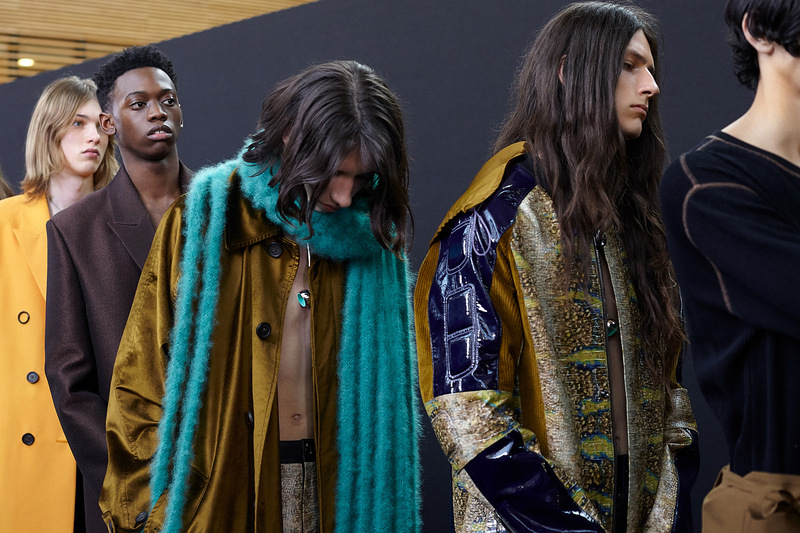 Jackets, sneakers, bags and more from Junya Watanabe MAN Spring / Summer 2019 are now available online. 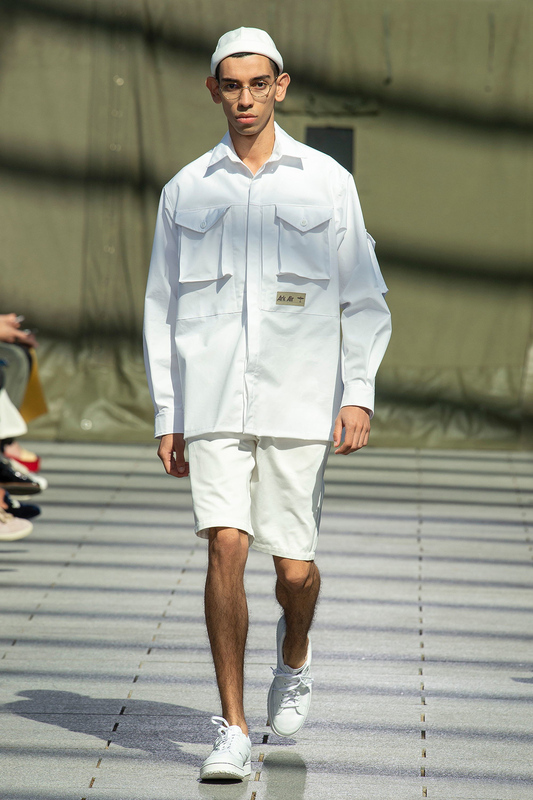 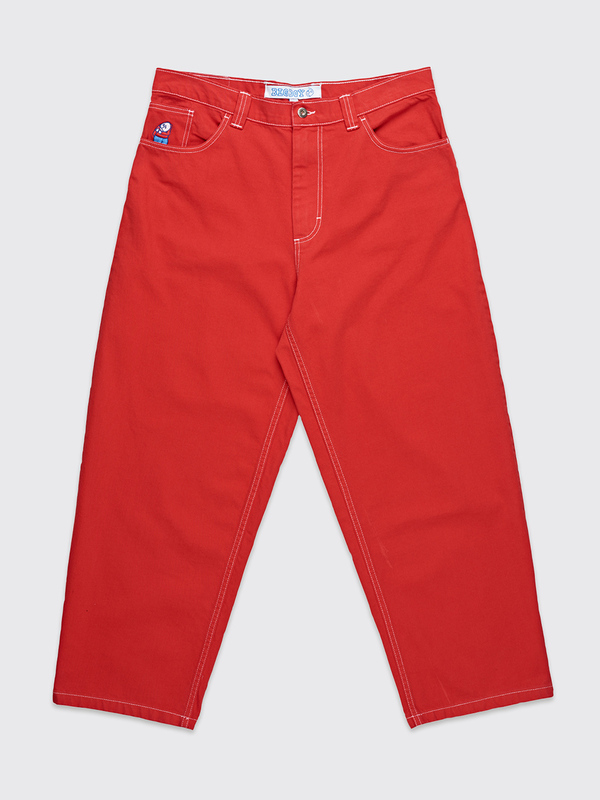 New items from Comme des Garçons Homme Plus Spring / Summer 2019 now available online. 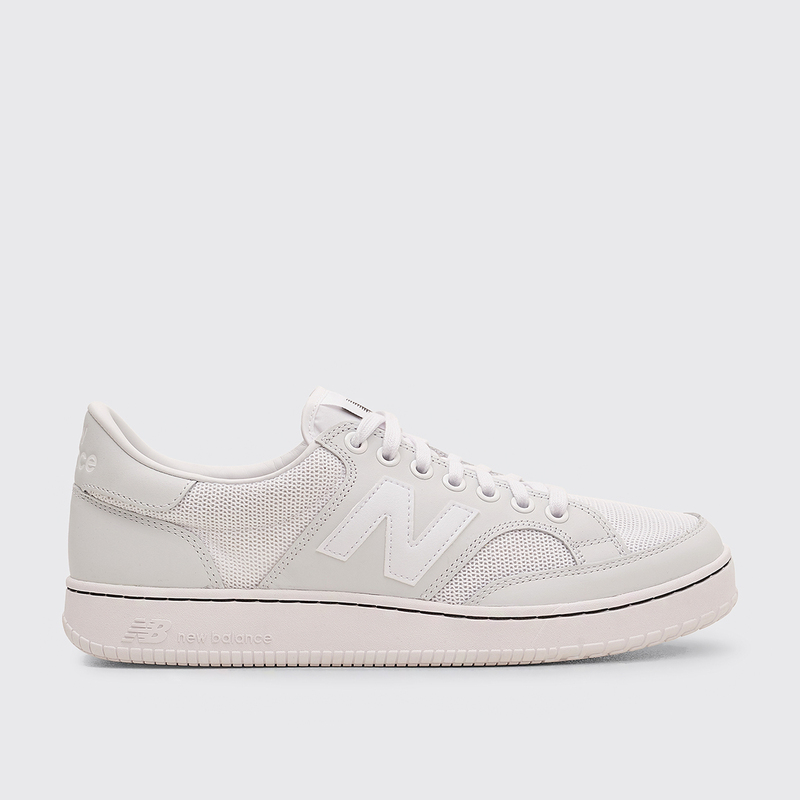 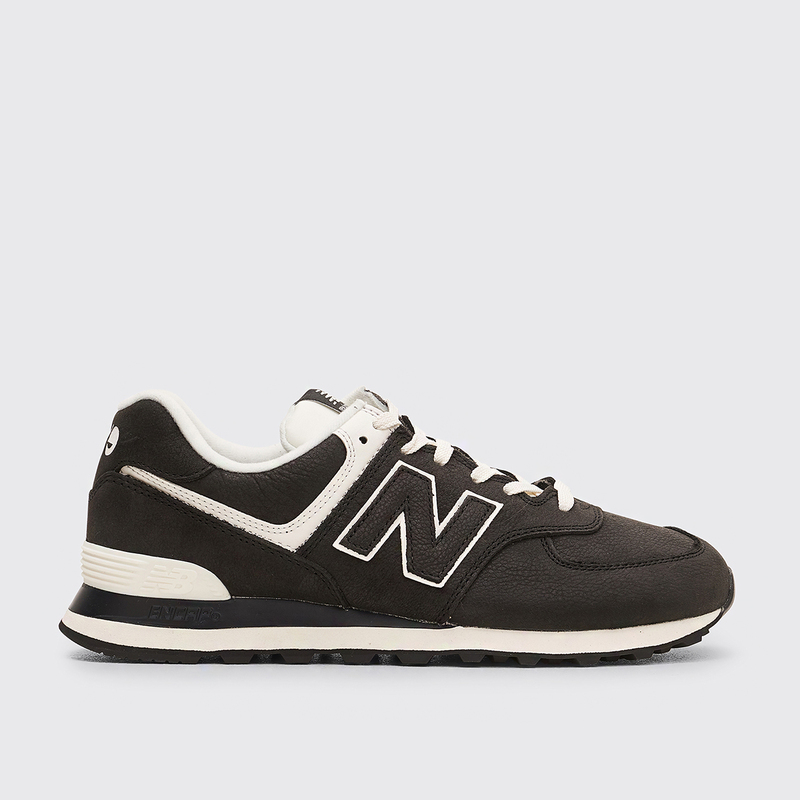 Sneakers from Junya Watanabe MAN x New Balance are now available online and in-store. 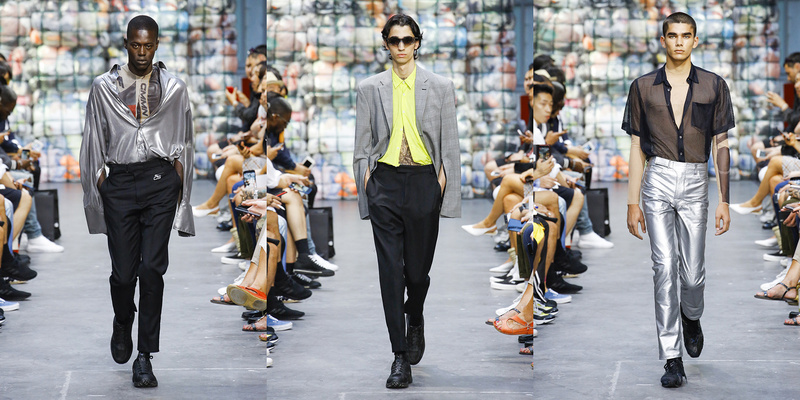 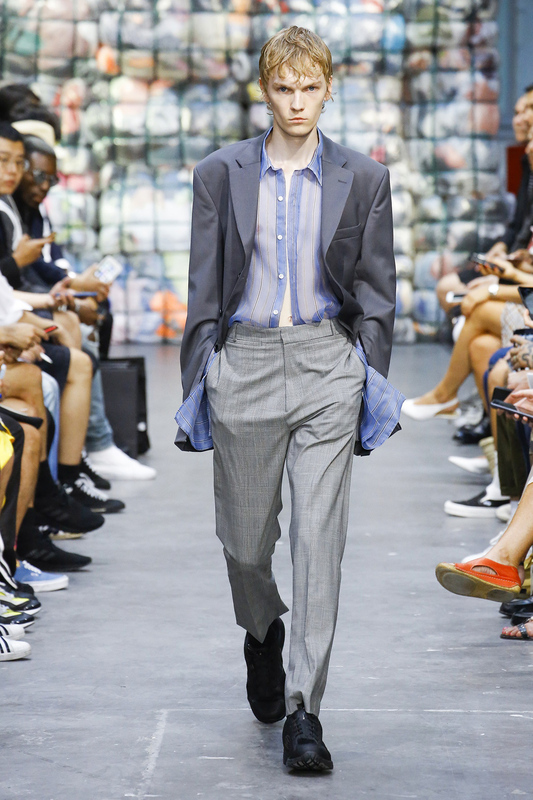 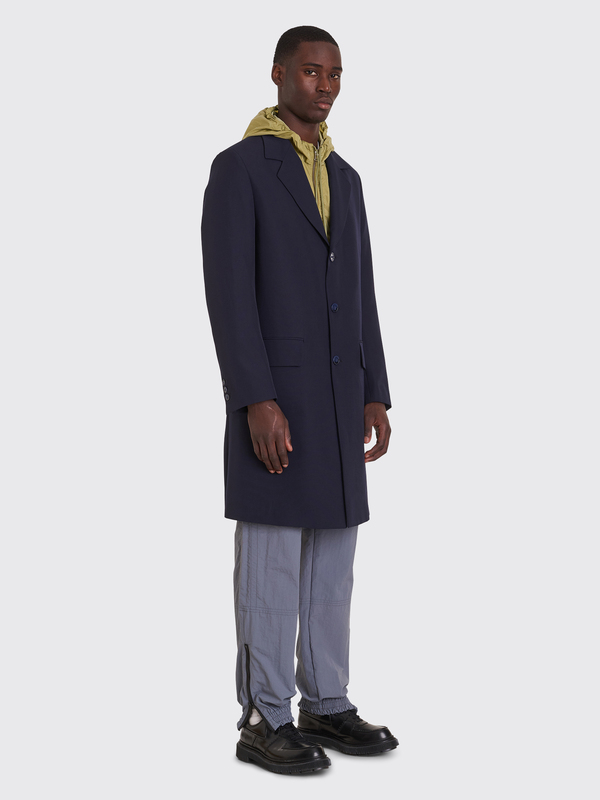 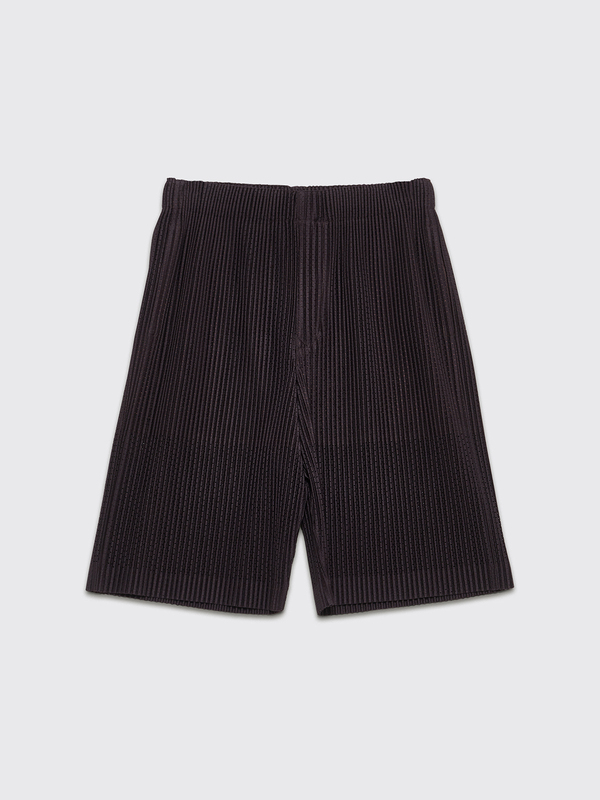 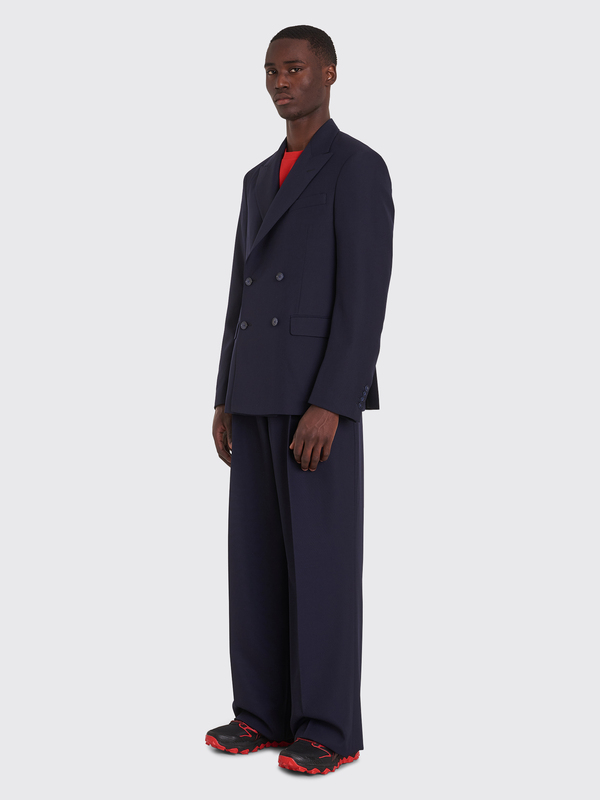 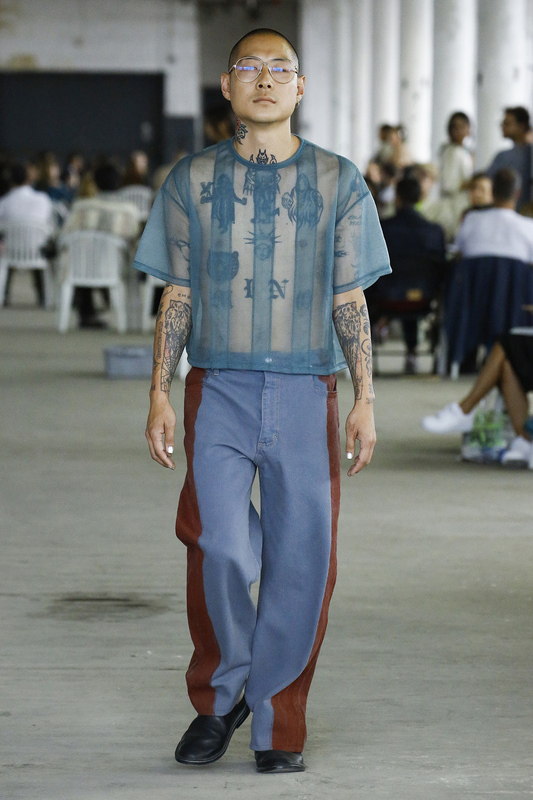 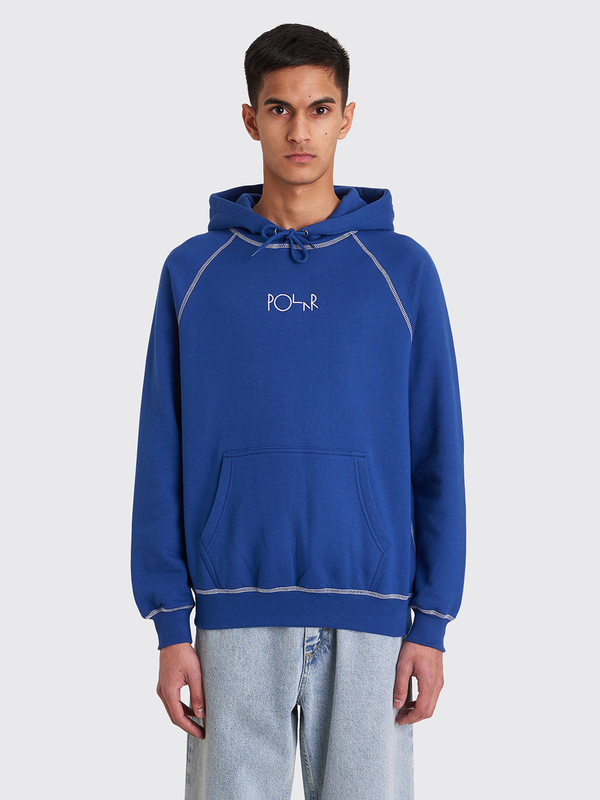 More Homme Plissé items from Issey Miyake Spring / Summer 2019 are now available online. 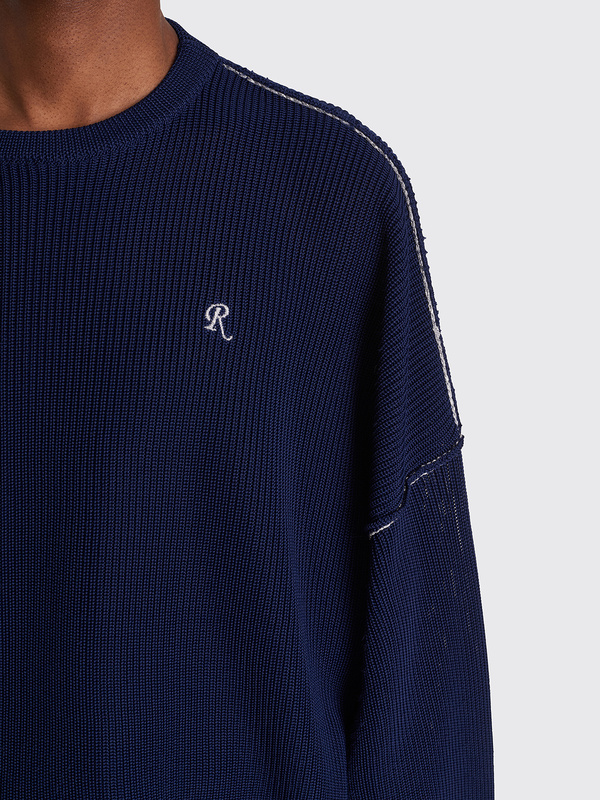 Second delivery from Raf Simons Spring / Summer 2019 is now available online and in-store. 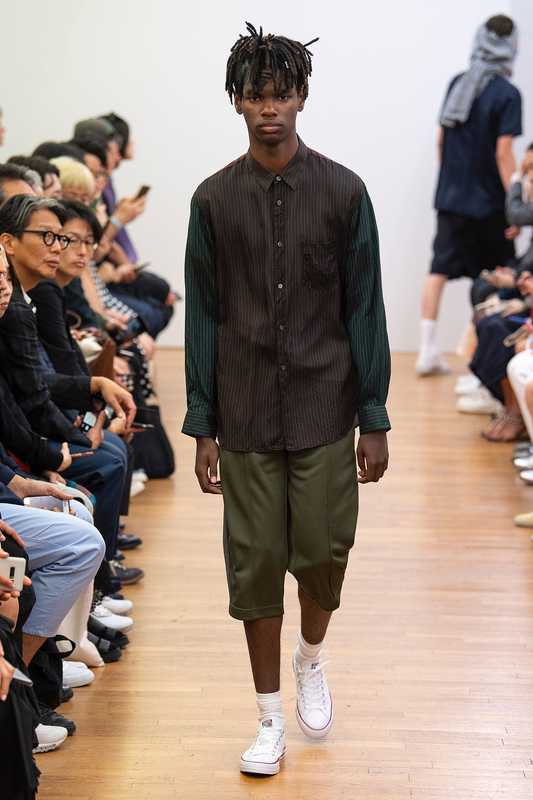 More from the Comme des Garçons Shirt Spring / Summer 2019 collection now available online. 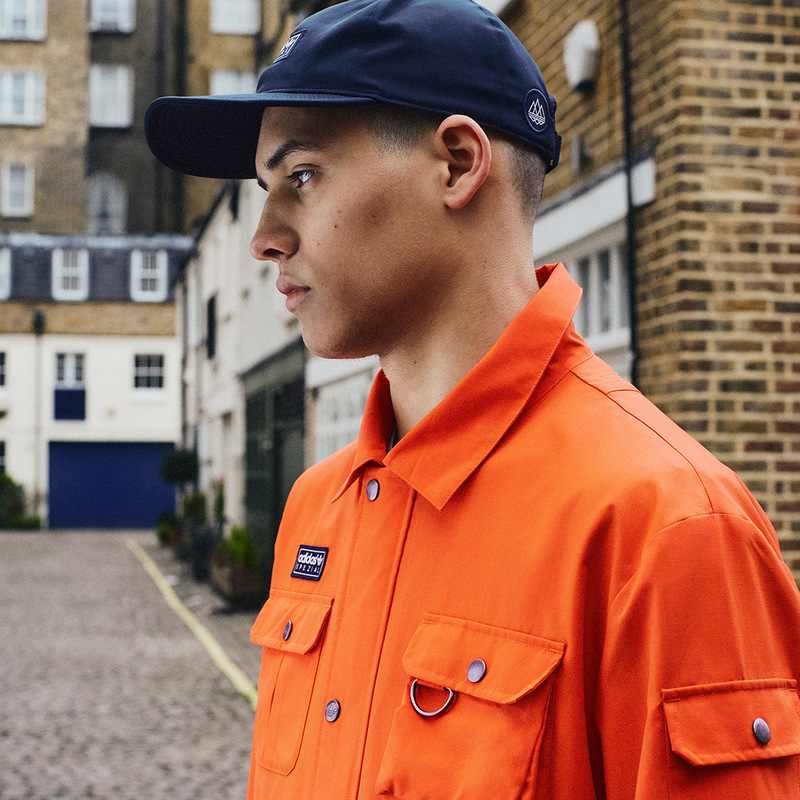 Spring / Summer 2019 from Cobra S.C. including trousers, shirts and more is now available online and in-store. 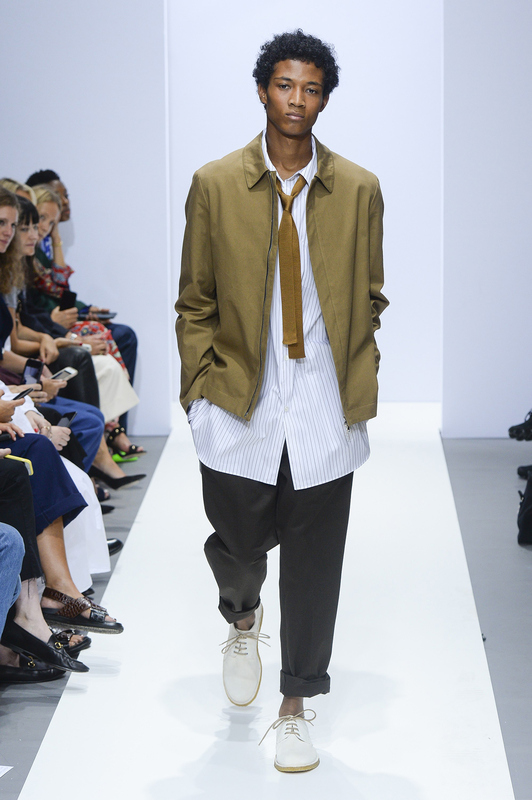 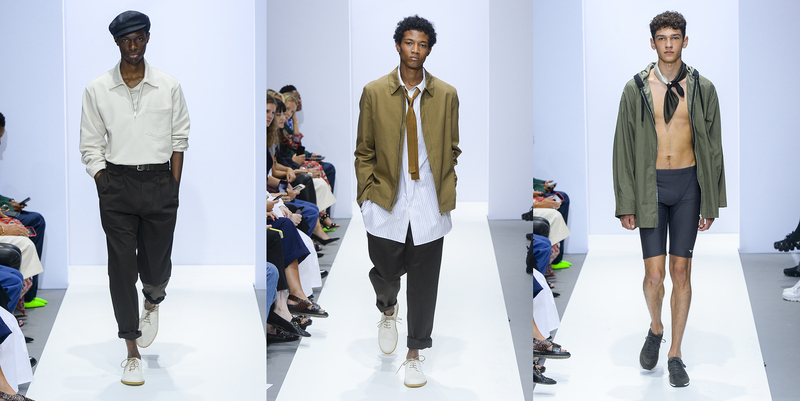 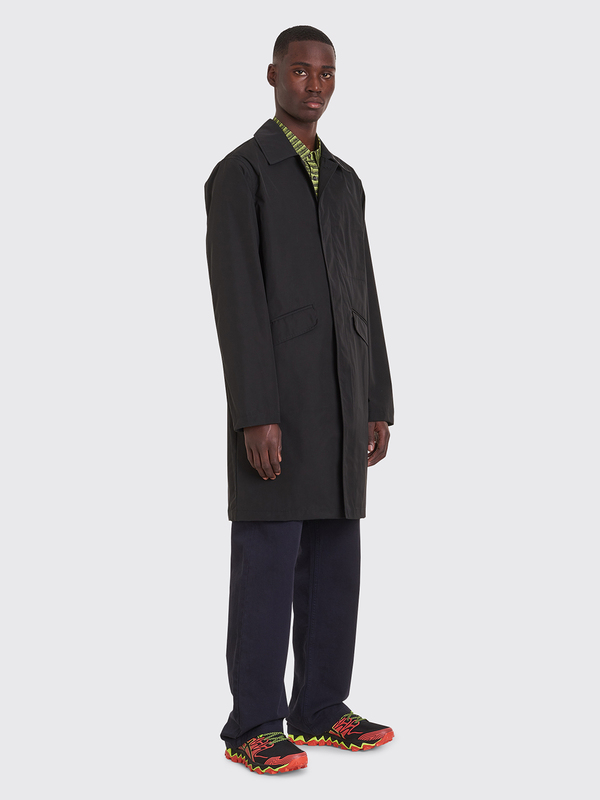 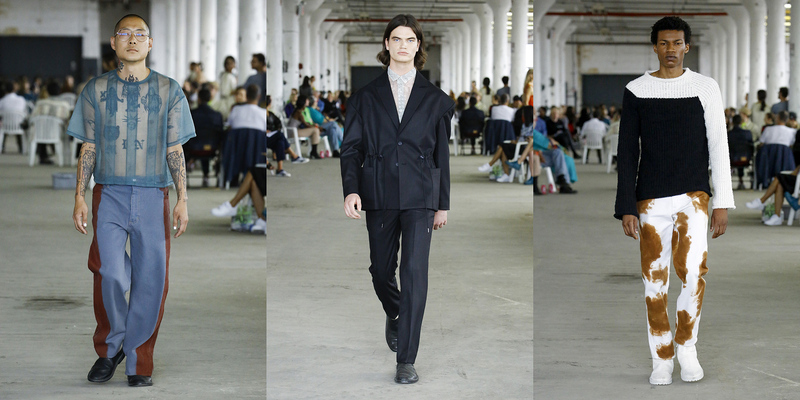 Second delivery from Jil Sander Spring / Summer 2019 is now available online including jackets, shirts and more. 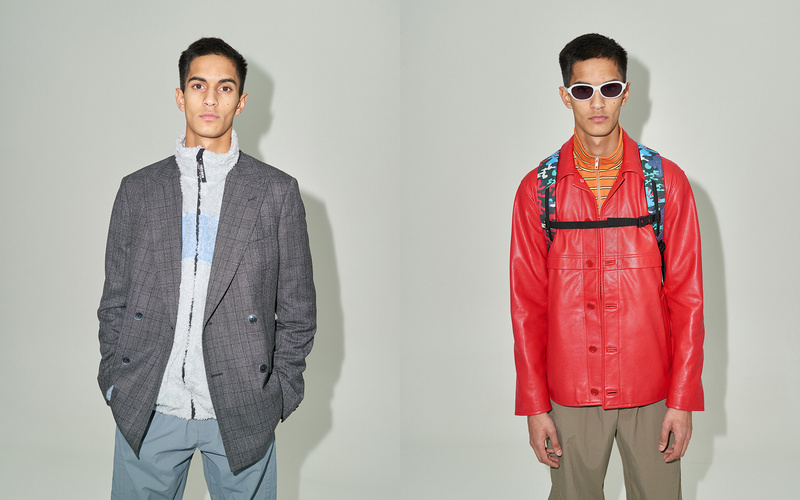 First drop from Martine Rose Spring / Summer 2019 now available online. 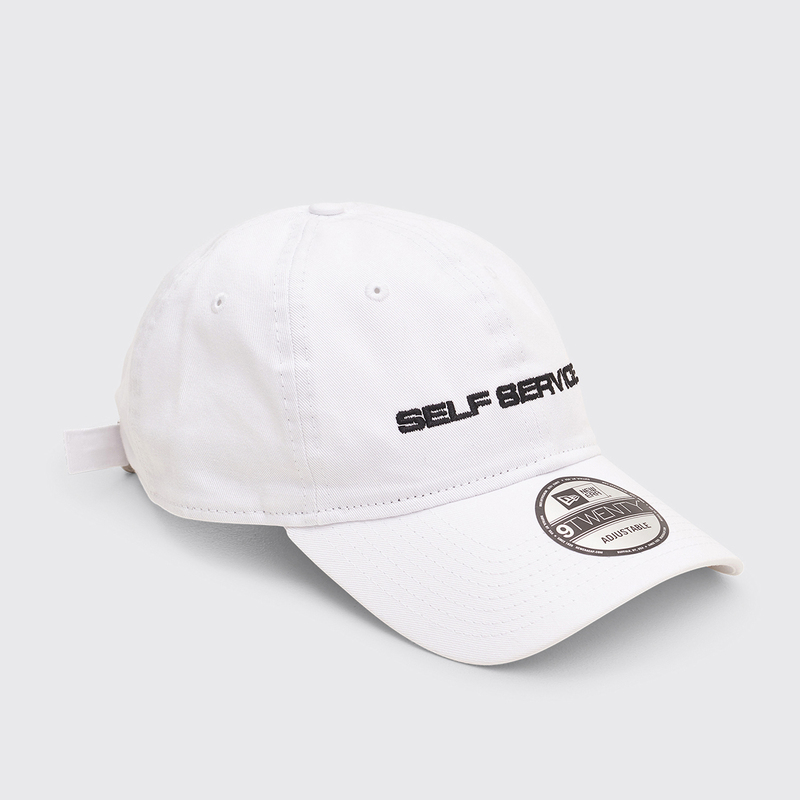 Self Service - '1994-2019 The Ads' and 'The Vintage You' published by IDEA online now along with merch tee and cap. 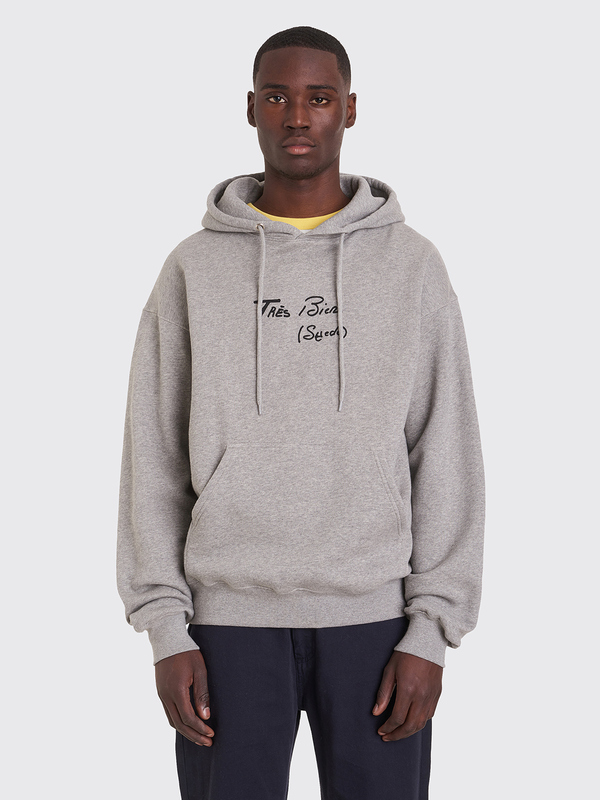 More from Better TM is now online including apparel and a Kuumba incense can. 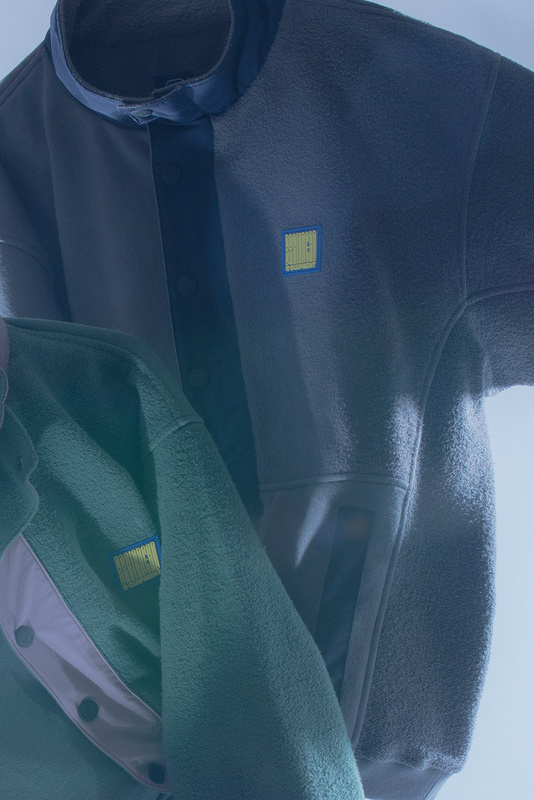 First delivery from the GmbH Spring / Summer 2019 collection is now available online. 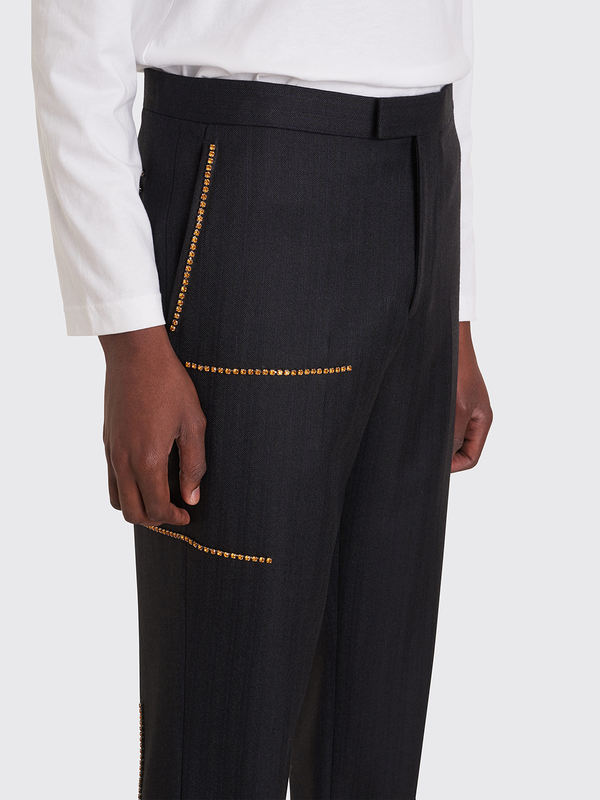 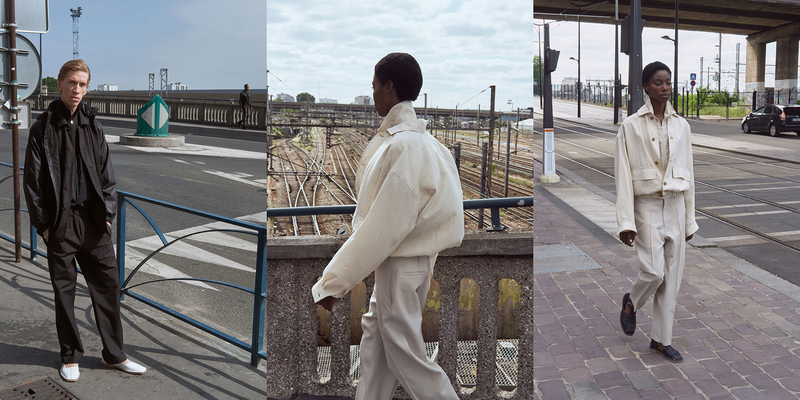 The third delivery from the Très Bien Spring / Summer 2019 collection is now available including shirts, trousers, jackets and more. 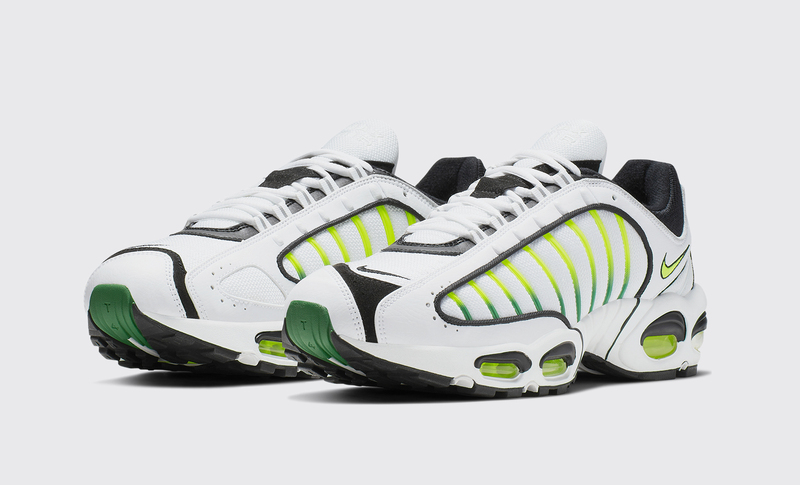 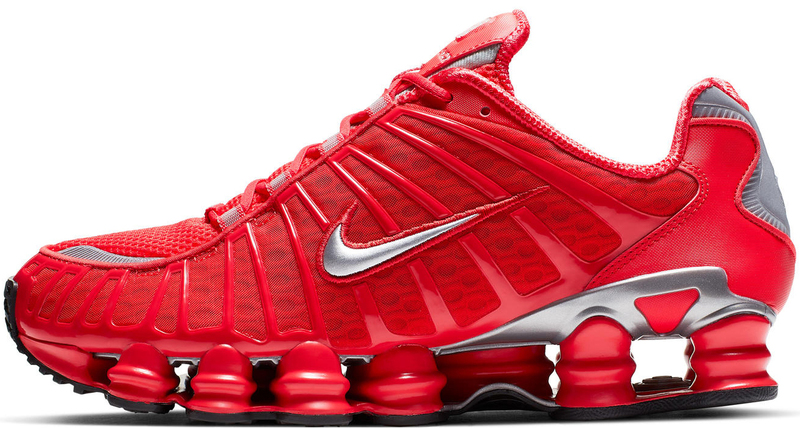 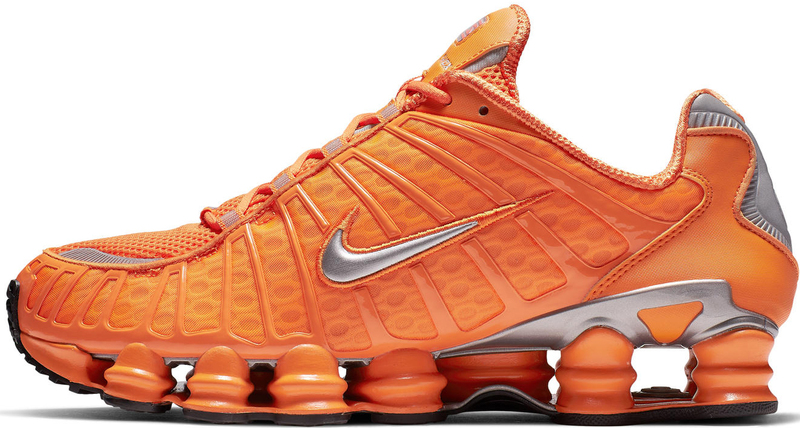 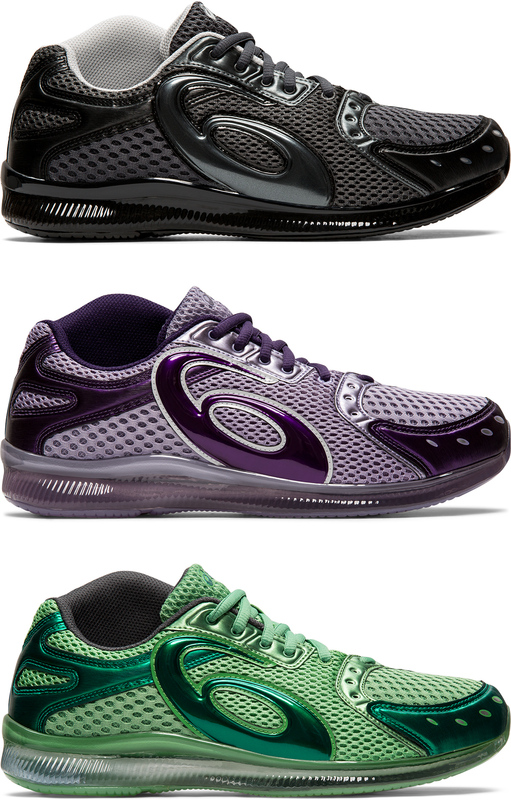 The Shox TL sneakers comes in three colorways and will be available online Thursday, March 21. 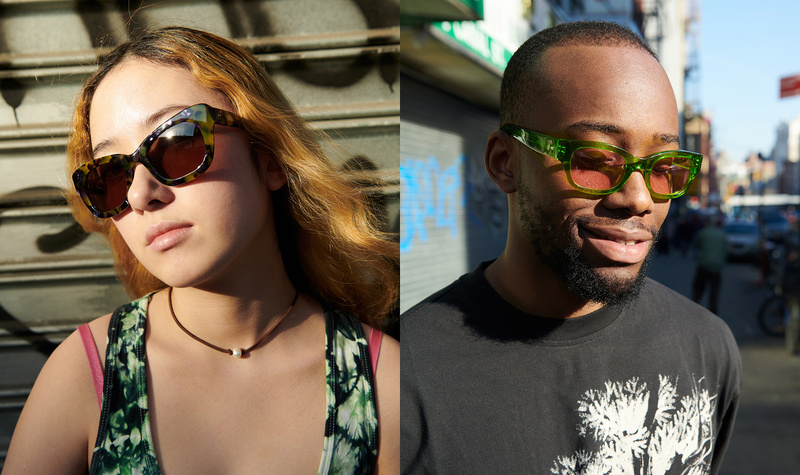 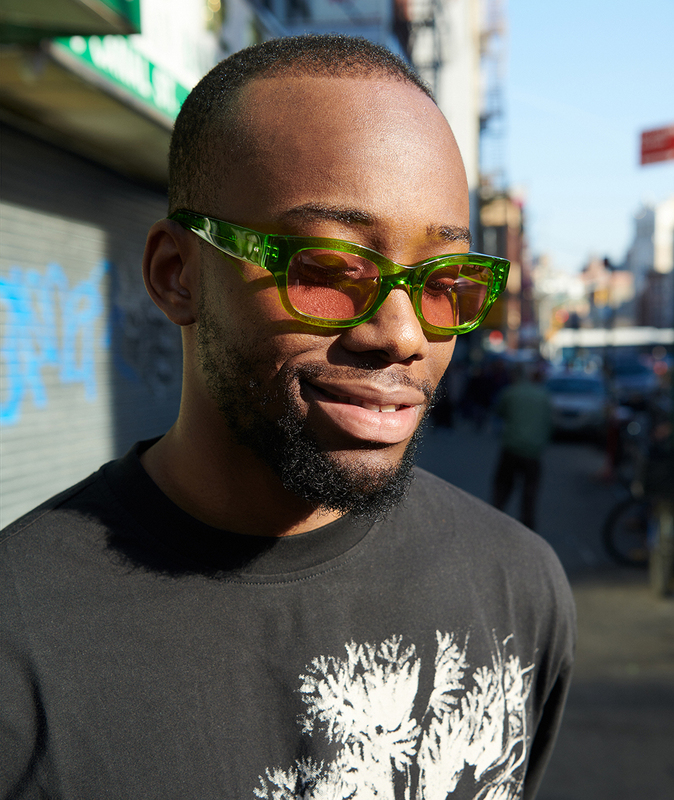 Spring / Summer 2019 sunglasses from Très Bien eyewear brand Sun Buddies is now online with new models and colorways. 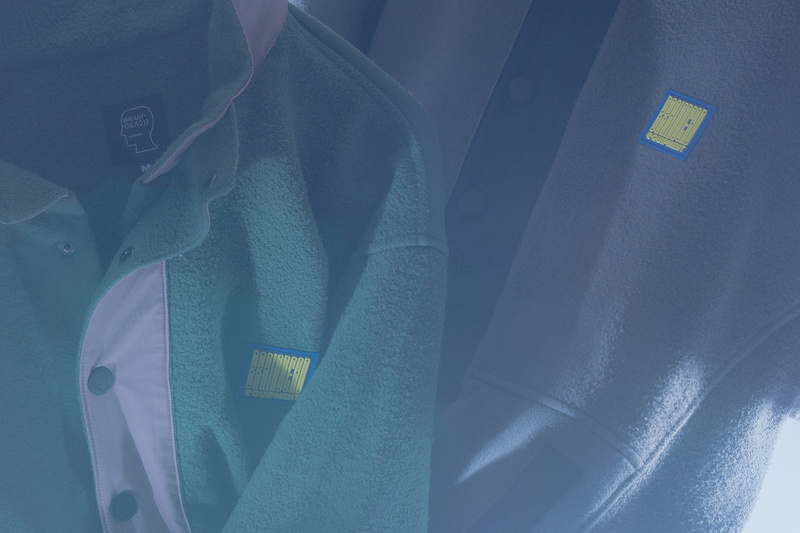 Second drop from Polar Skate Co. Spring / Summer 2019 are now available online. 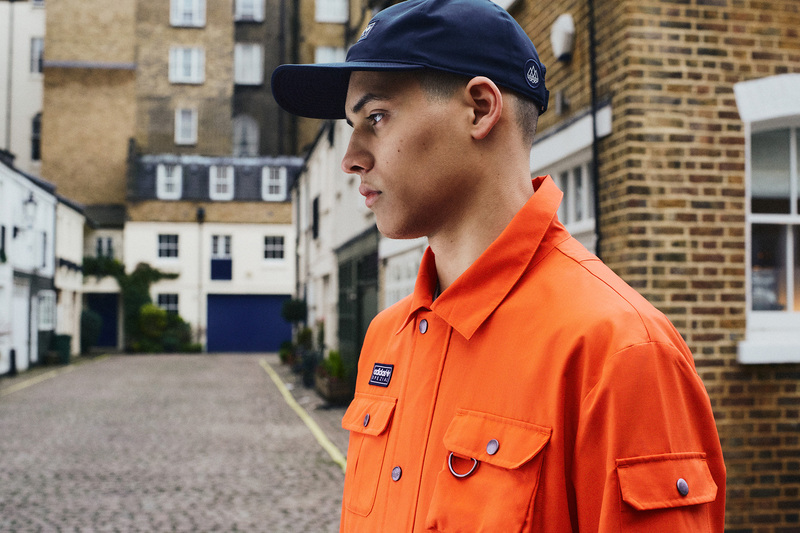 First delivery from the Wales Bonner Spring / Summer 2019 collection now available online. 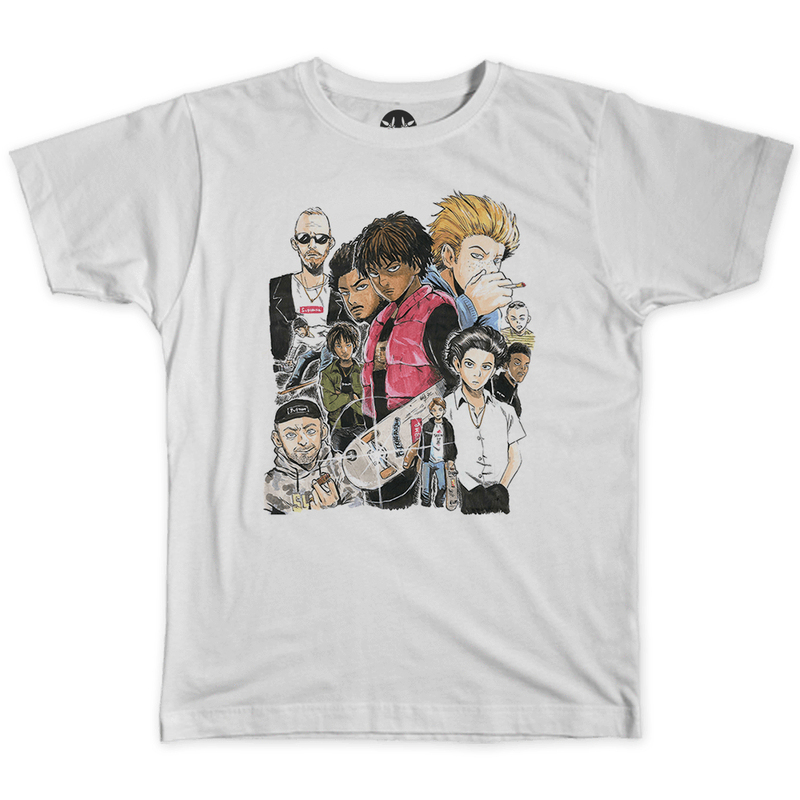 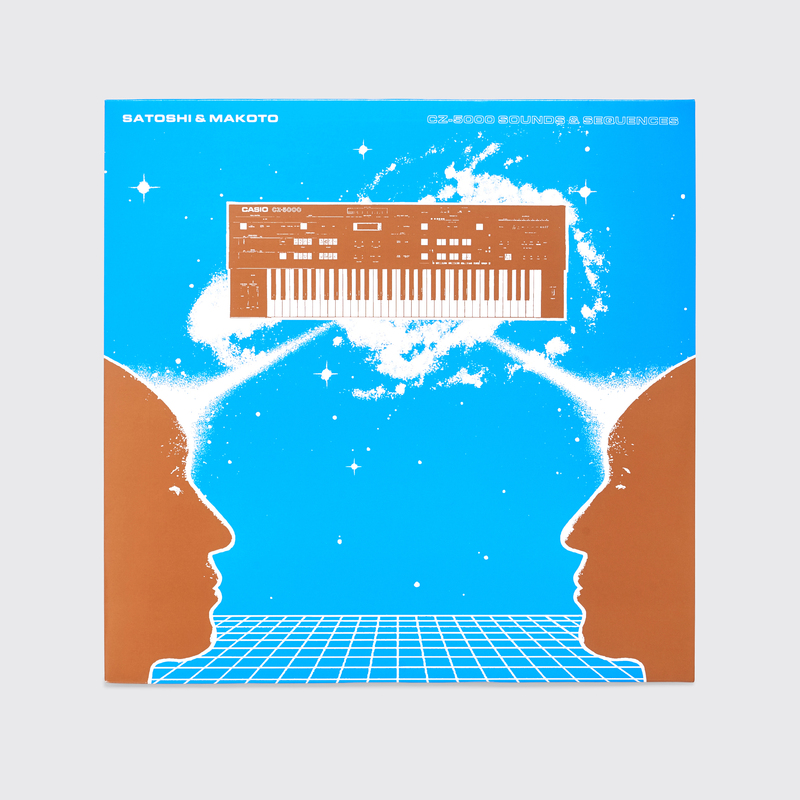 New souvenir items available including the CZ-5000 Sounds & Sequences vinyl, the latest issue from Heroine and more. 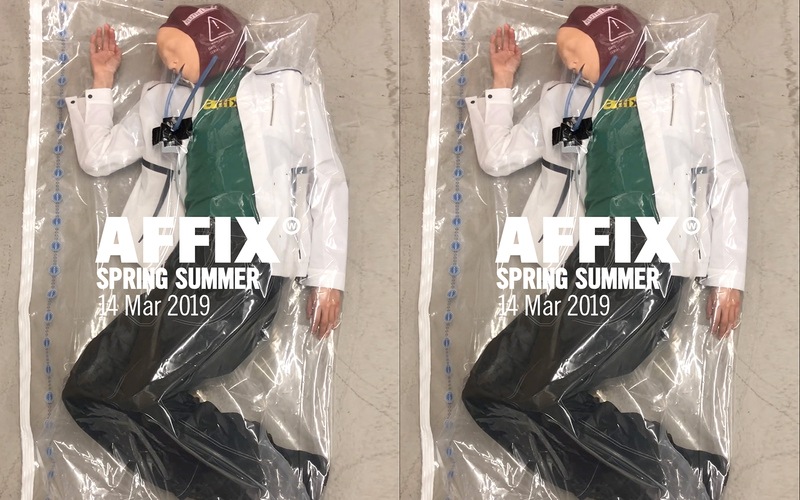 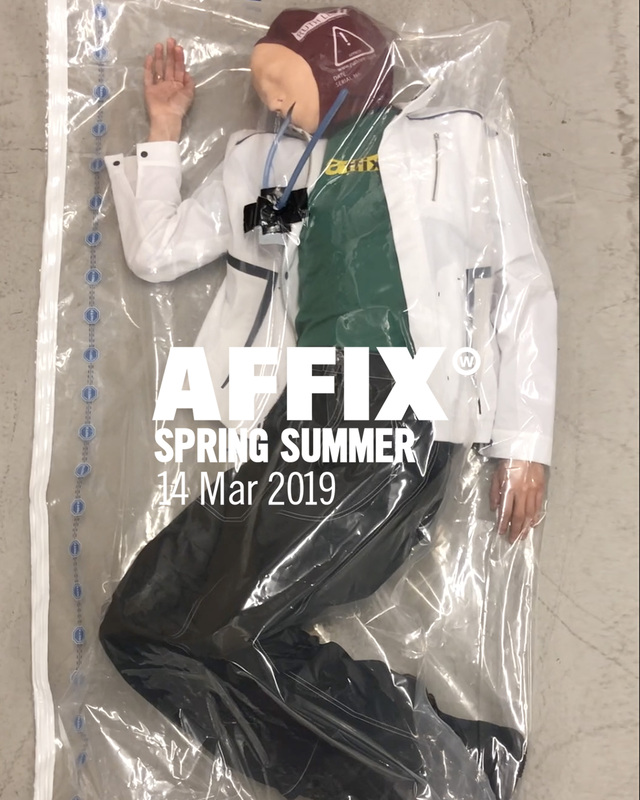 First drop from AFFIX Spring / Summer 2019 collection will be available online 14/03/2019. 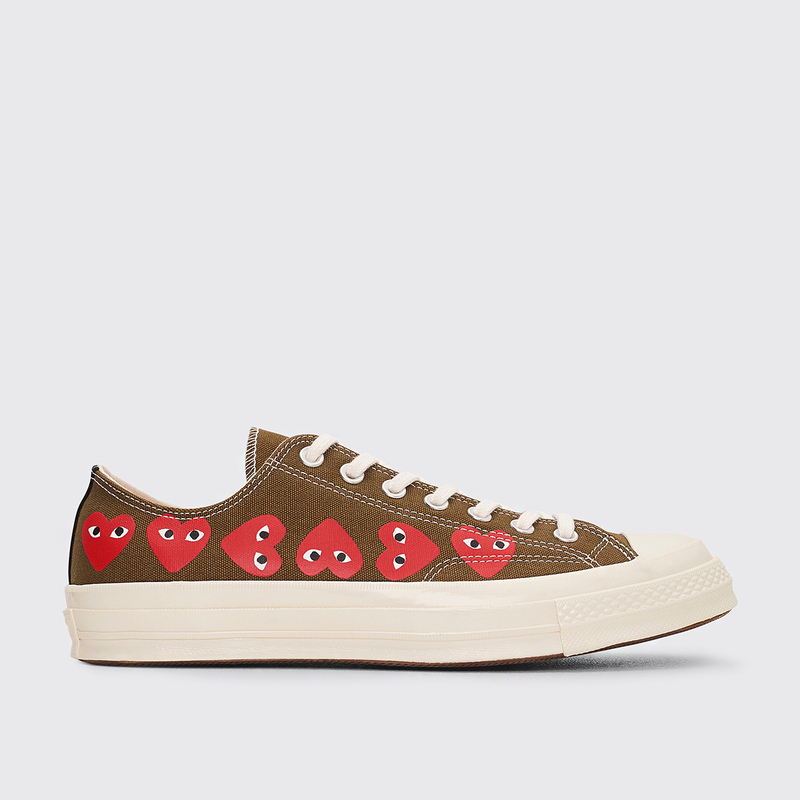 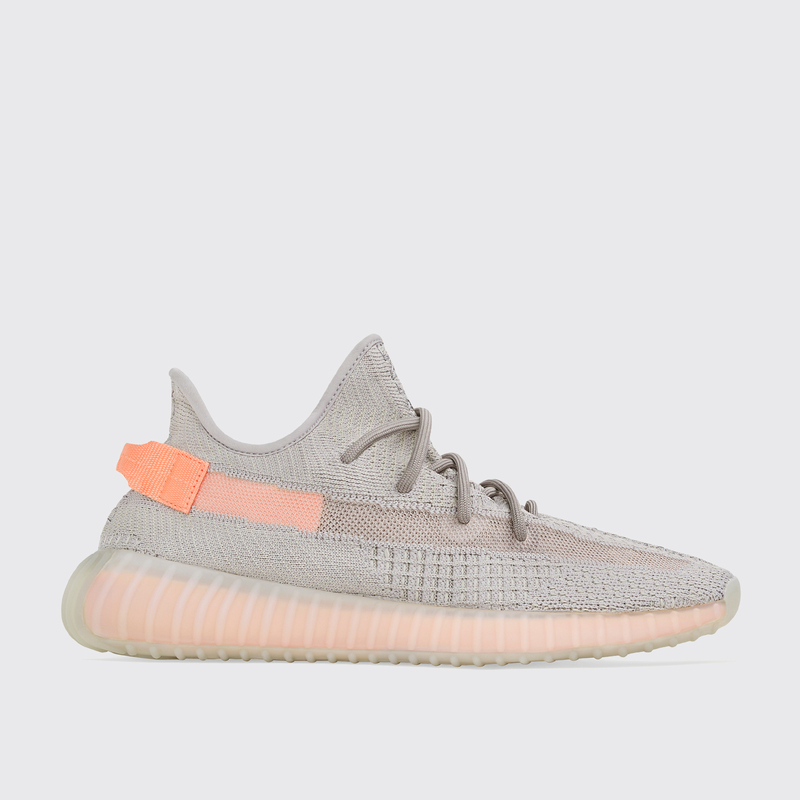 Sneakers from Adidas, Nike, Asics and more now online including the Converse x The Soloist ERX and the Yeezy Boost 350 V2 Trfrm. 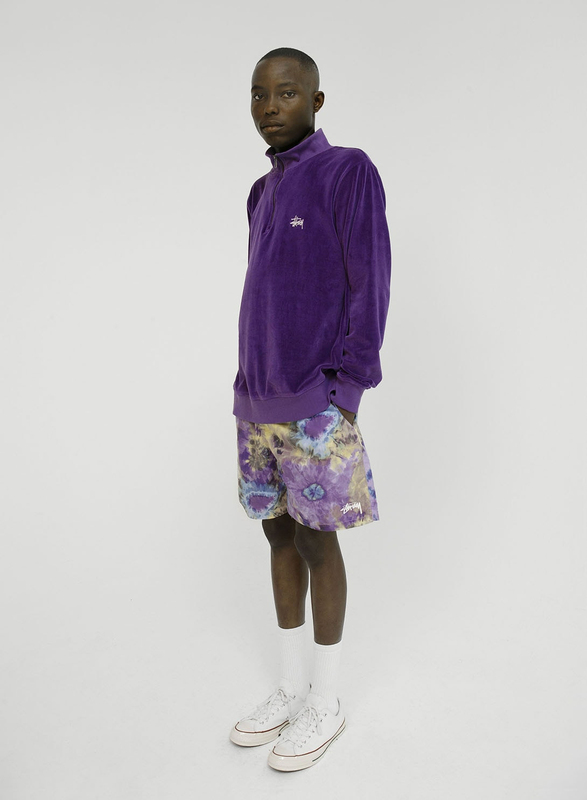 Sneakers and apparel from adidas Spezial Spring / Summer 2019 collection now available online. 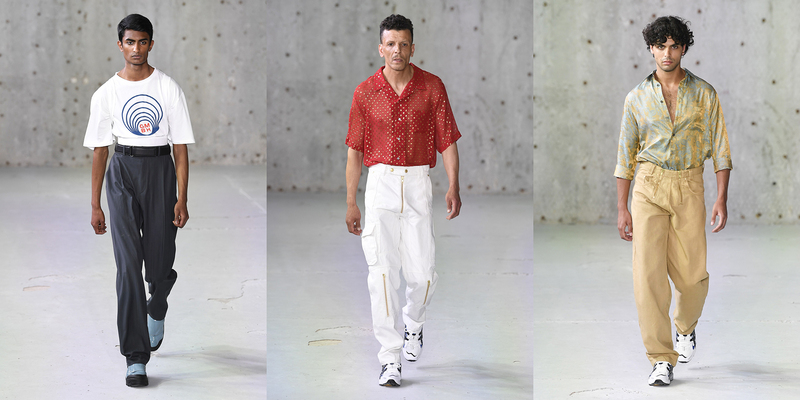 The second delivery from the Très Bien Spring / Summer 2019 collection is now available online. 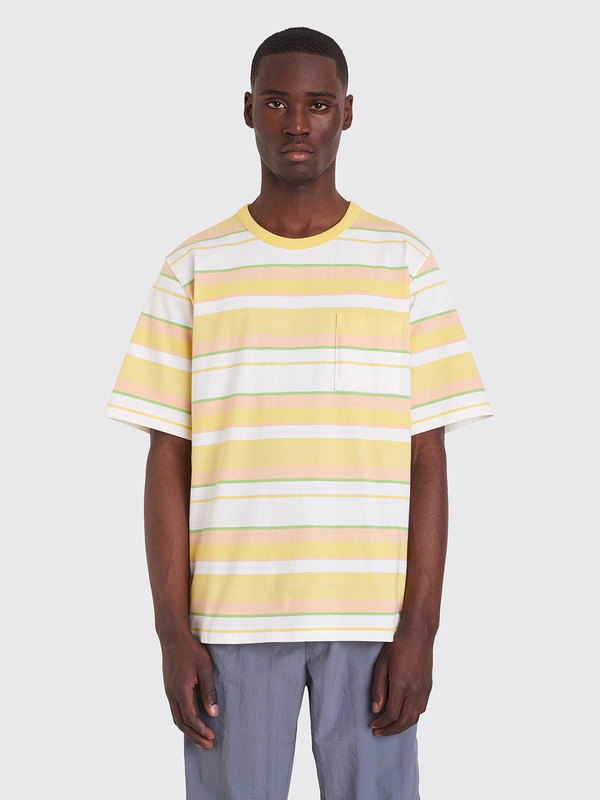 More items from the Acne Studios SS19 collection is now available online and in-store. 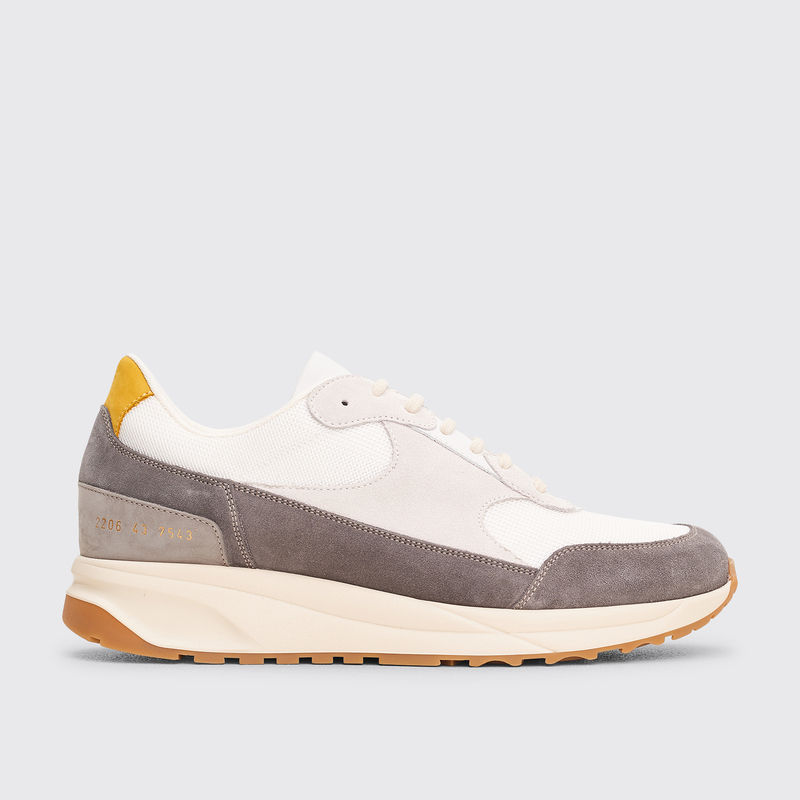 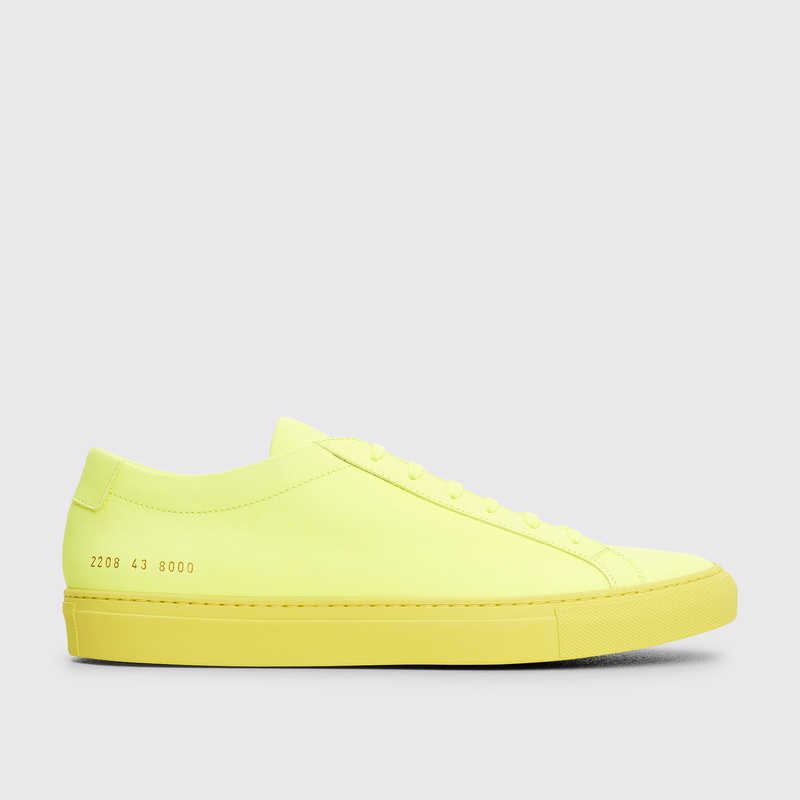 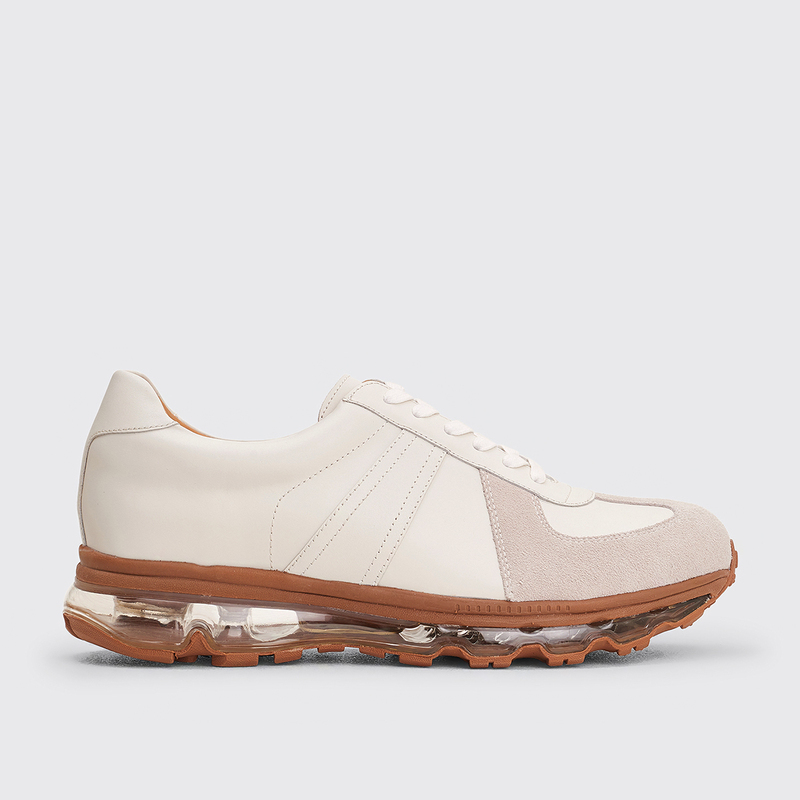 Sneakers from Common Projects Spring / Summer 2019 are now available online and in-store. 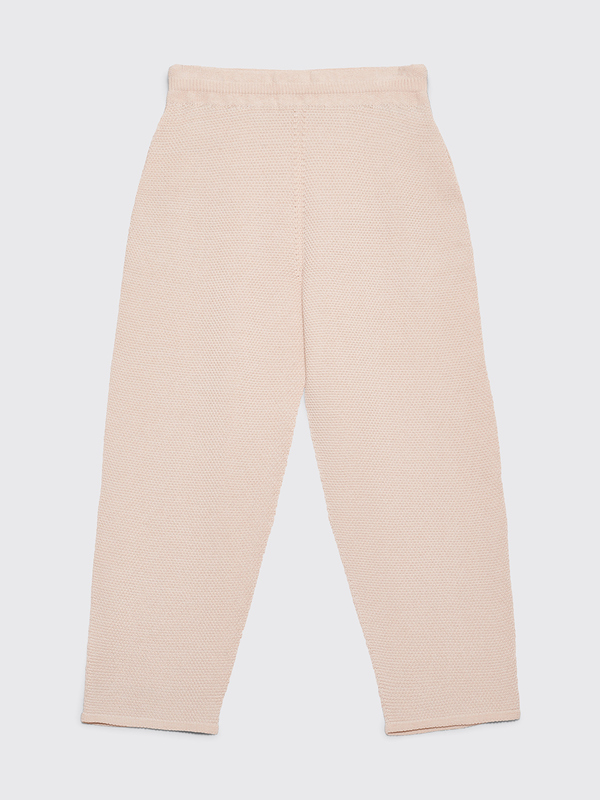 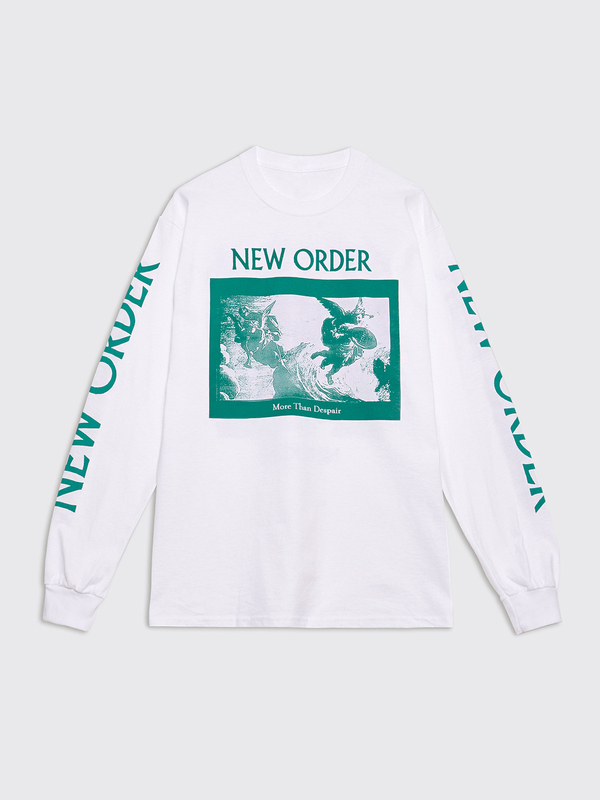 New at Très Bien is IGGY NYC. 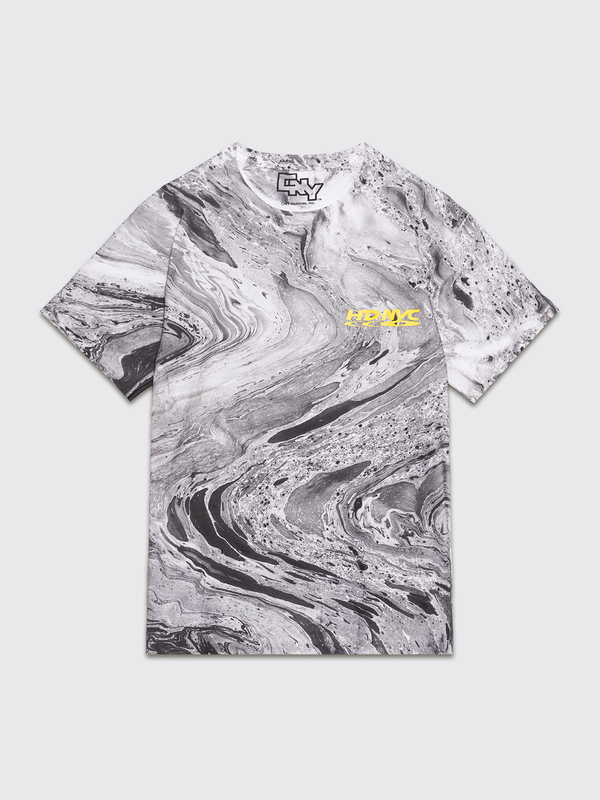 The first drop includes printed t-shirts and apparel. 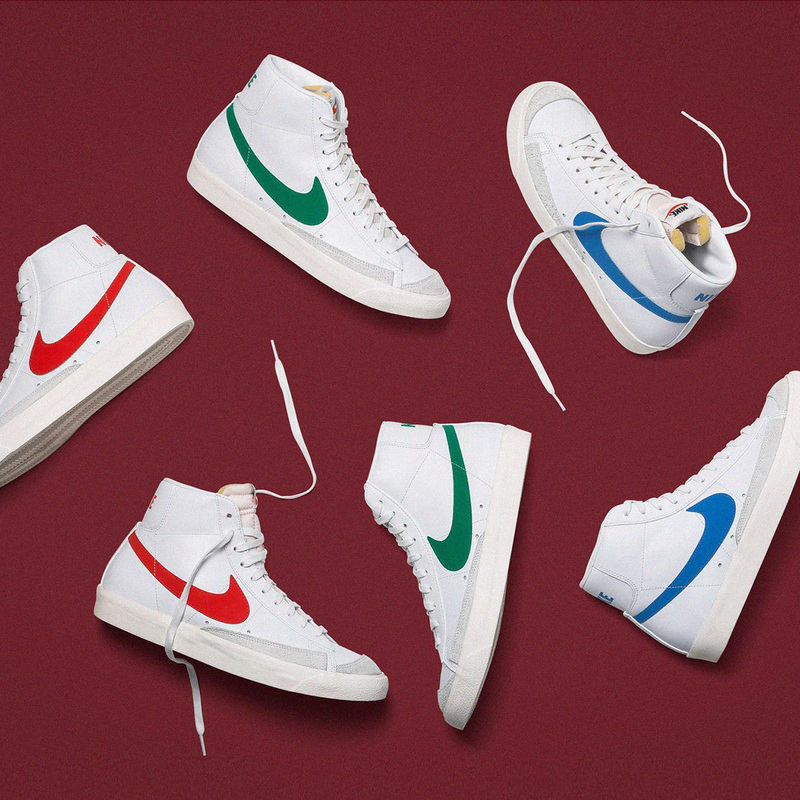 Available March 6. 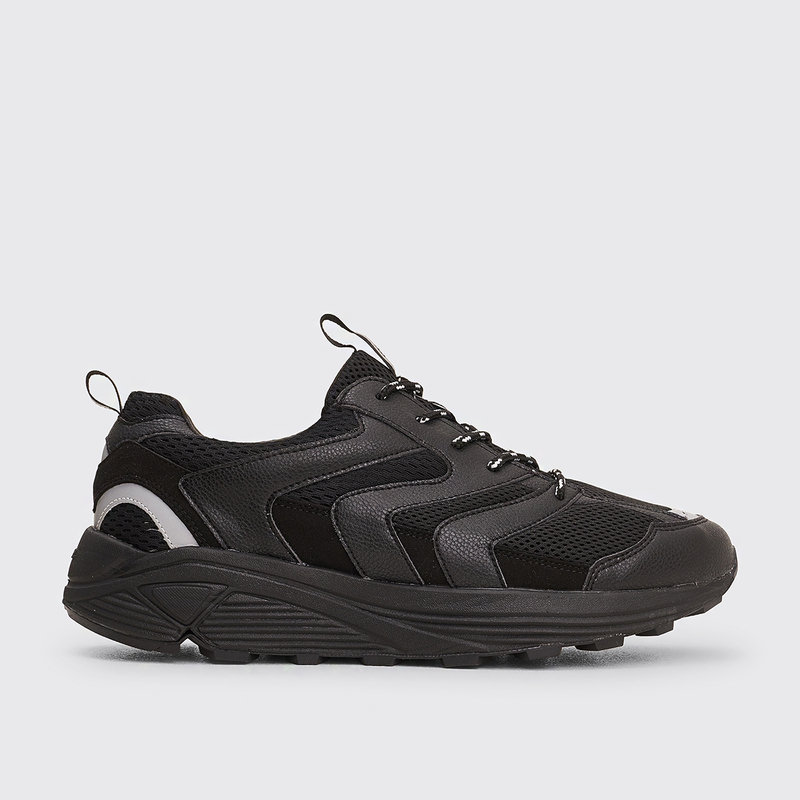 Footwear from the Kiko Kostadinov x Camper 'Together' collaboration now available online. 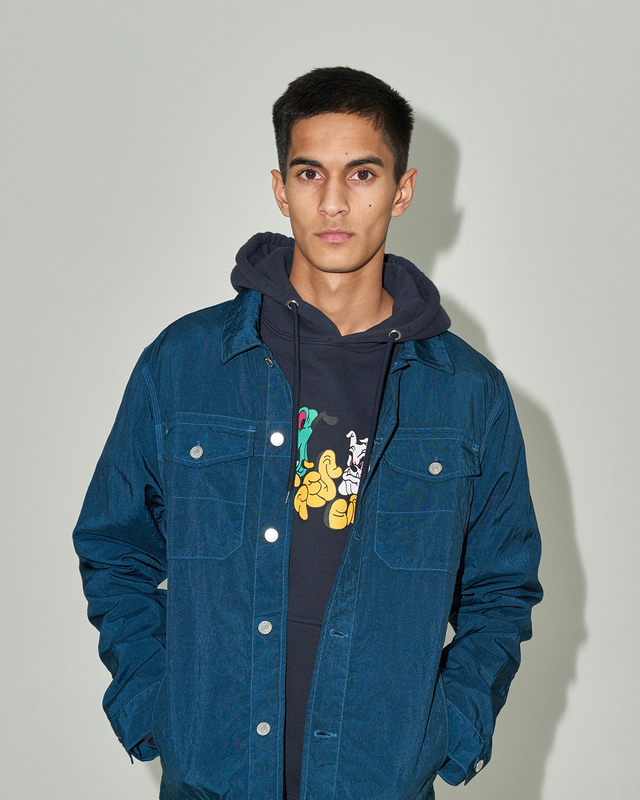 Jackets, shirts, hoodies and more from Brain Dead Spring / Summer 2019 now available online. 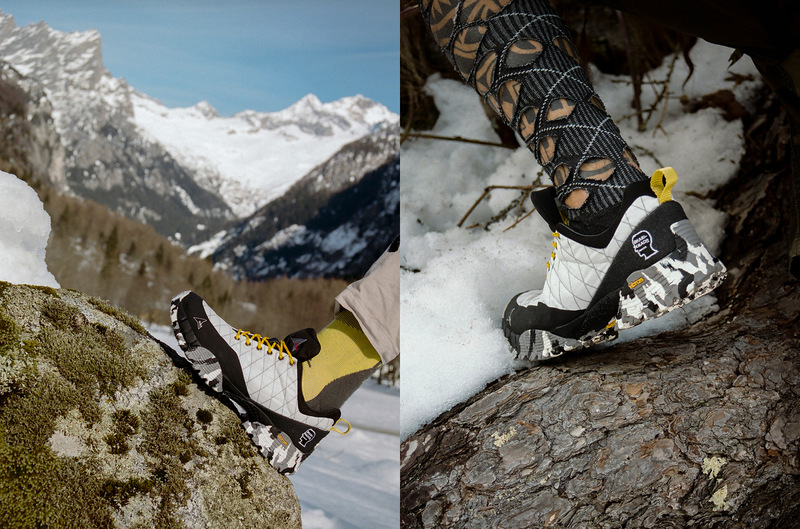 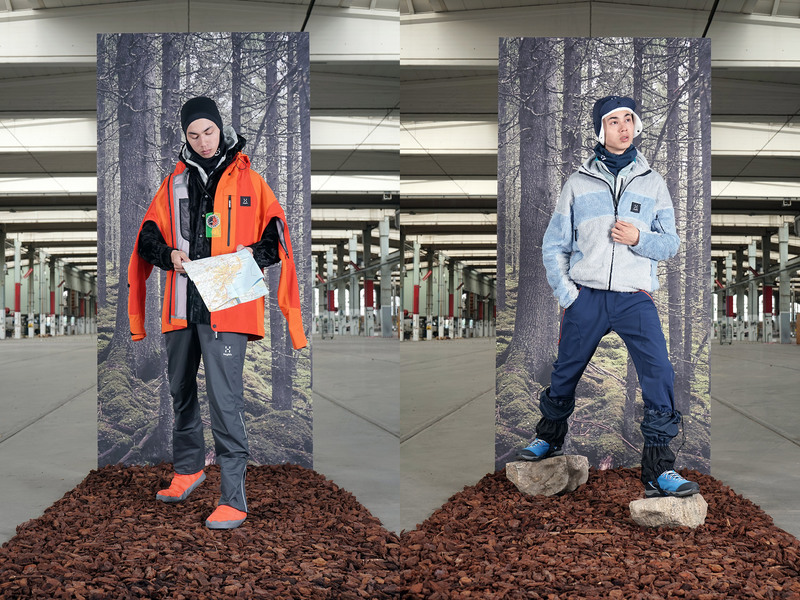 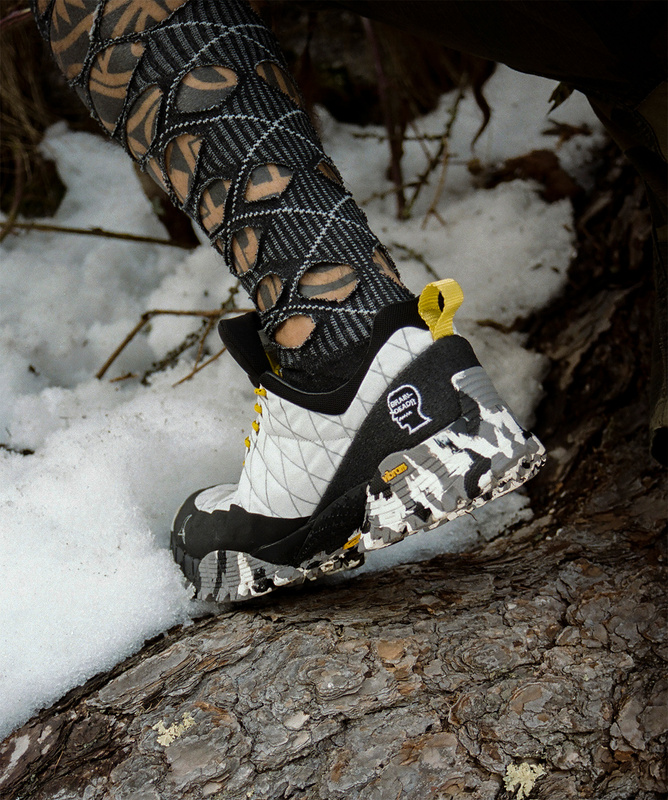 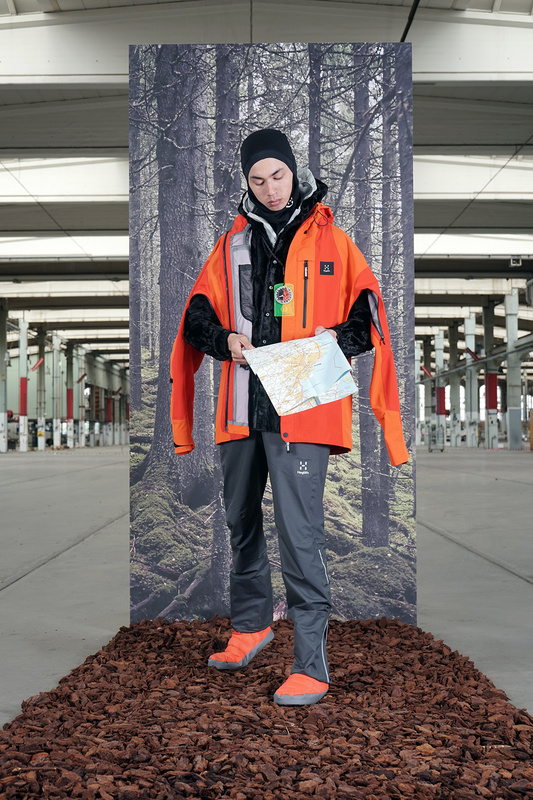 A capsule collection with Swedish outdoor brand Haglöfs including six updated Haglöfs products available February 28. 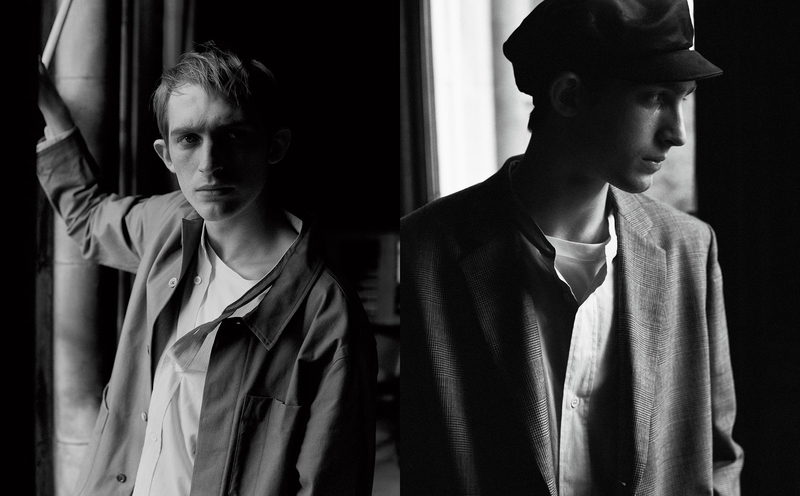 First drop from Margaret Howell Spring / Summer 2019 now available online. 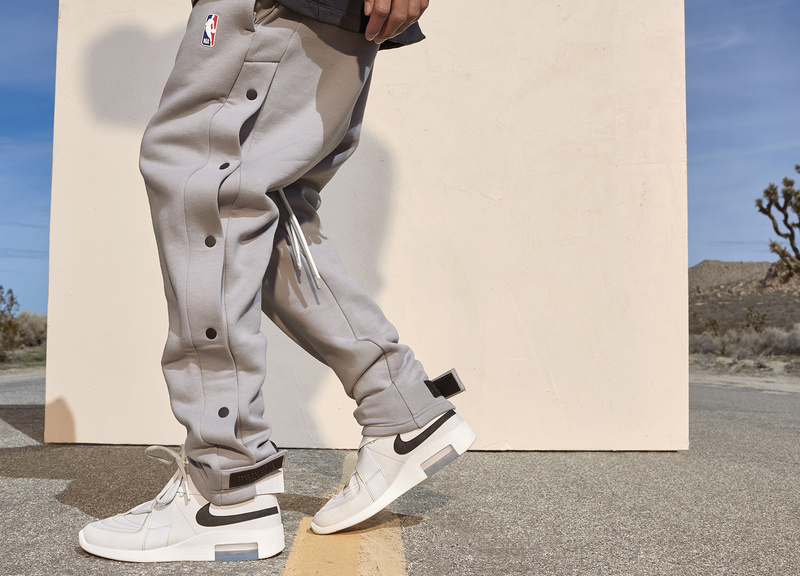 The Spring / Summer 2019 apparel and sneakers collection from Nike Gyakusou is now available online. 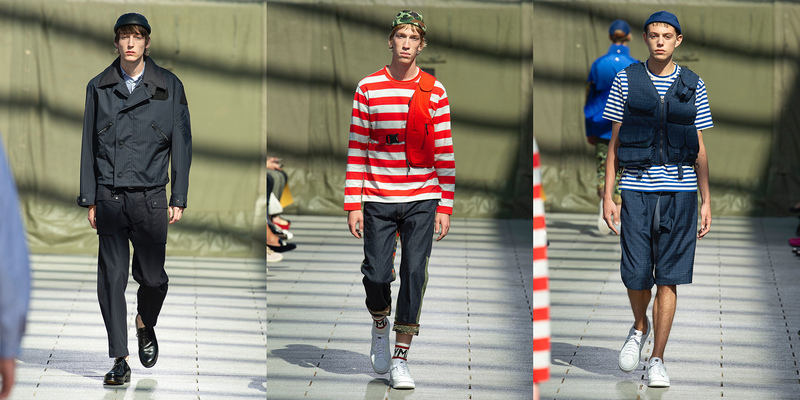 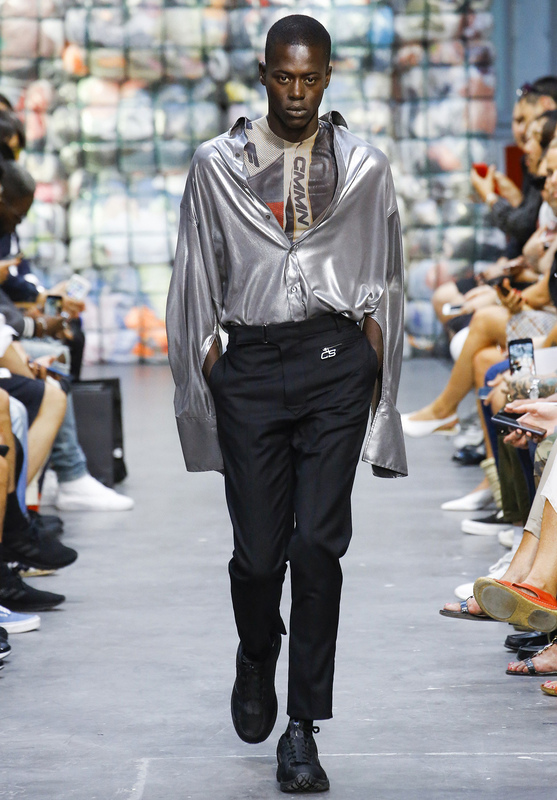 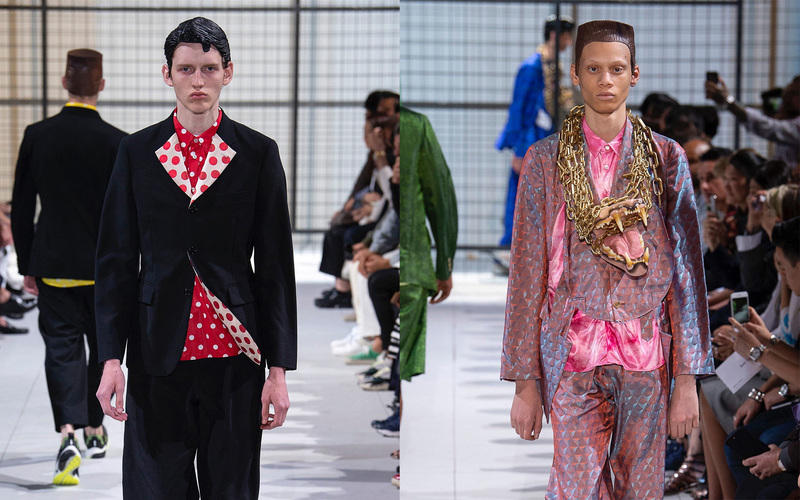 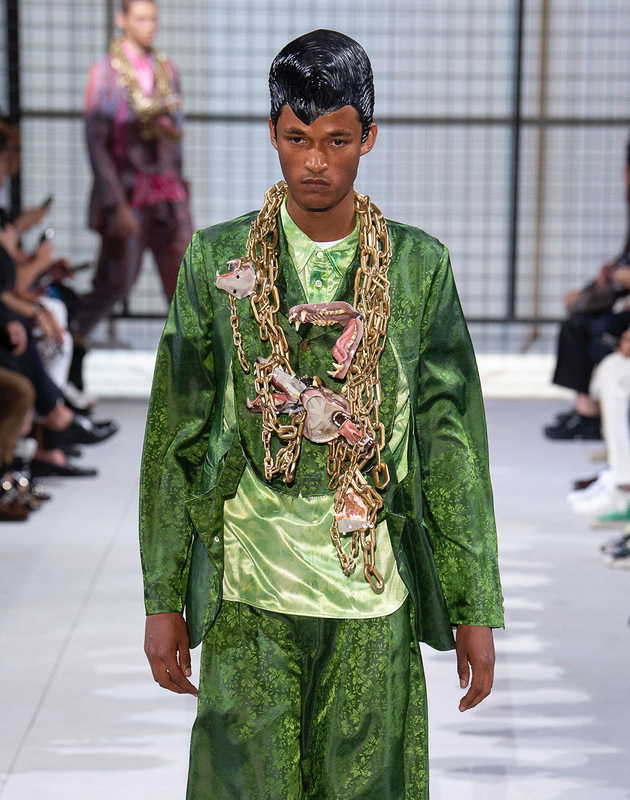 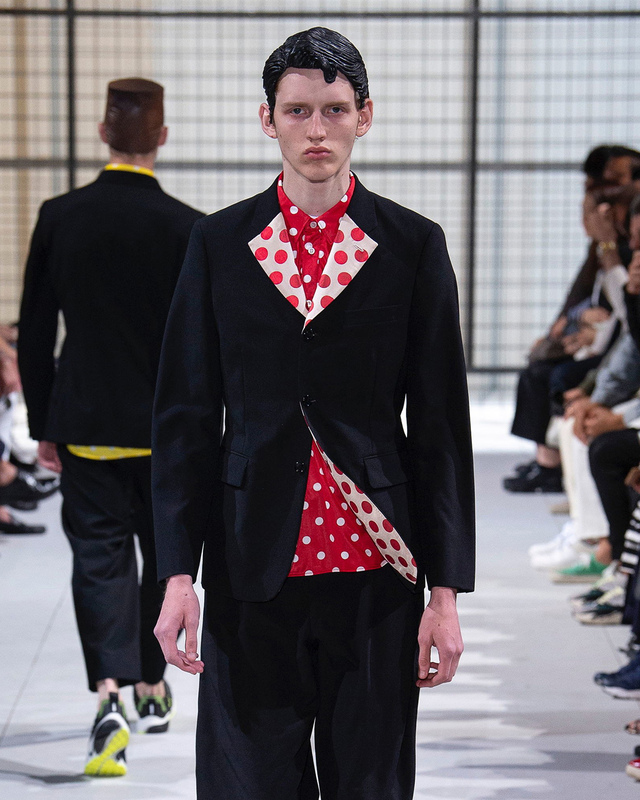 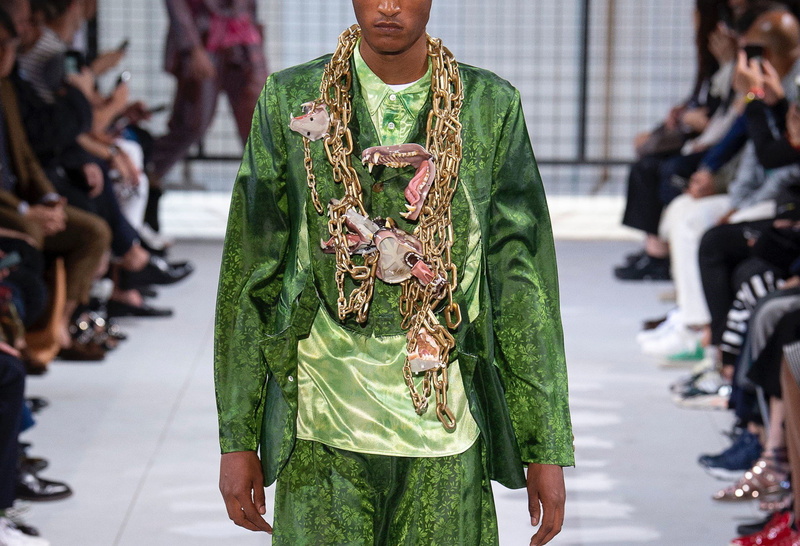 More from Comme des Garçons Homme Plus Spring / Summer 2019 now available online. 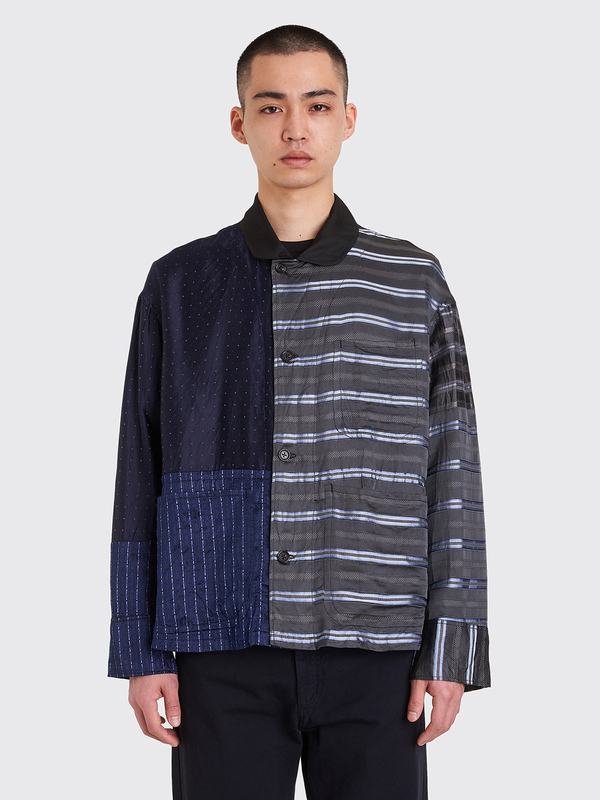 Items from the Junya Watanabe MAN Spring / Summer 2019 collection is now available online. 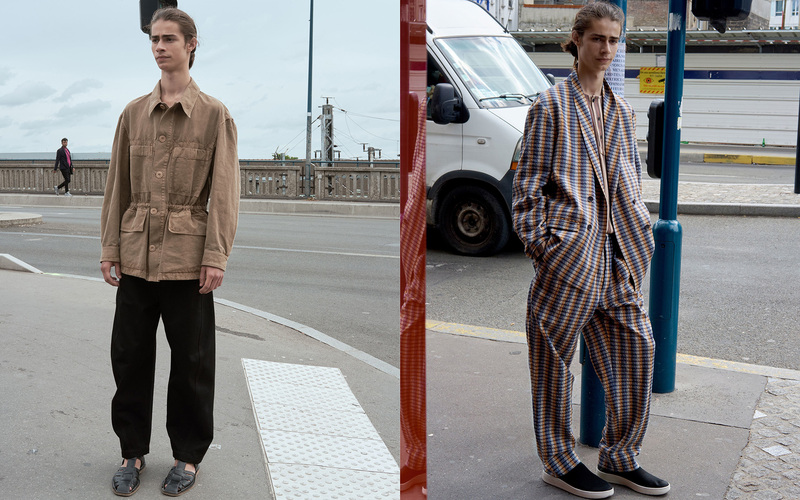 First delivery from the Très Bien Spring / Summer 2019 collection is now available online and in-store. 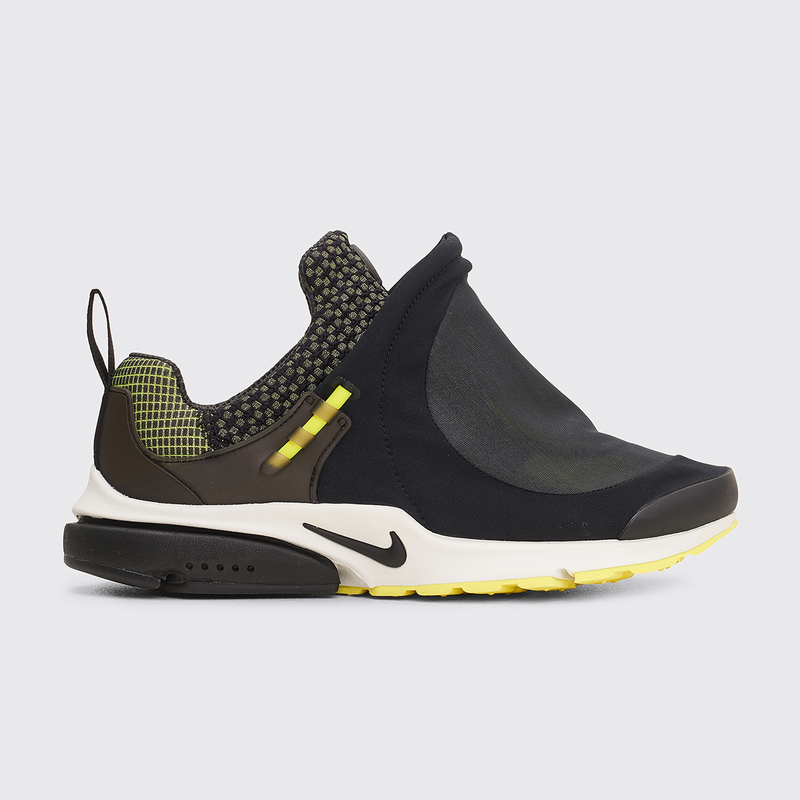 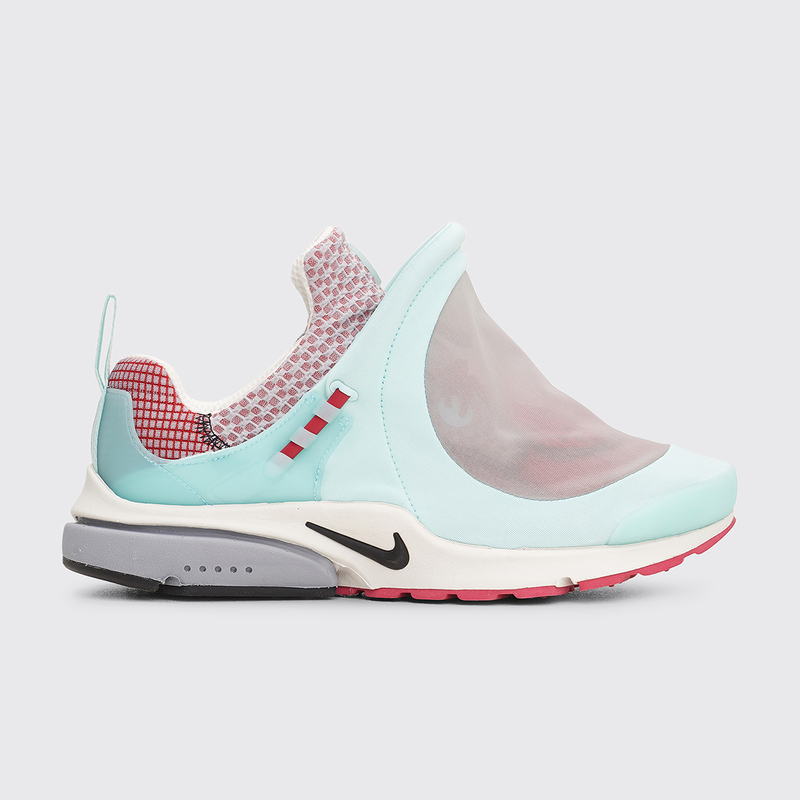 The Nike x CDG Homme Plus Air Presto Tent sneakers in two colorways now online. 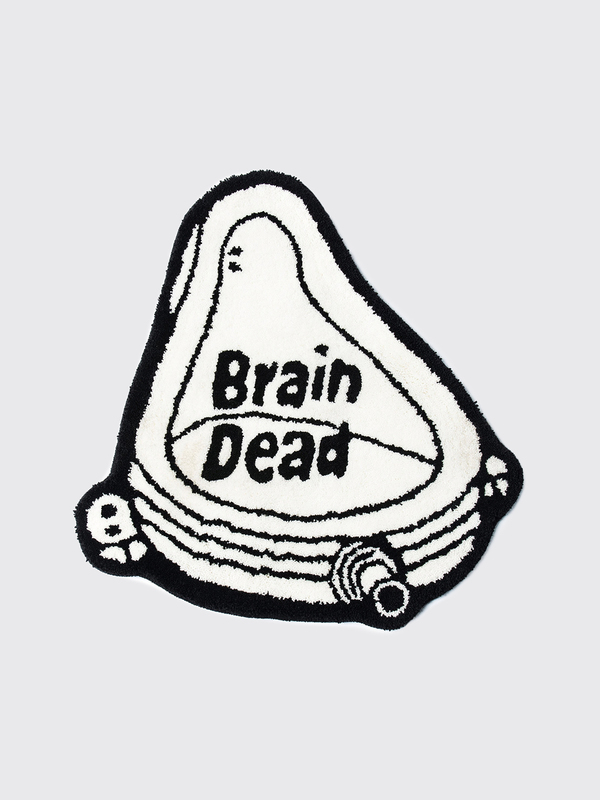 The ROA x Brain Dead collaboration is now available online. 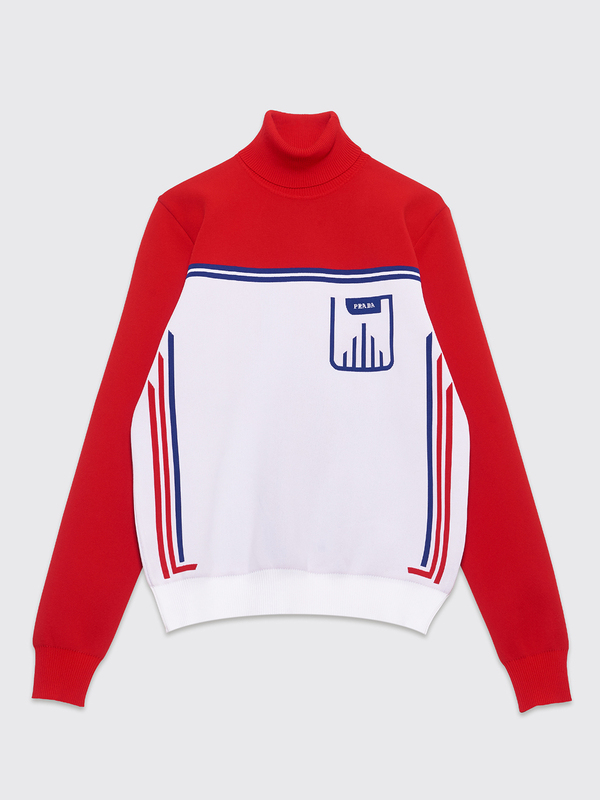 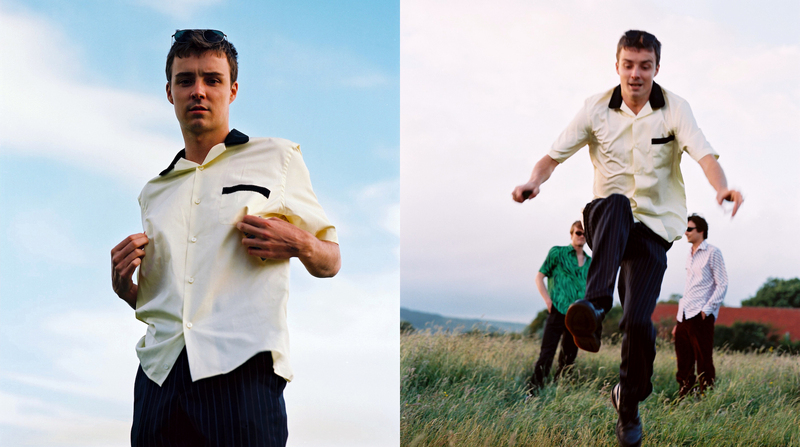 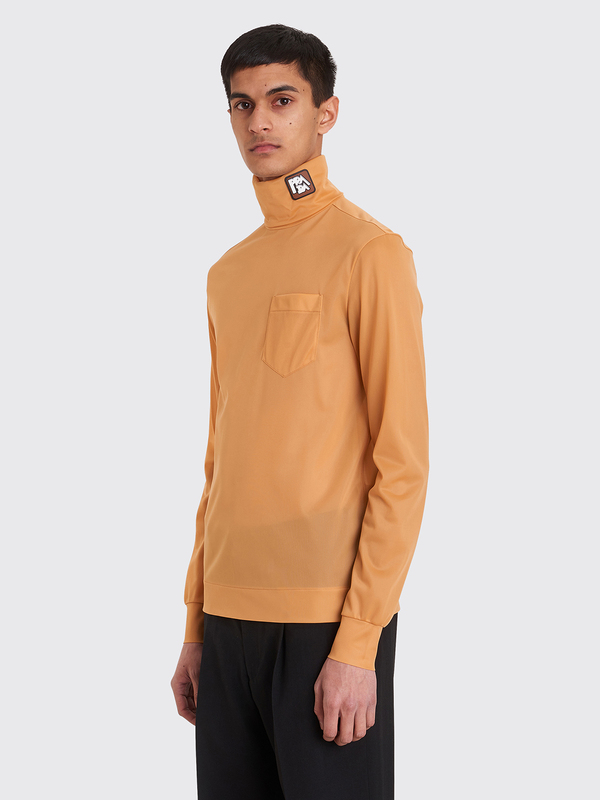 The Raf Simons x Fred Perry Spring / Summer 2019 collection now available online. 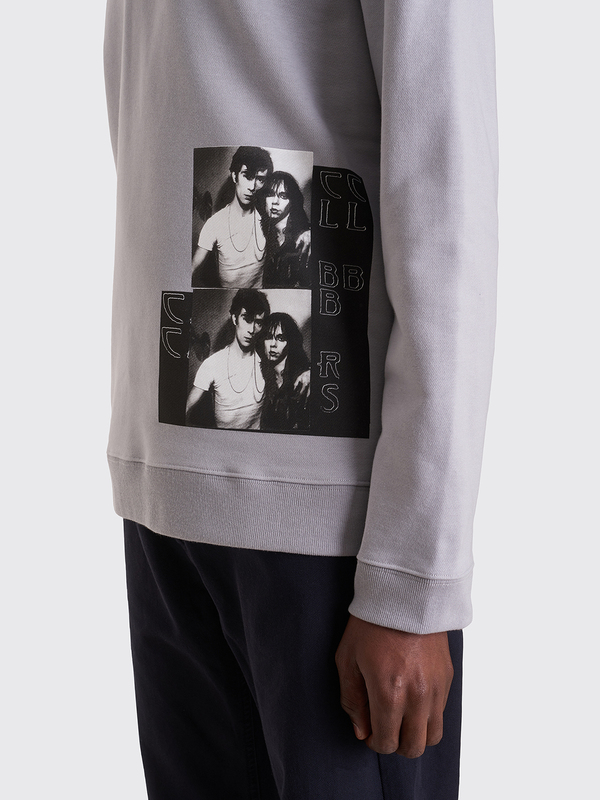 First drop from CMMN SWDN Spring / Summer 2019 now available online. 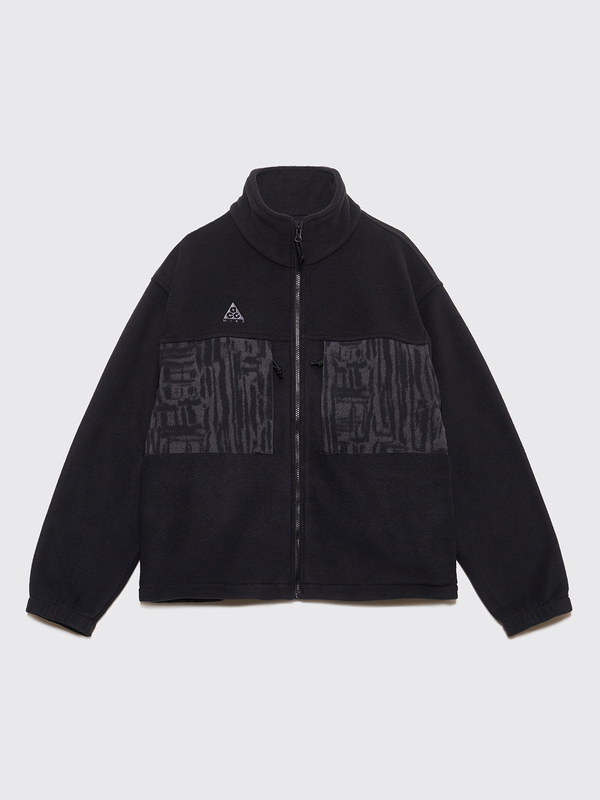 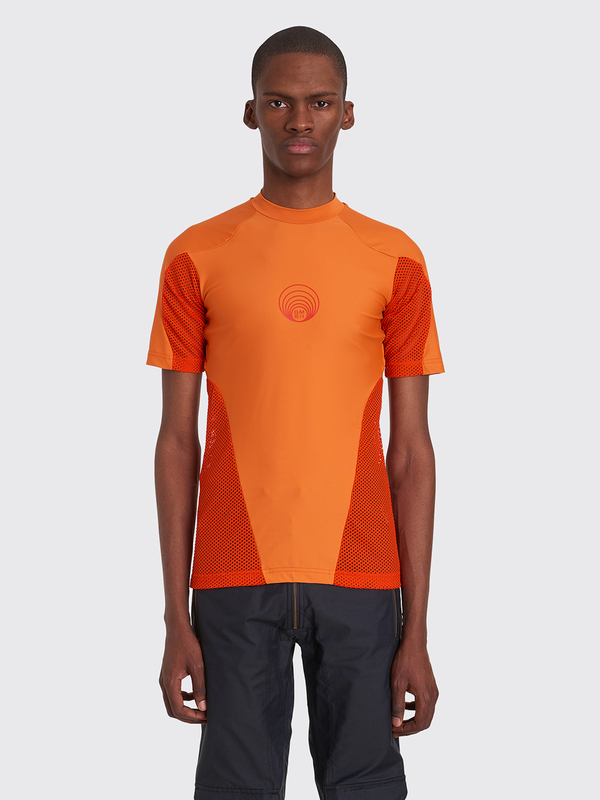 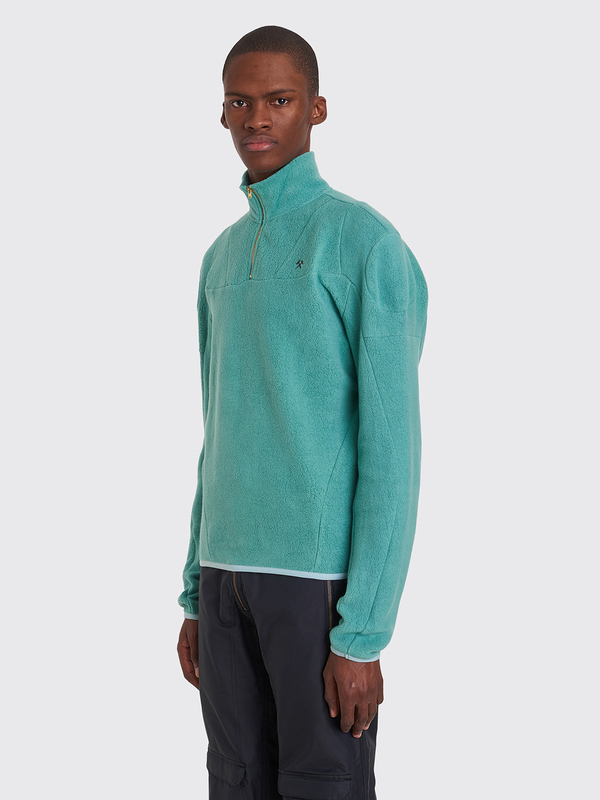 Apparel from Nike ACG Spring / Summer 2019 now available online. 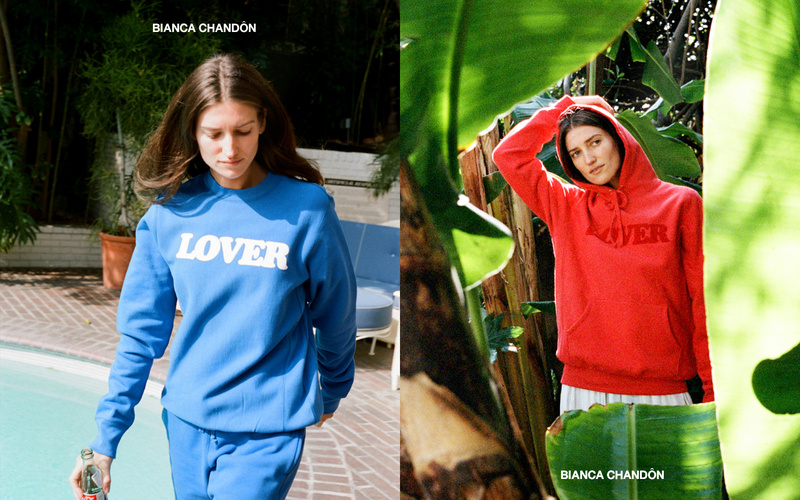 The Bianca Chandôn Spring / Summer 2019 Lover drop is now available online. 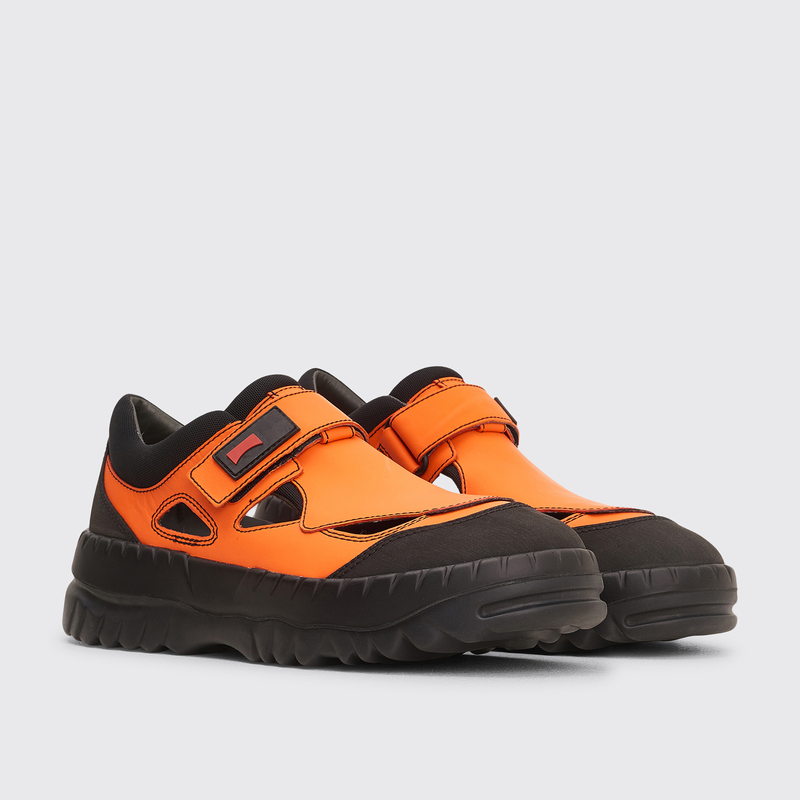 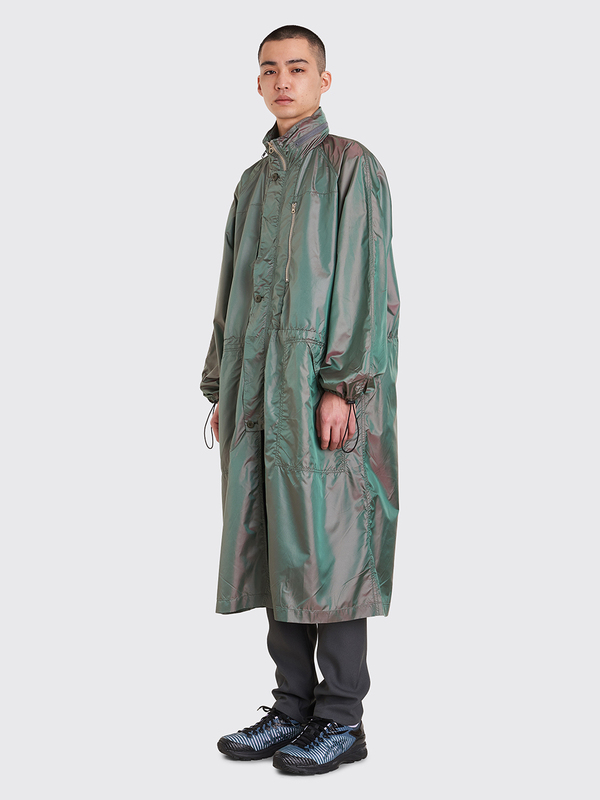 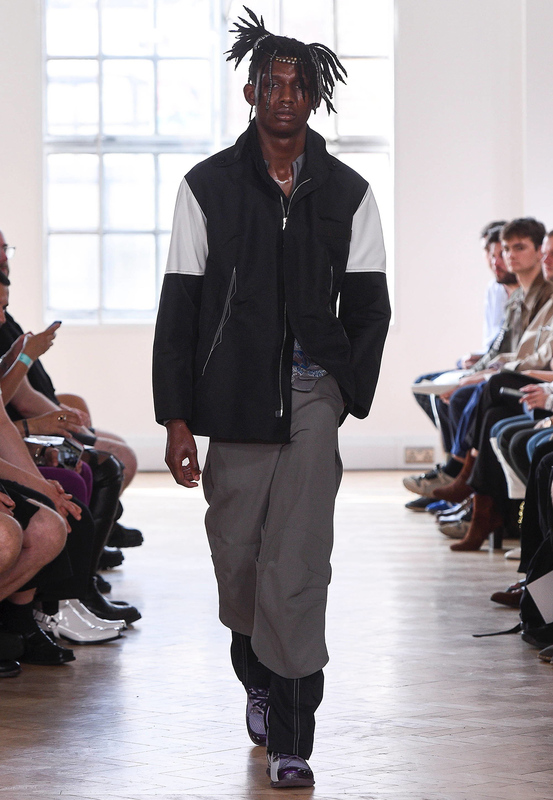 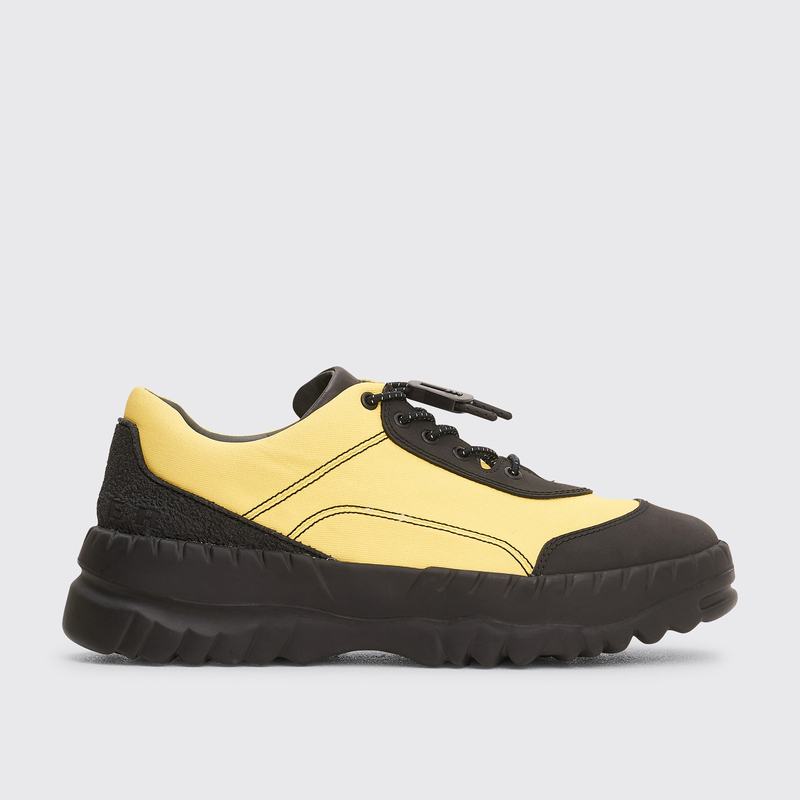 First delivery from Kiko Kostadinov Spring / Summer 2019 available now. 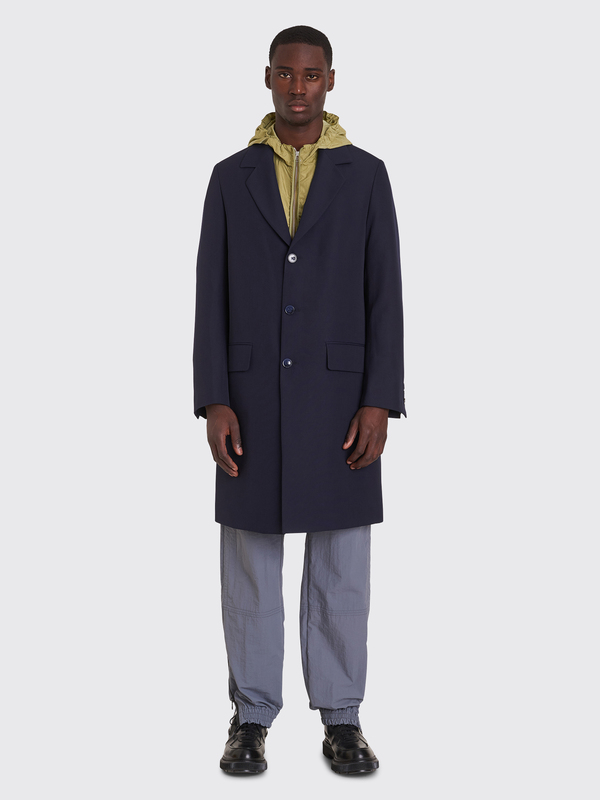 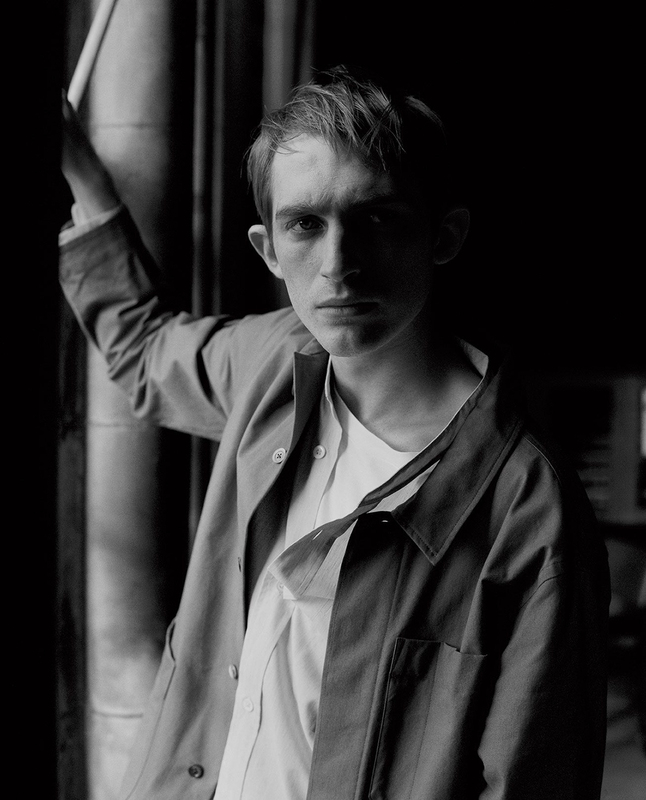 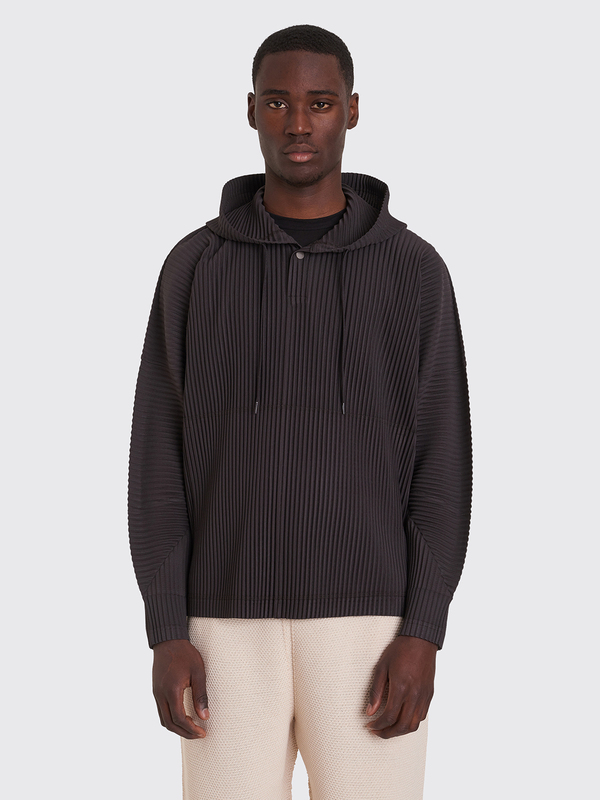 First delivery from the Lemaire Spring / Summer 2019 collection now online. 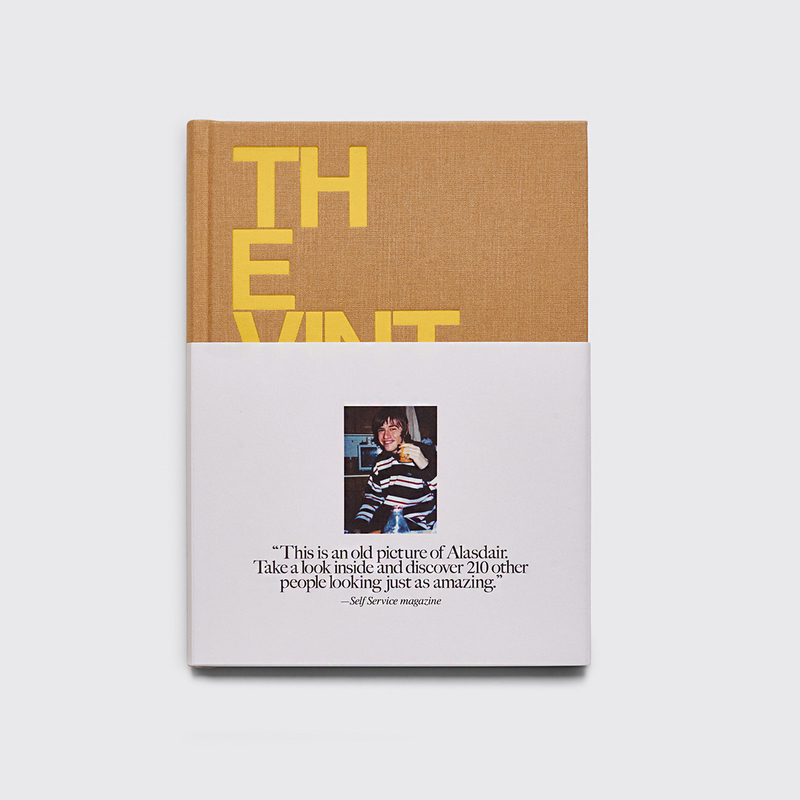 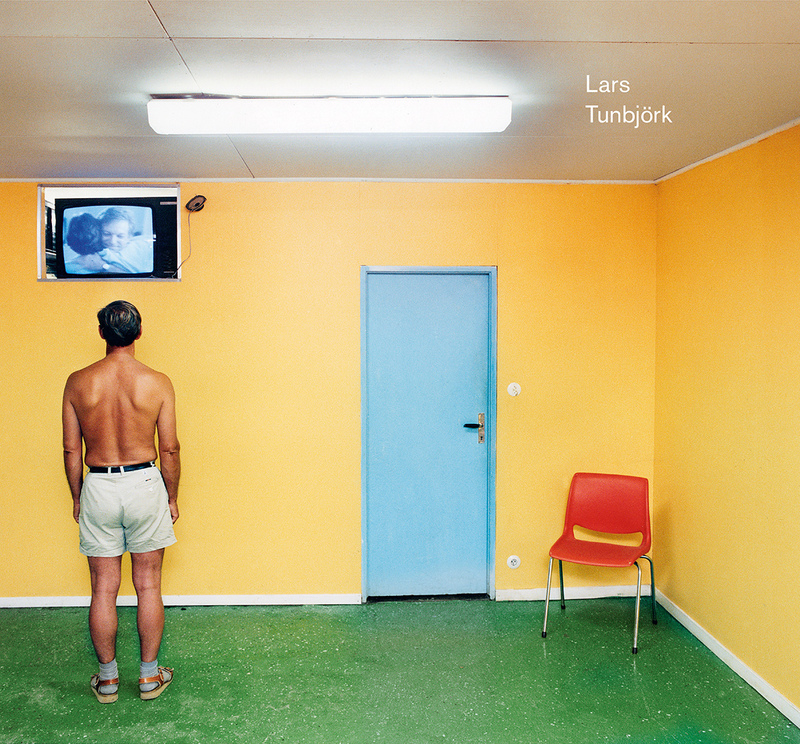 The Lars Tunbjörk 'Retrospective' book is now available online. 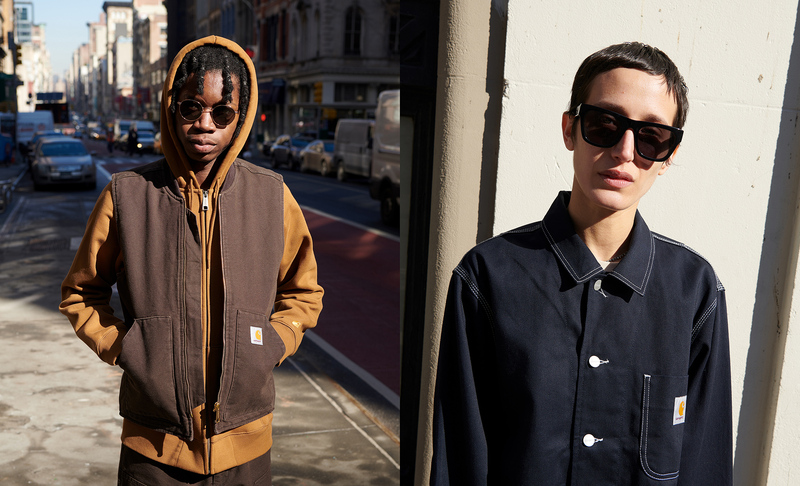 The first drop from Stüssy Spring / Summer 2019 will be available online February 15. 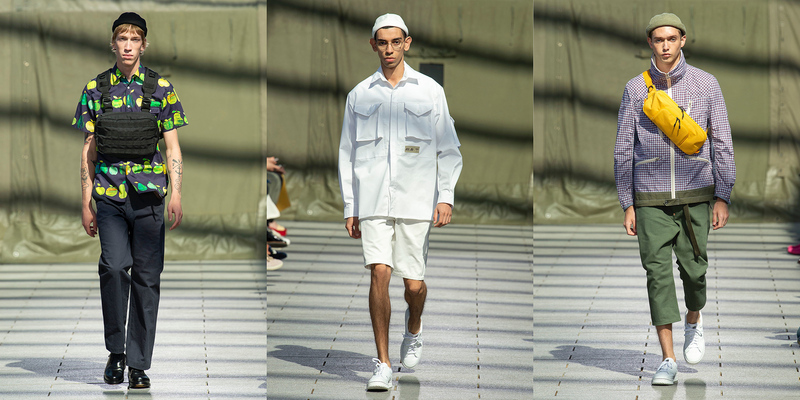 Japanese brand CLAMP is new to Très Bien for the Spring / Summer 2019 season. 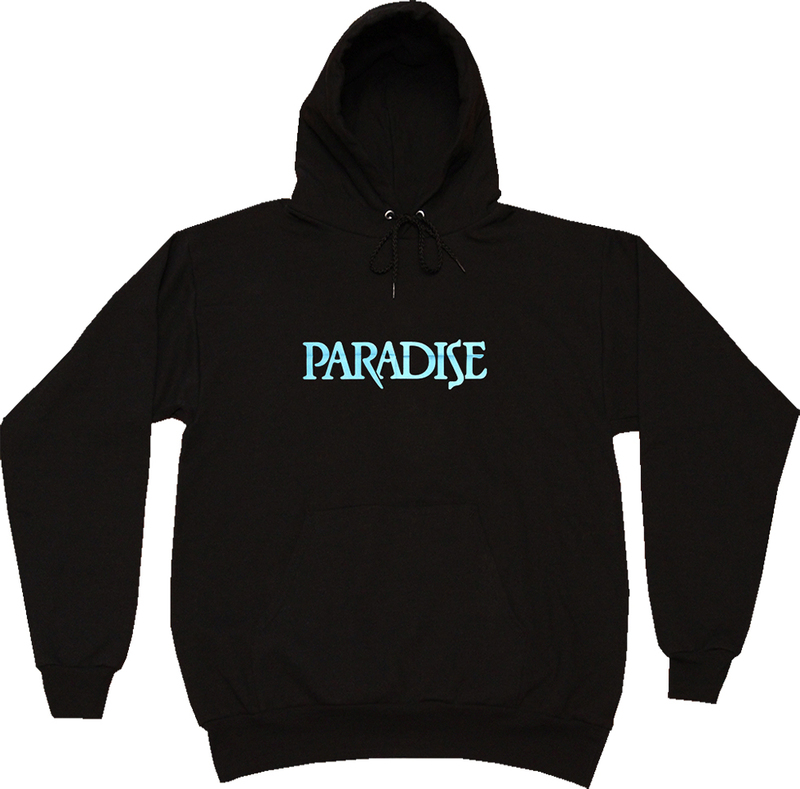 First delivery now available. 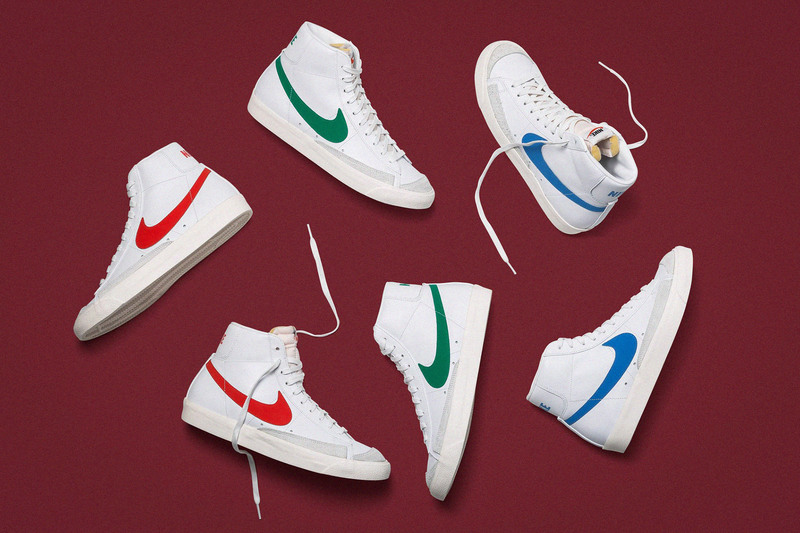 The Nike Blazer Mid 77 Vintage in Habanero Red / White is now available online. 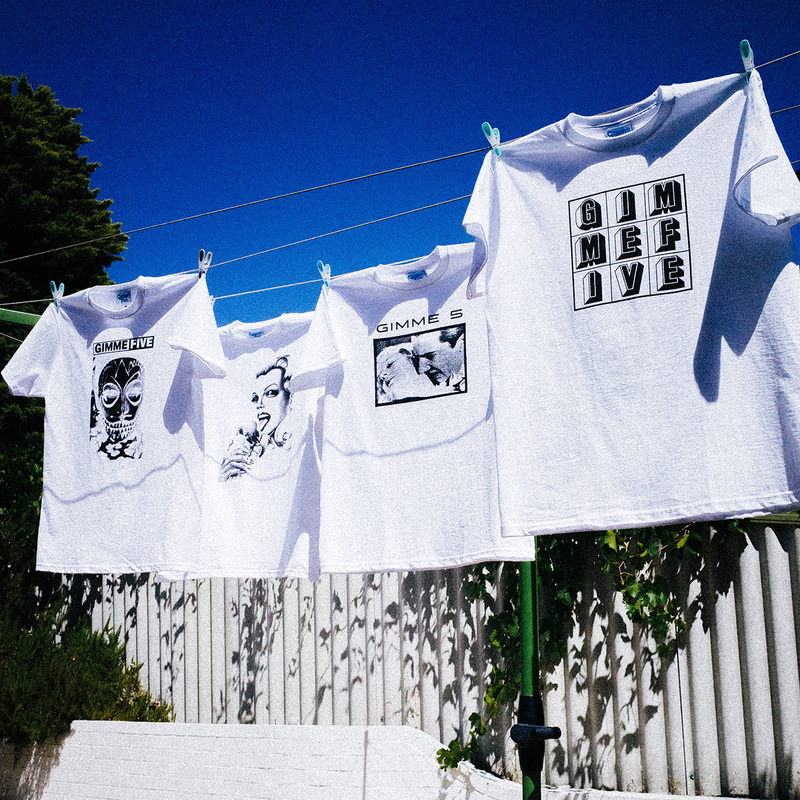 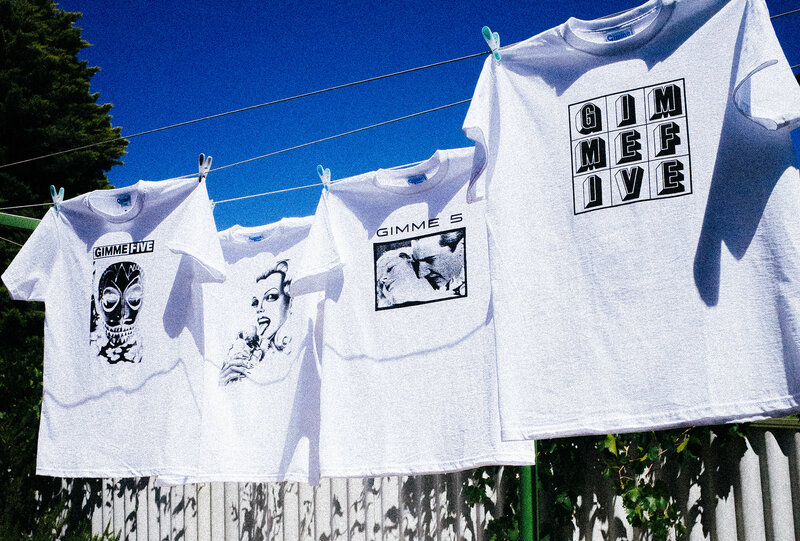 The Gimme Five 'High Contrast' Pack, a series of printed t-shirts. 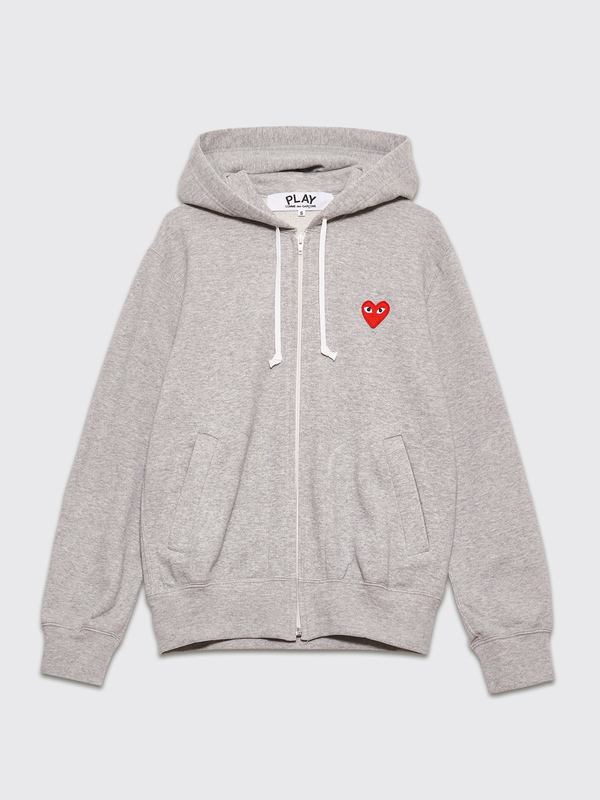 Available online February 14. 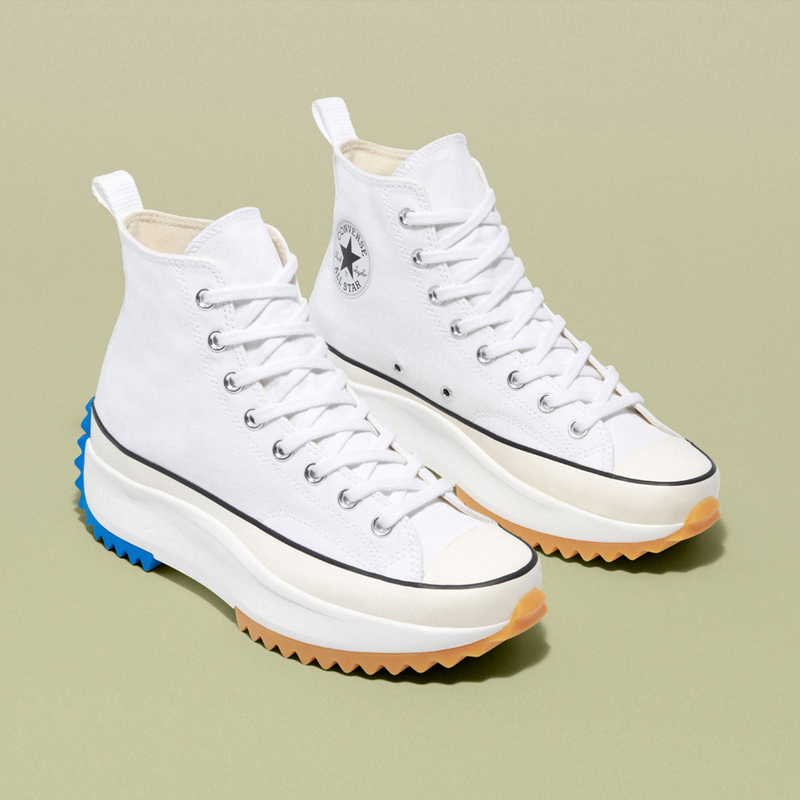 The latest collaboration between JW Anderson and Converse is the Run Star Hike, a Chuck Taylor merged with the sole of a Run Star. 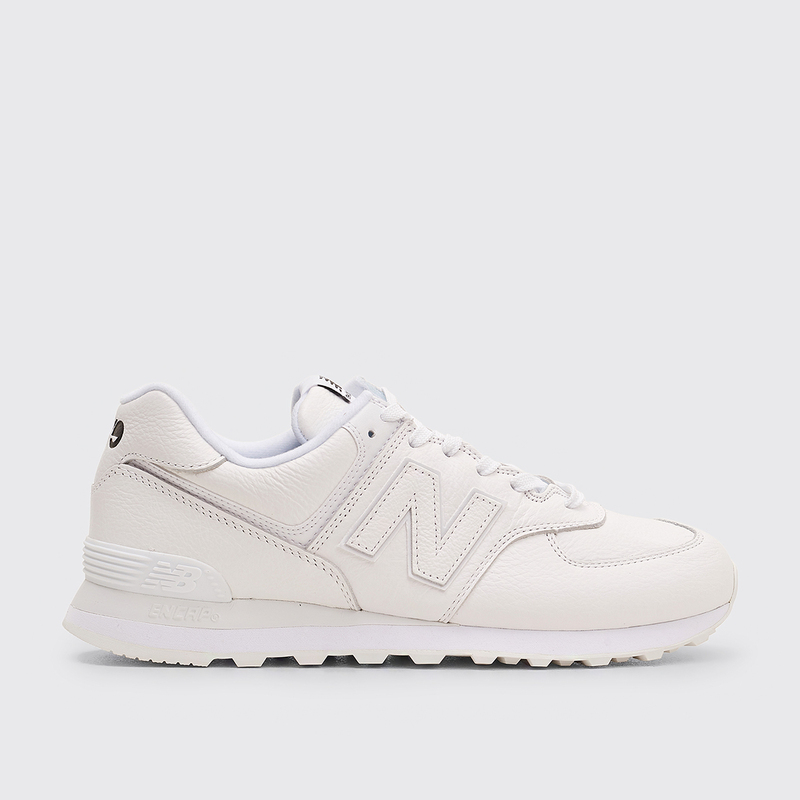 The white colorway releases February 12.